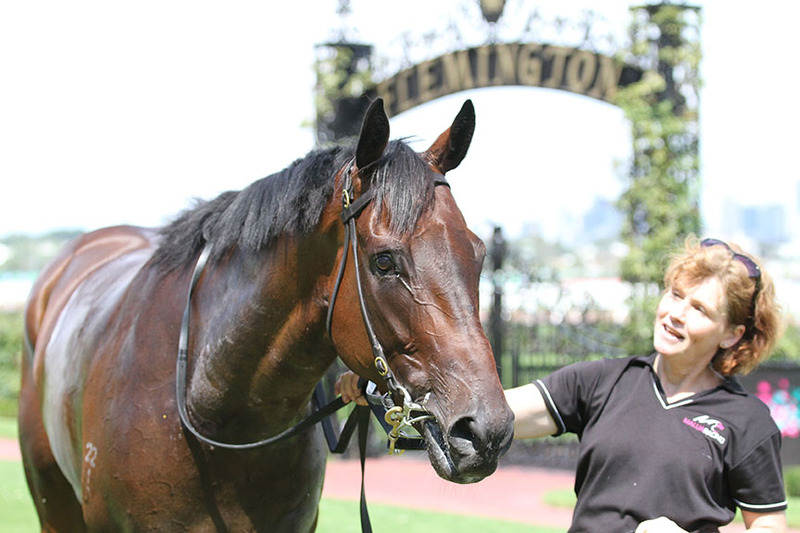 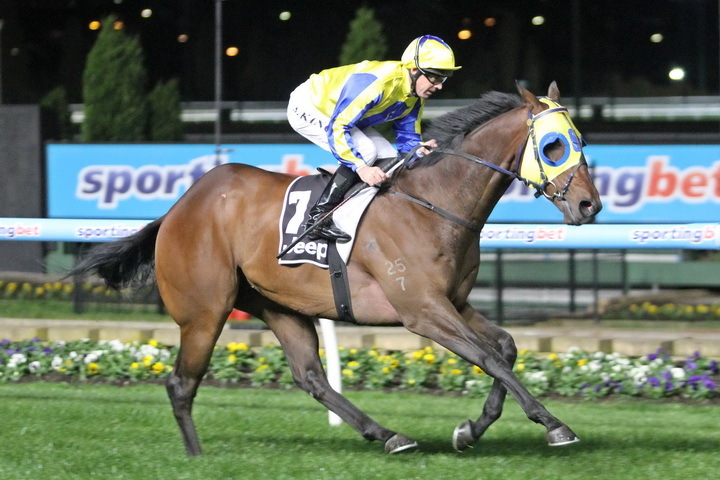 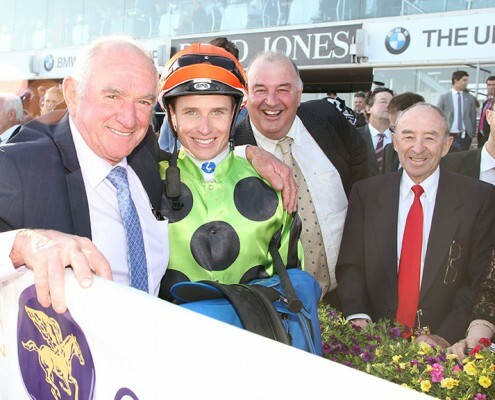 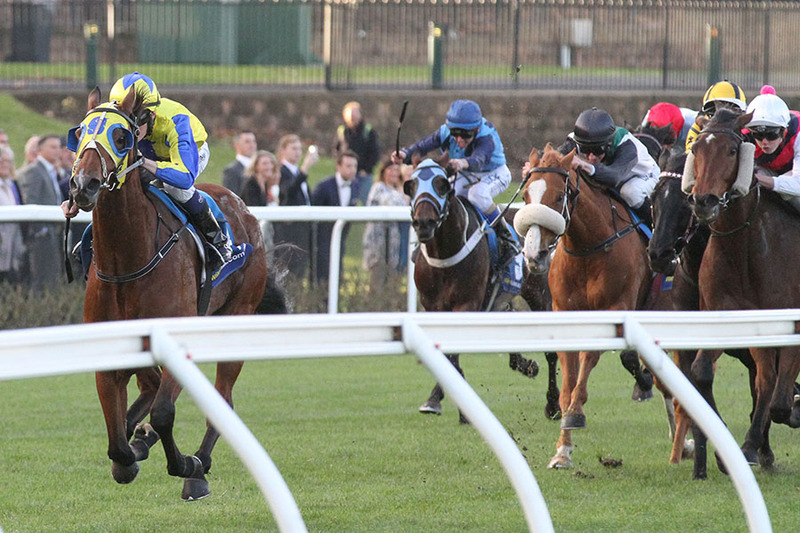 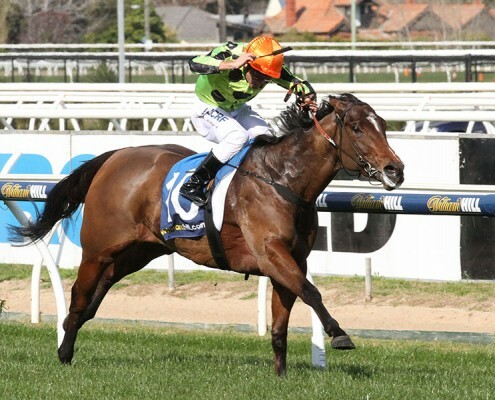 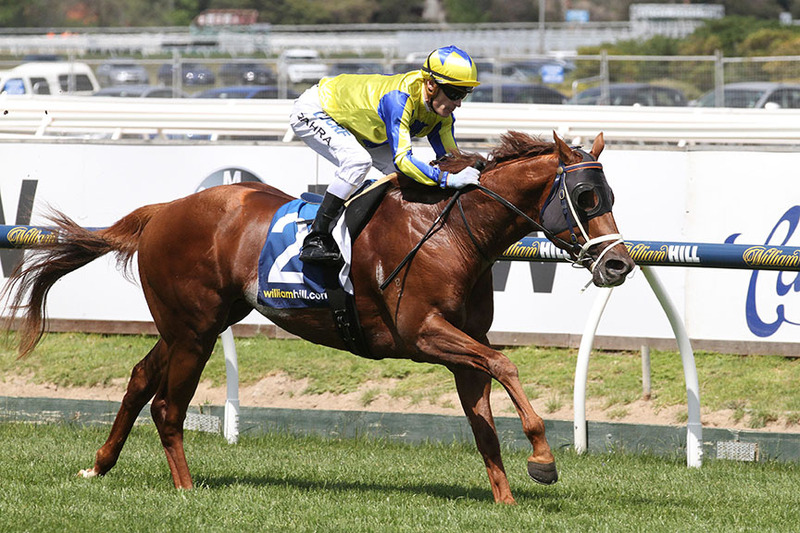 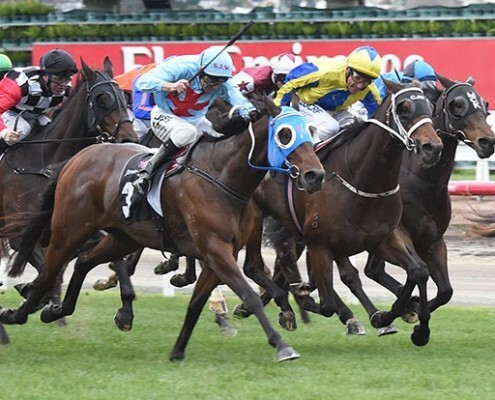 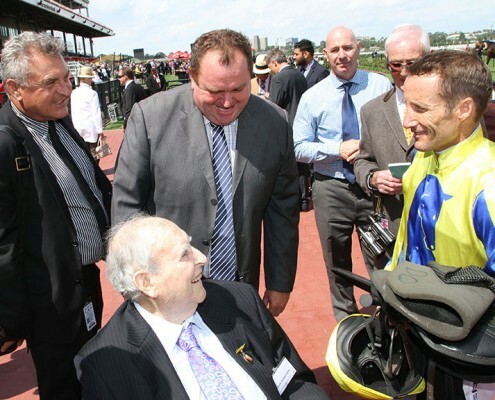 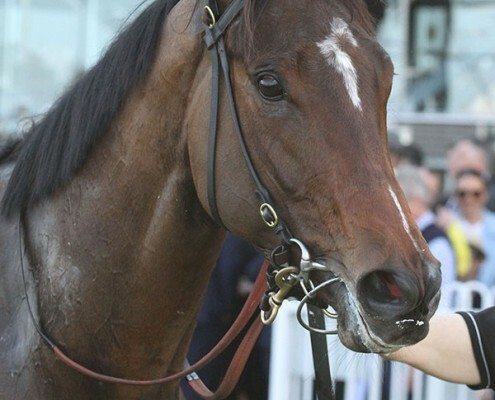 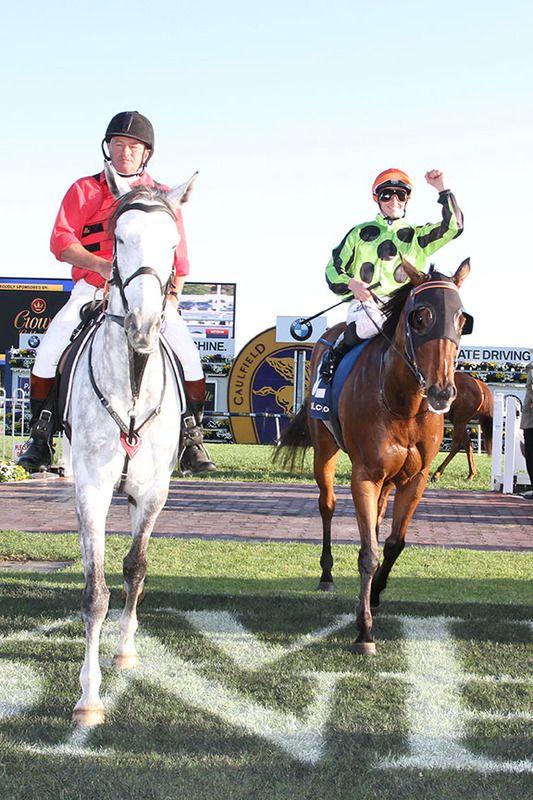 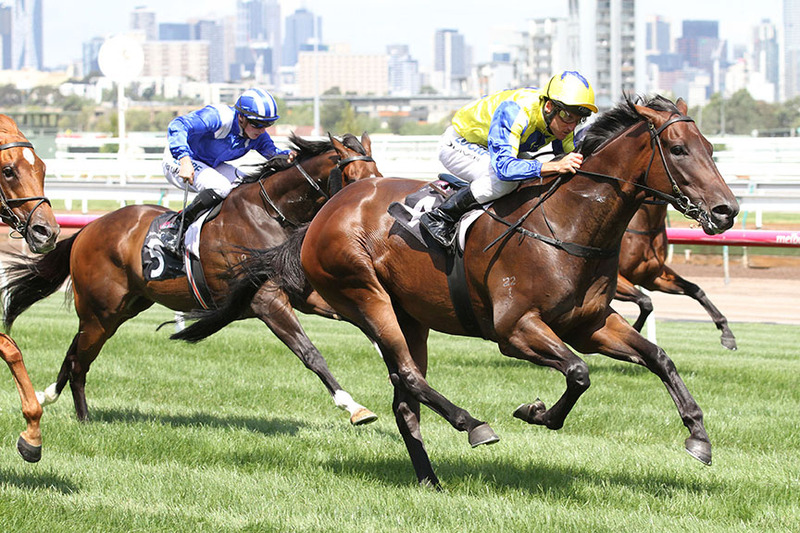 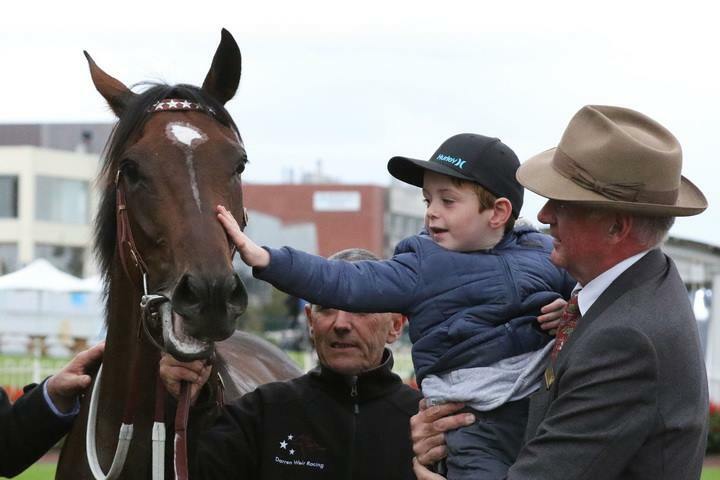 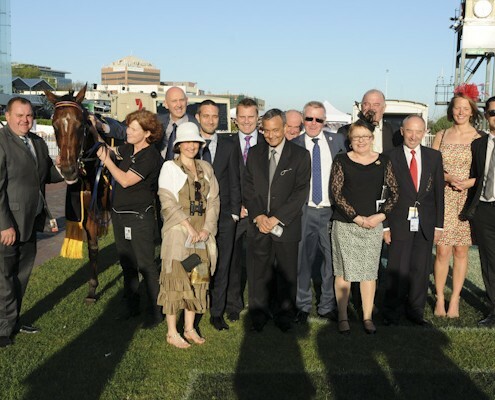 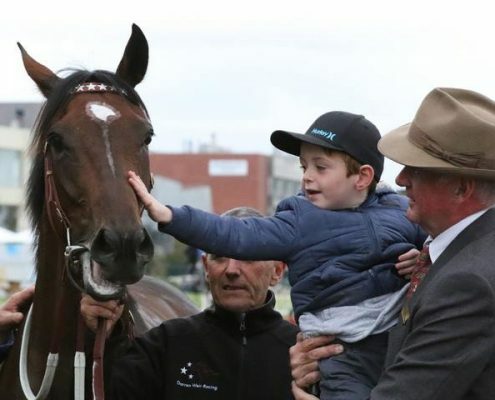 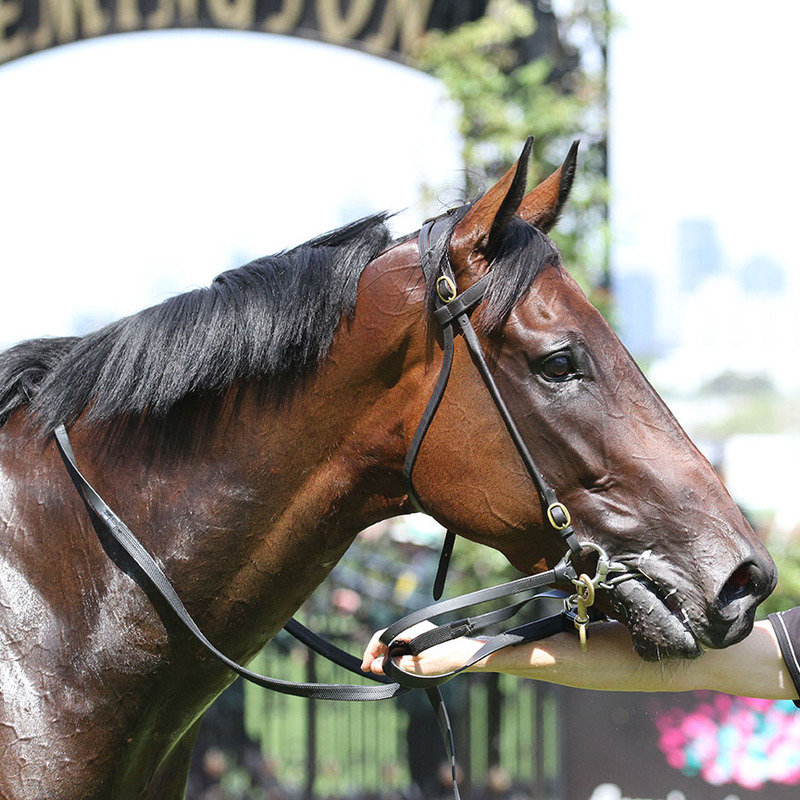 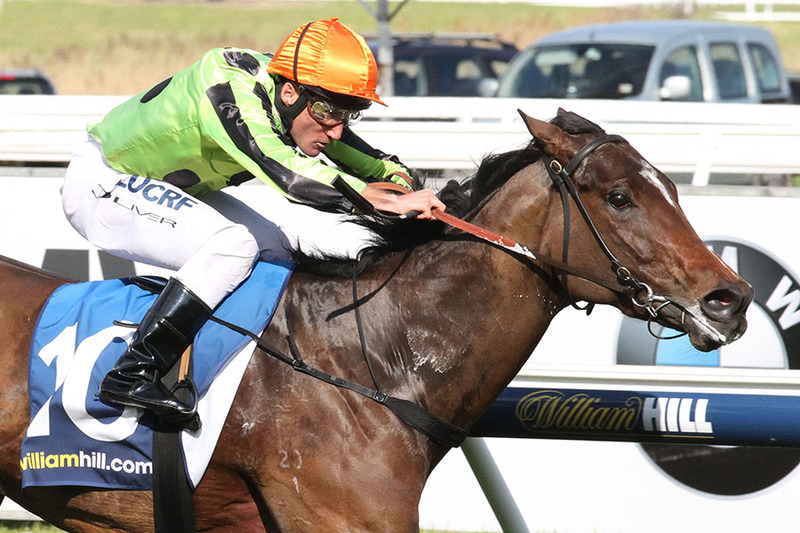 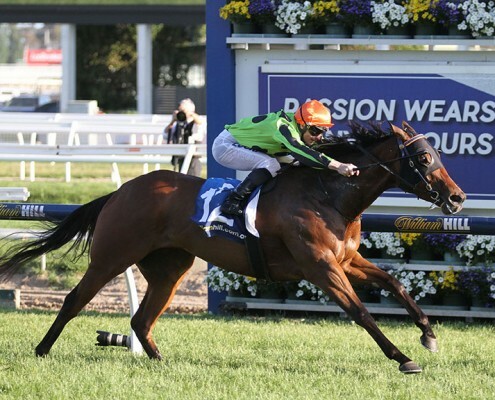 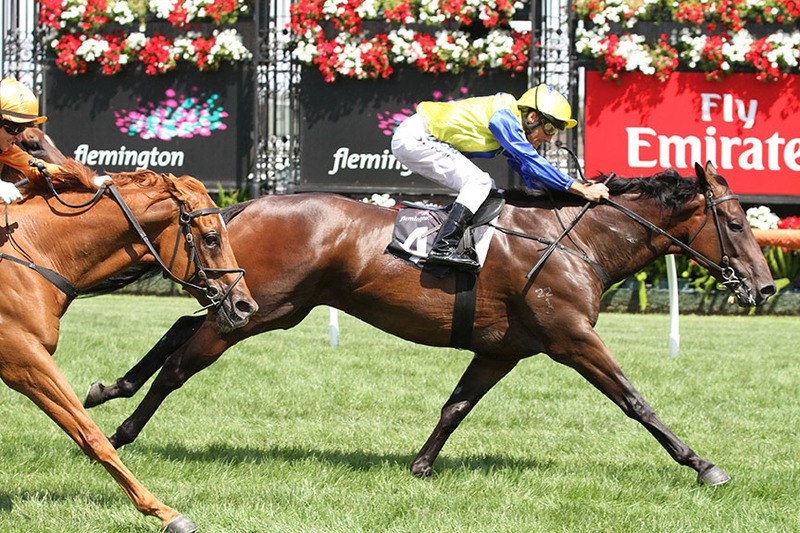 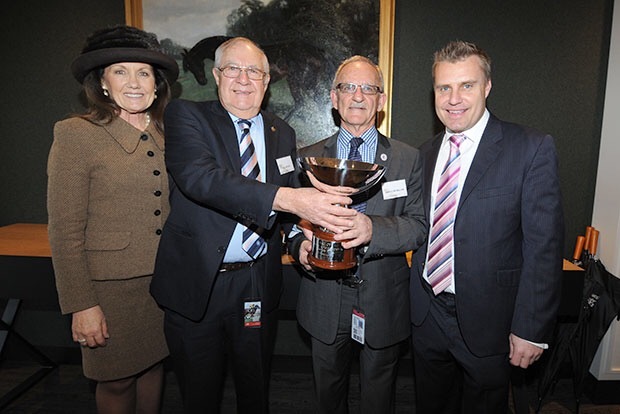 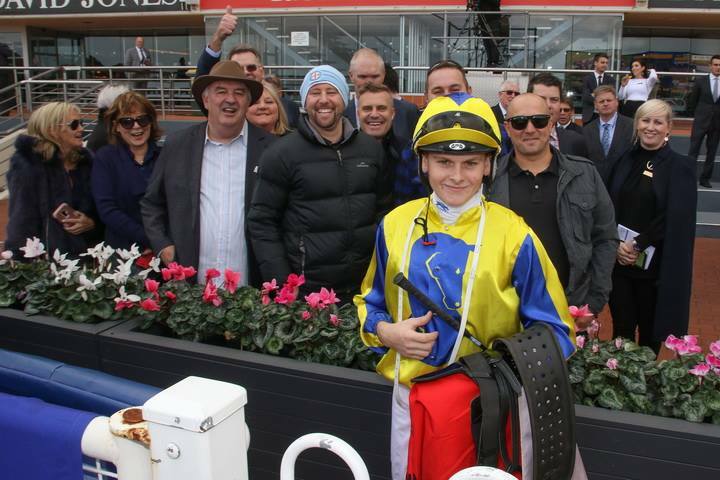 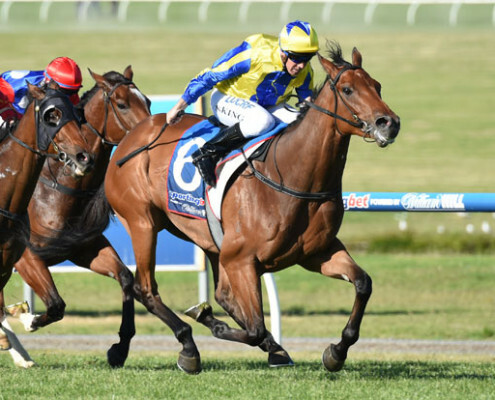 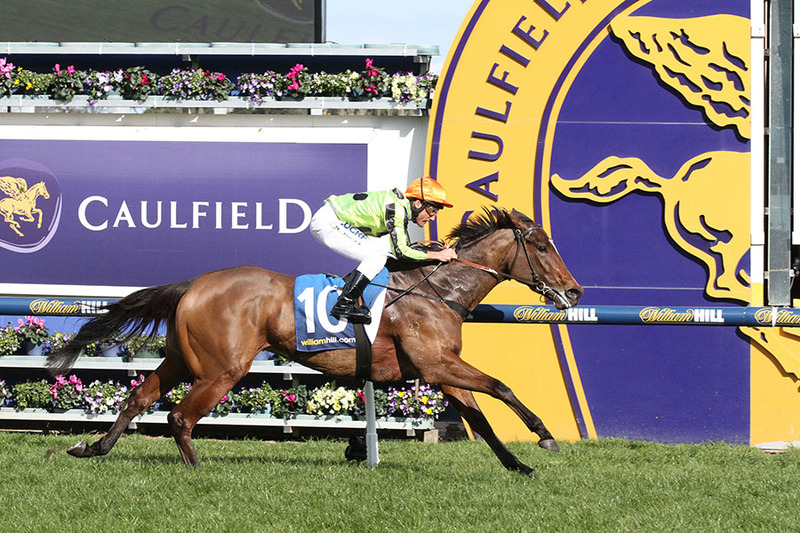 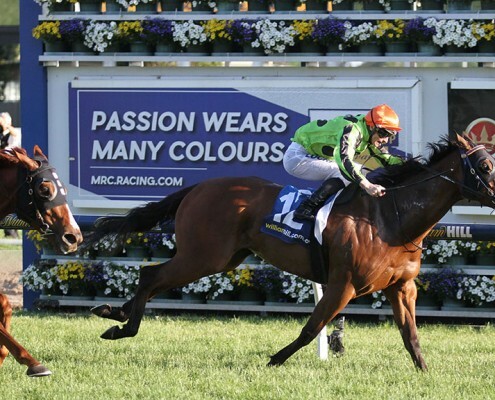 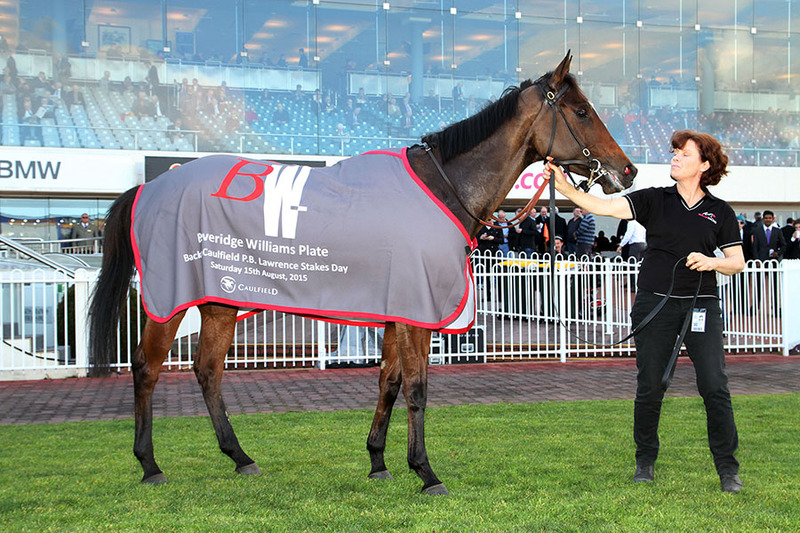 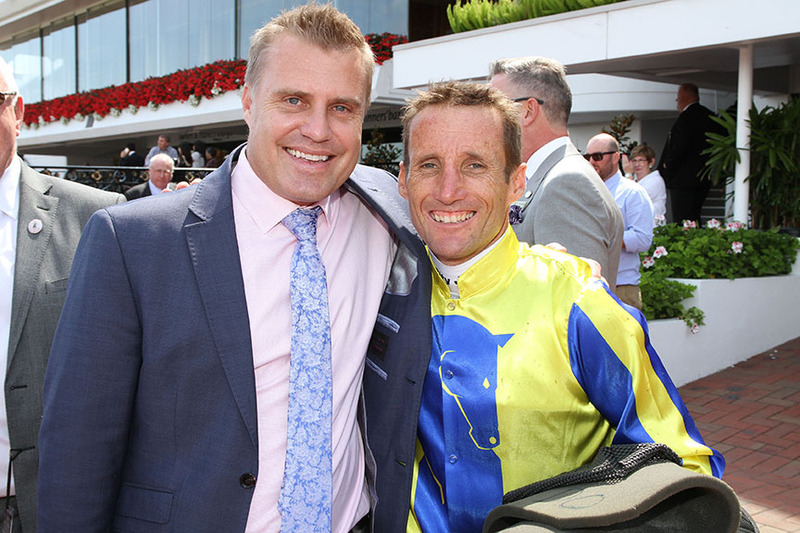 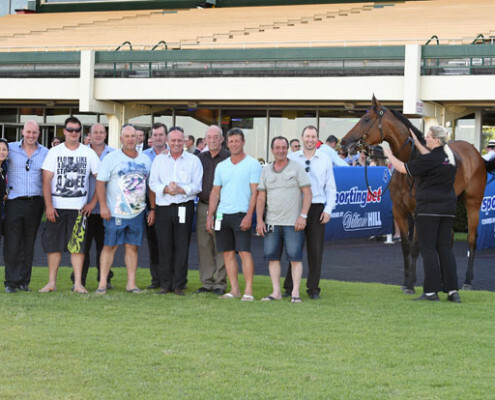 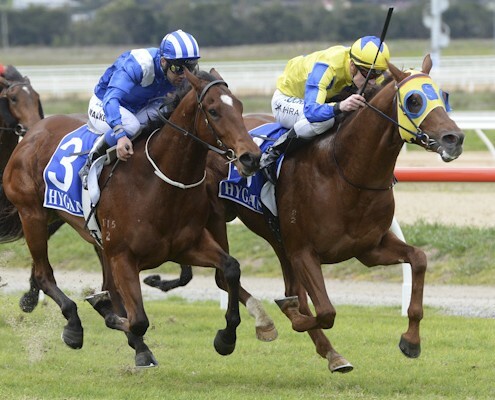 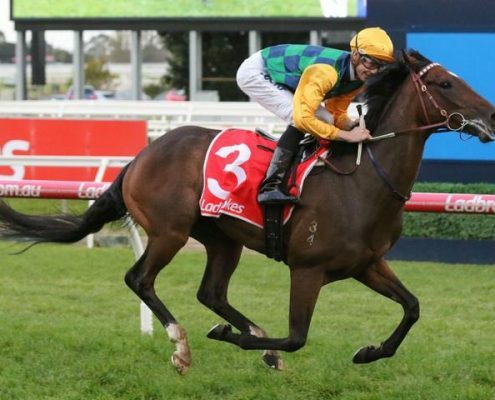 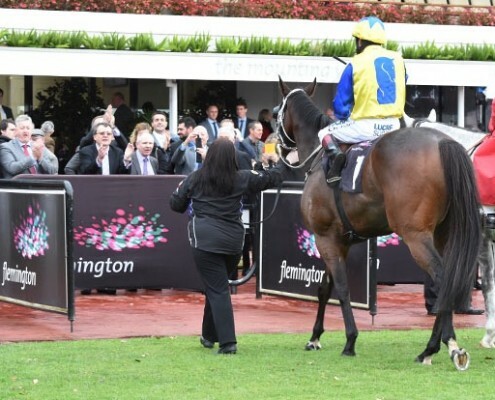 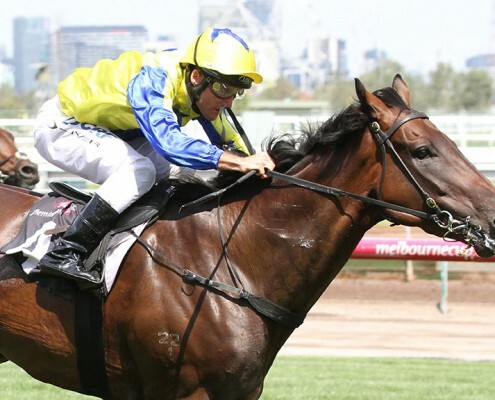 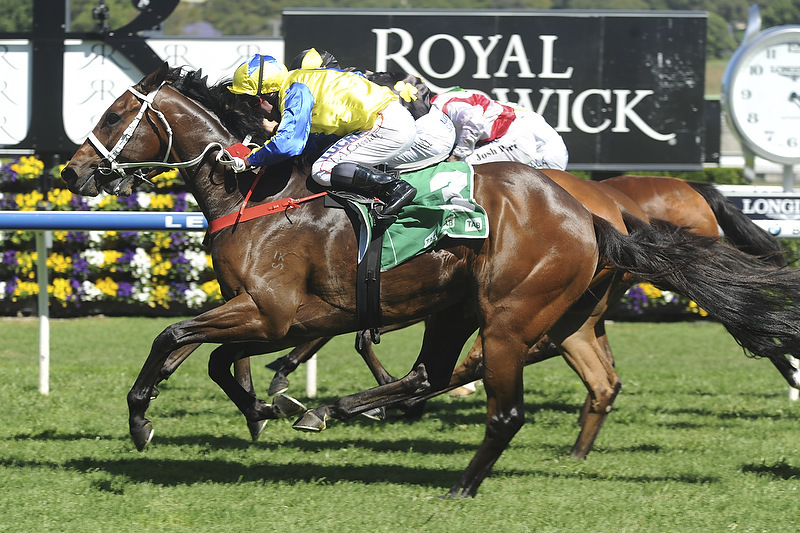 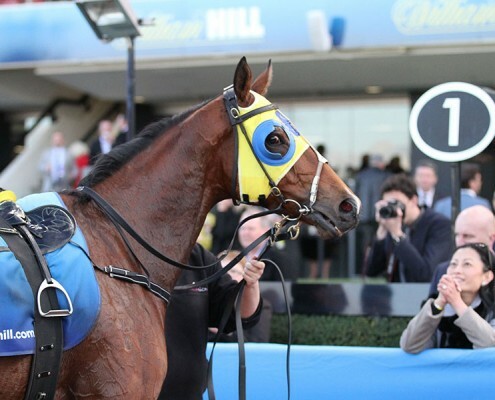 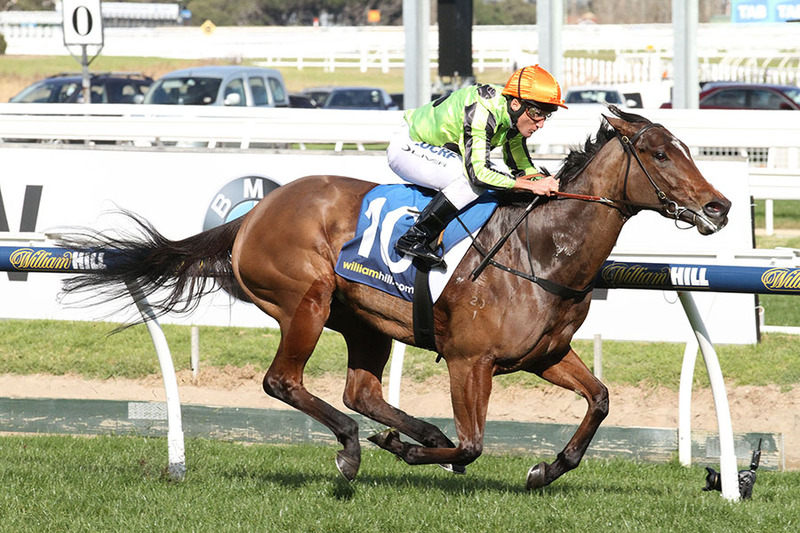 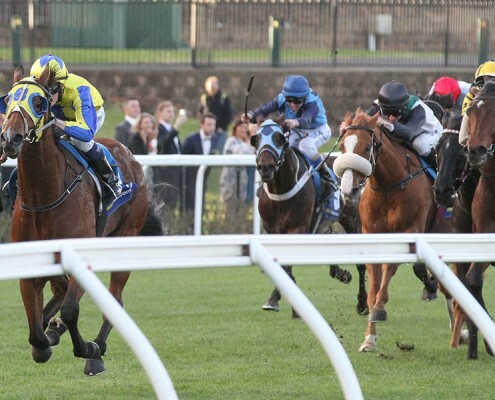 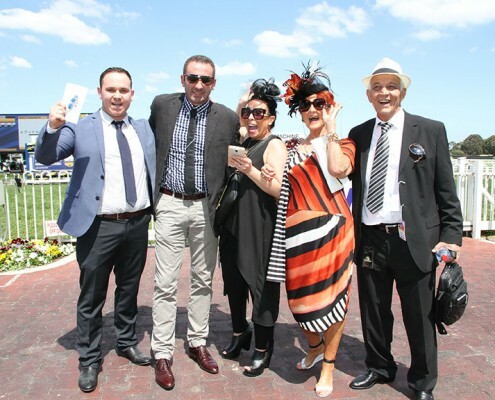 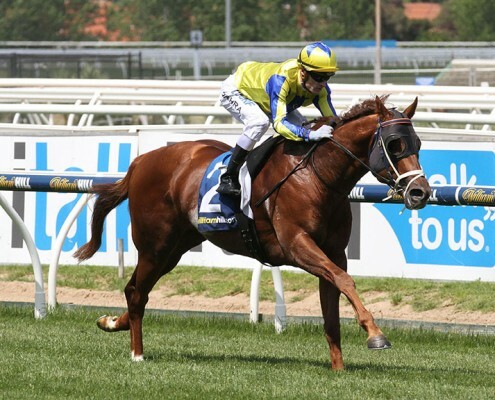 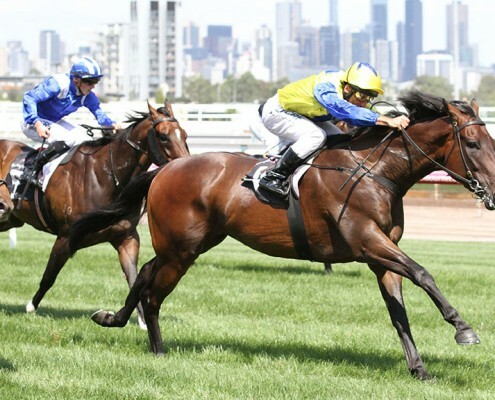 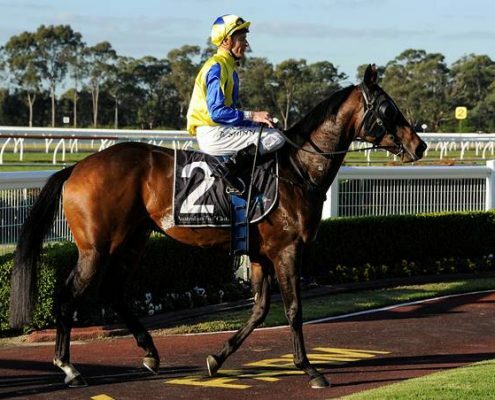 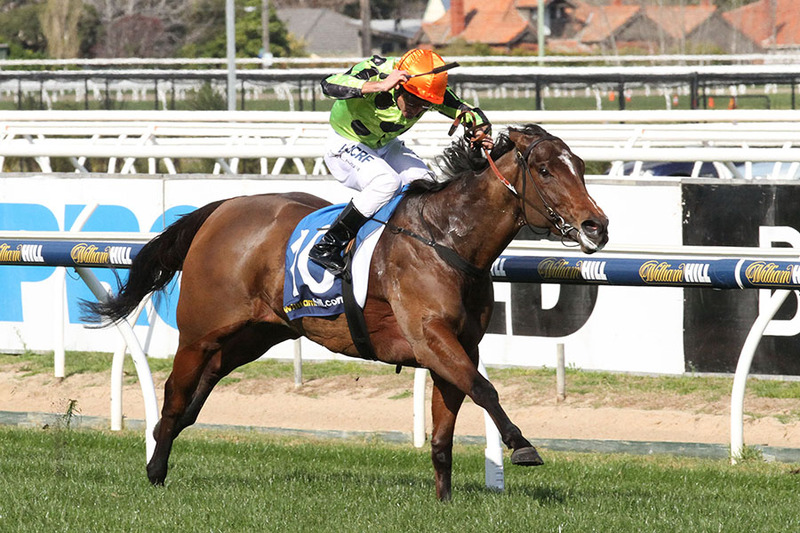 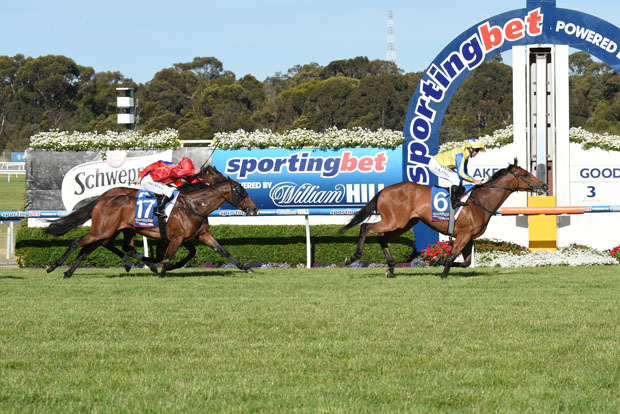 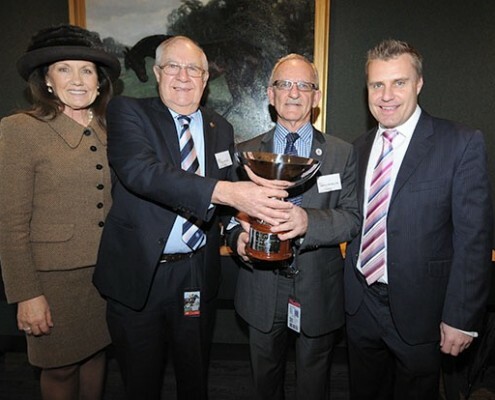 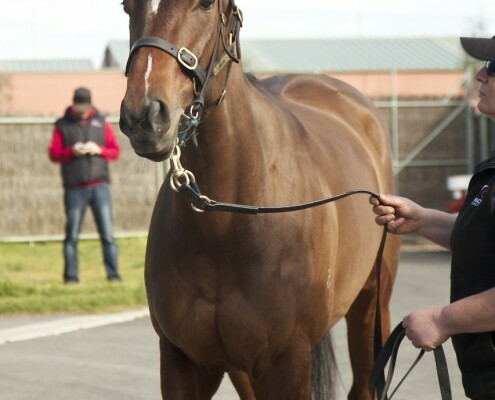 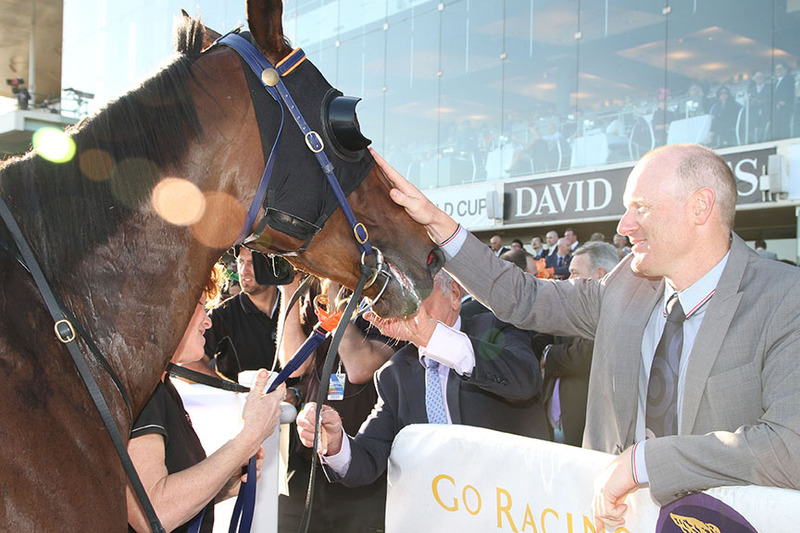 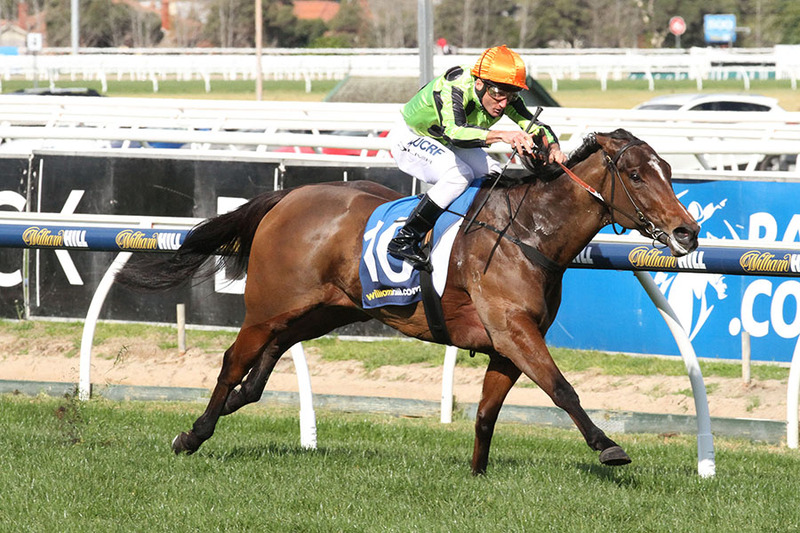 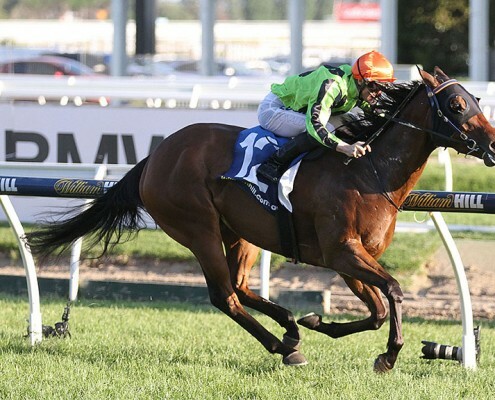 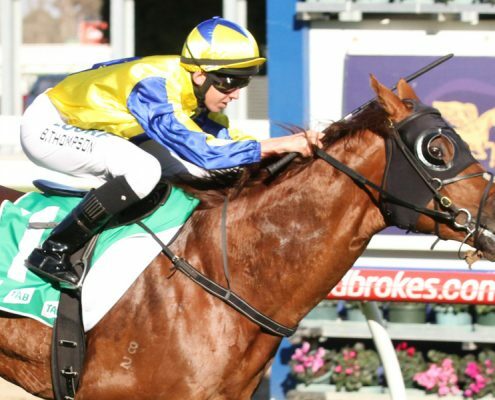 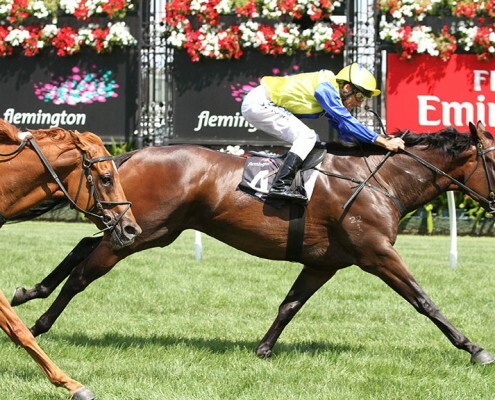 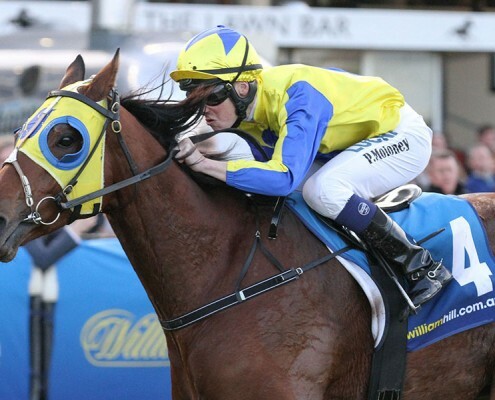 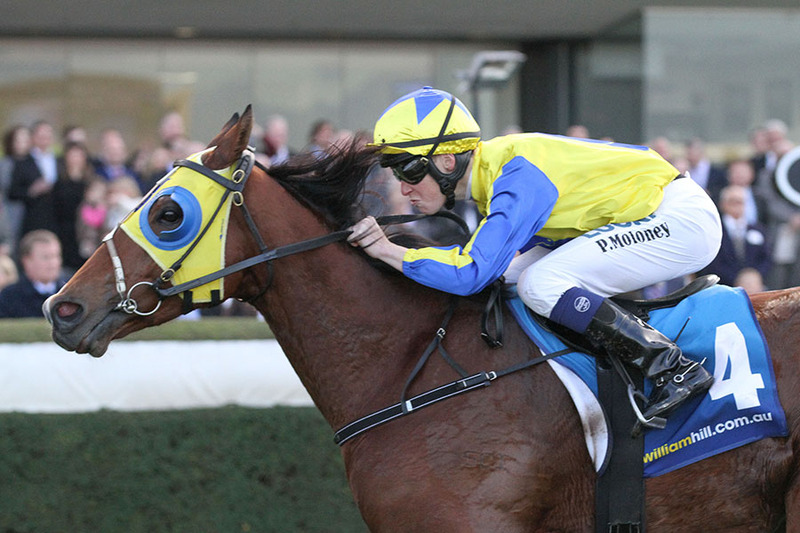 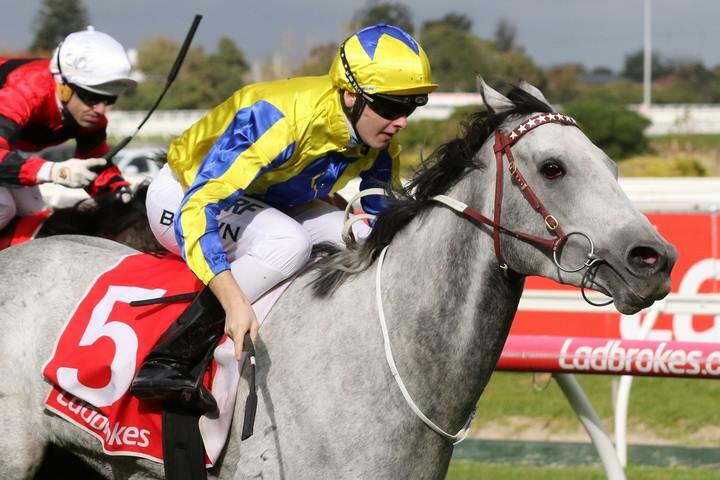 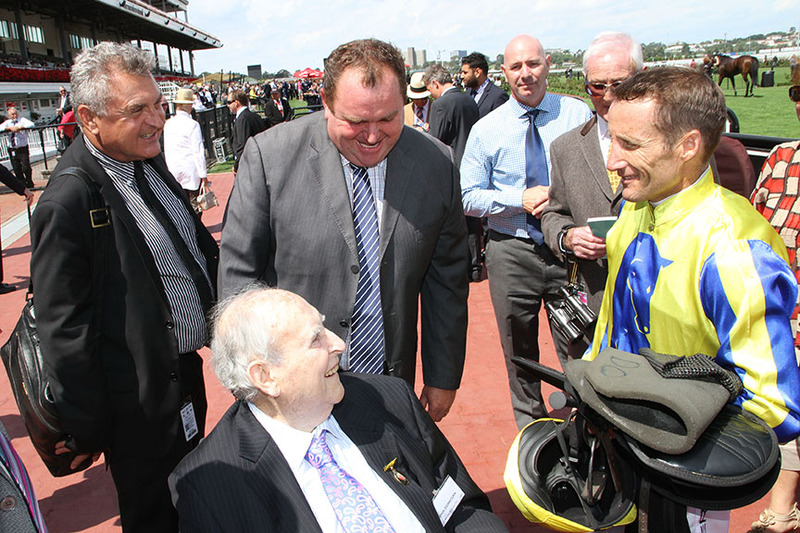 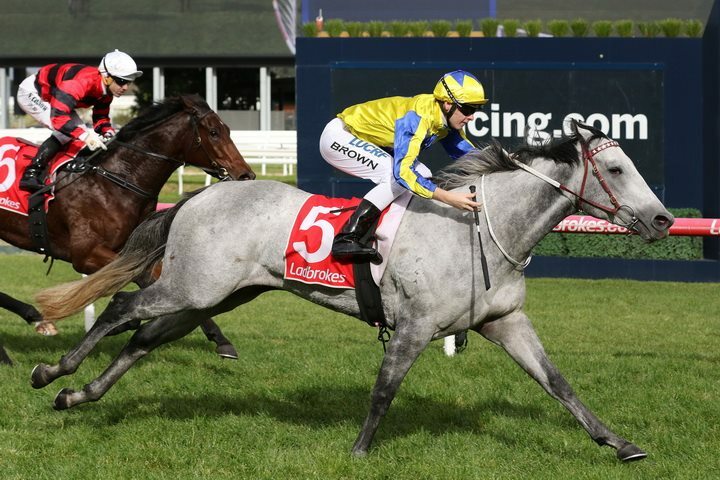 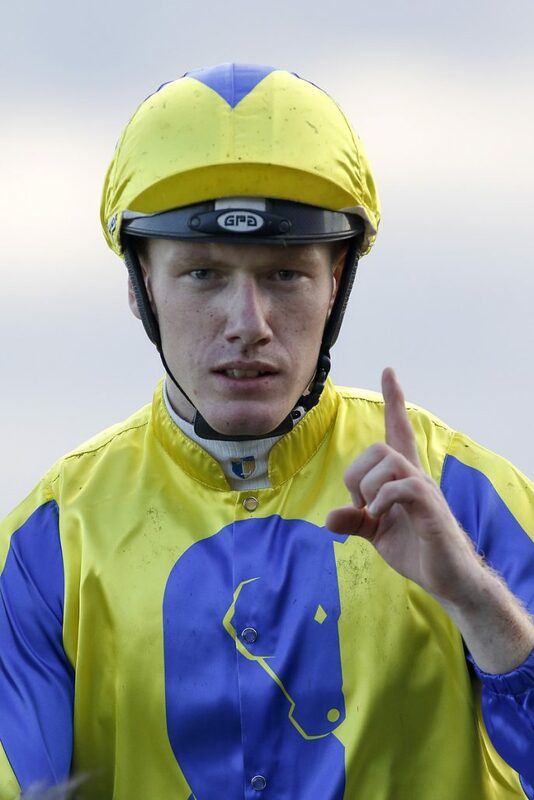 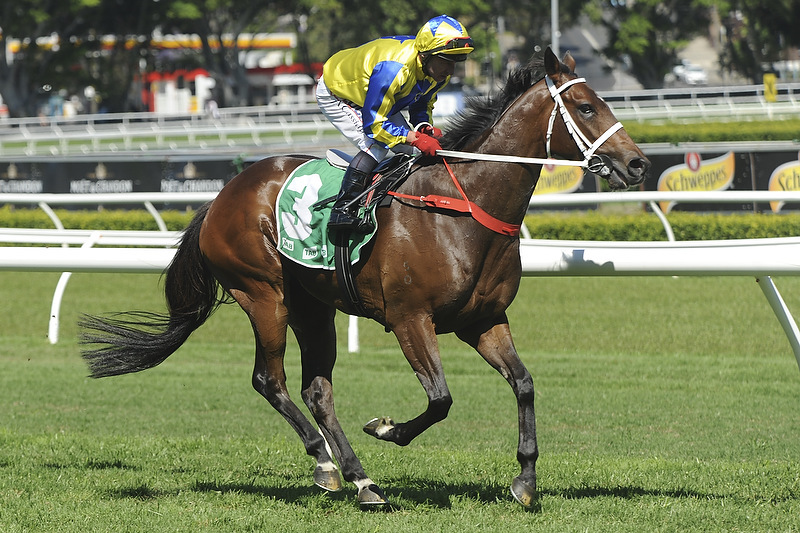 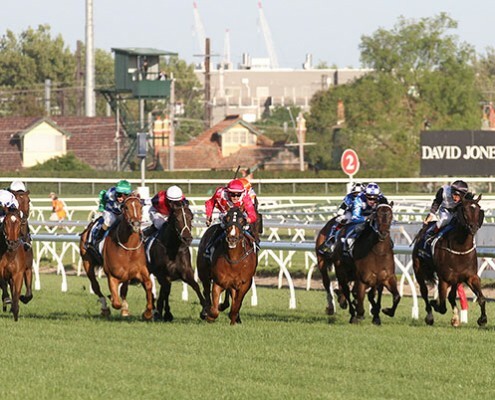 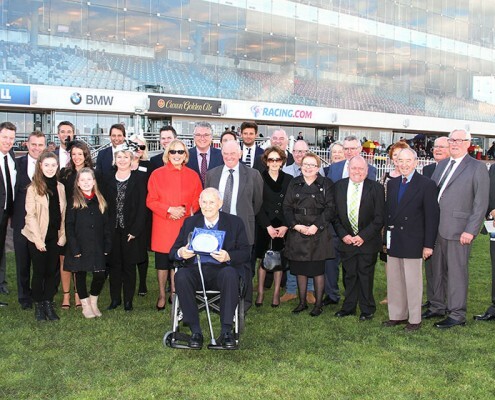 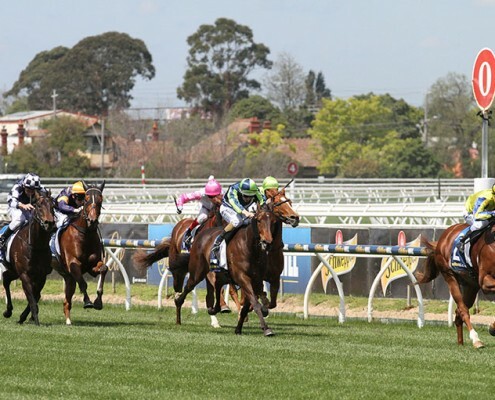 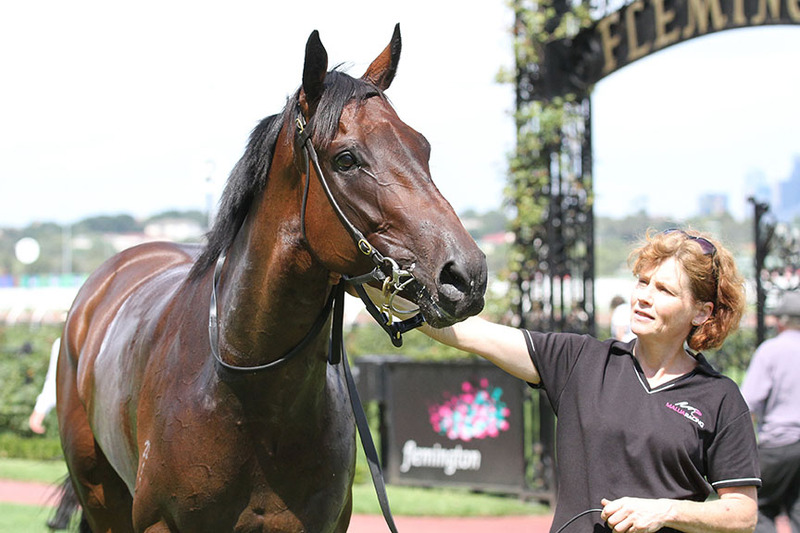 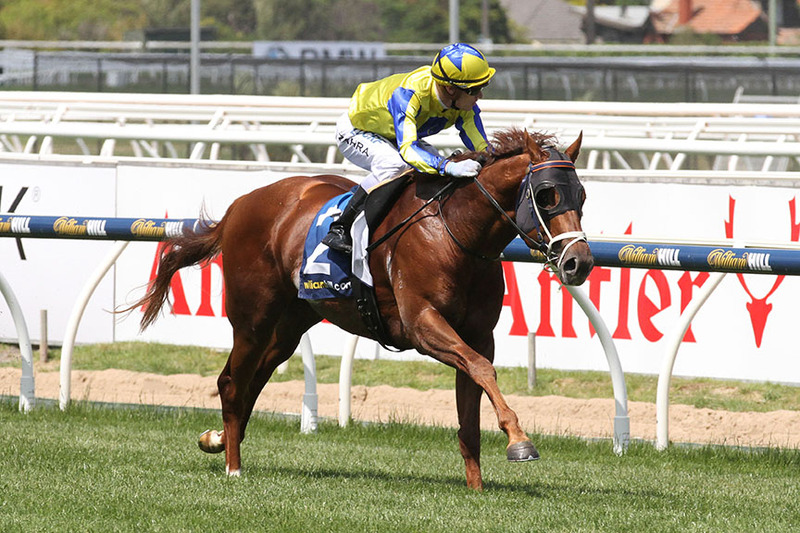 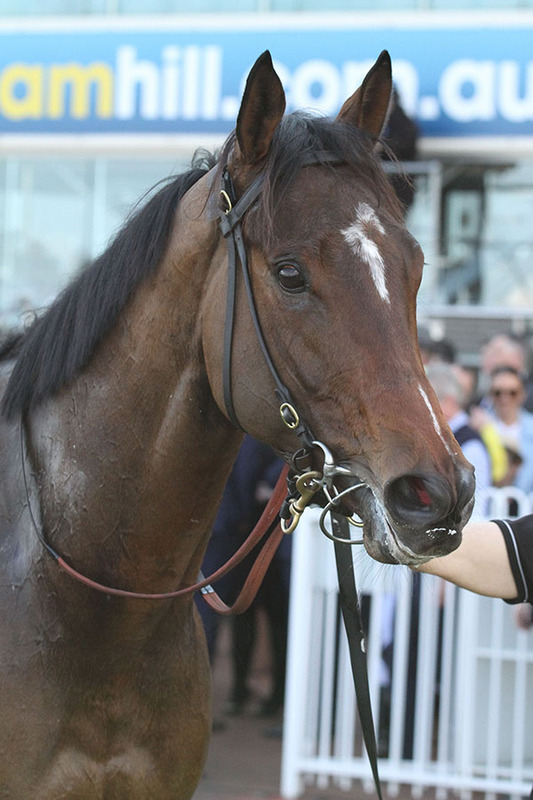 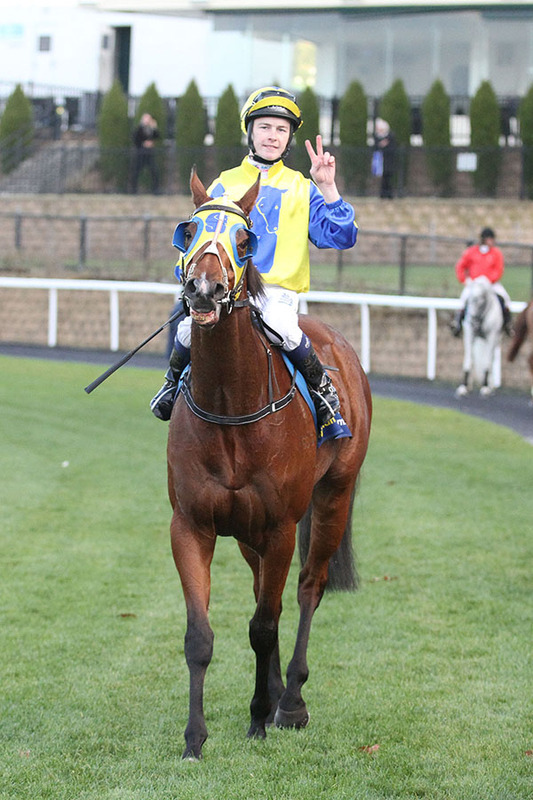 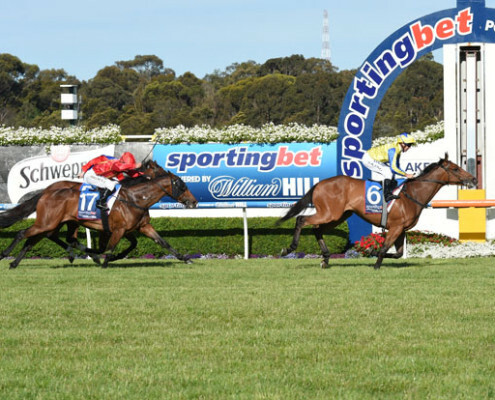 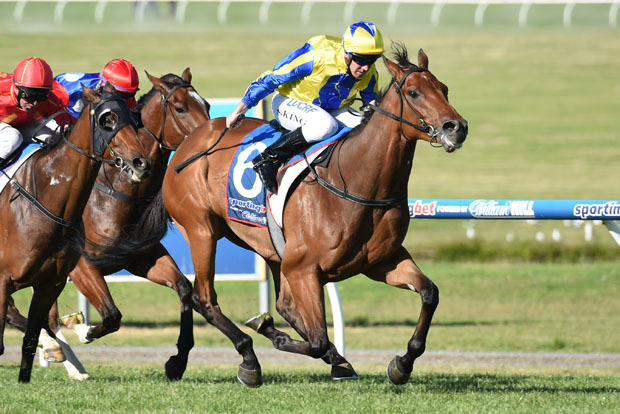 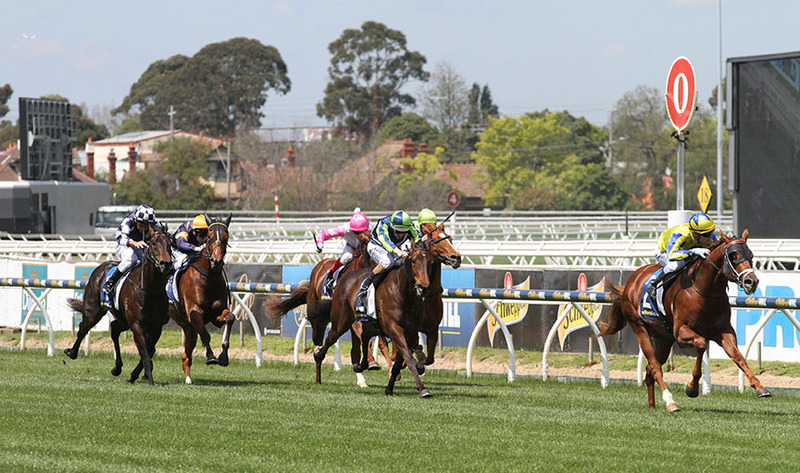 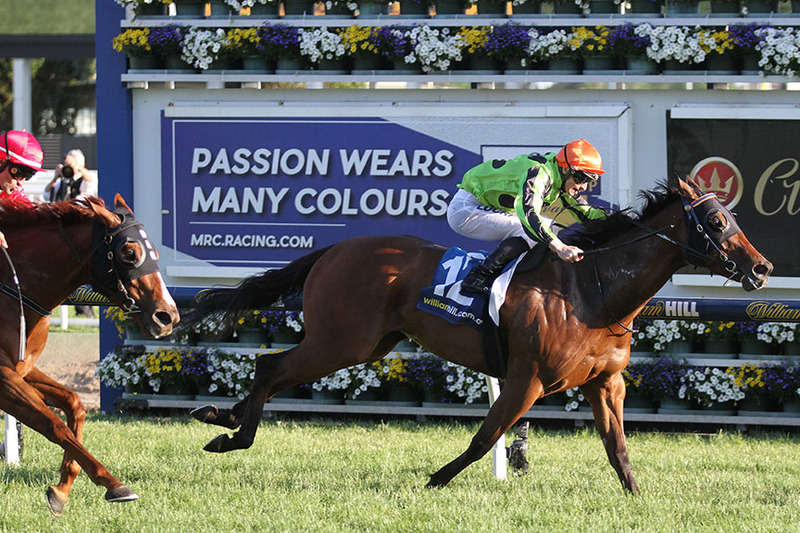 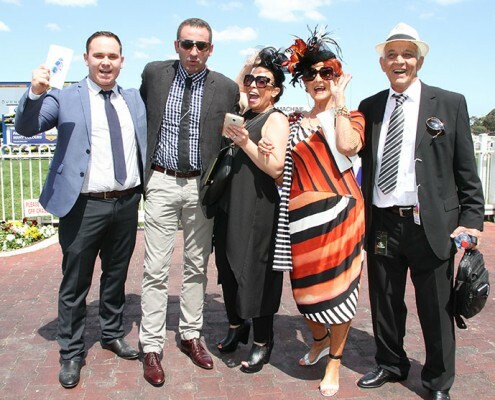 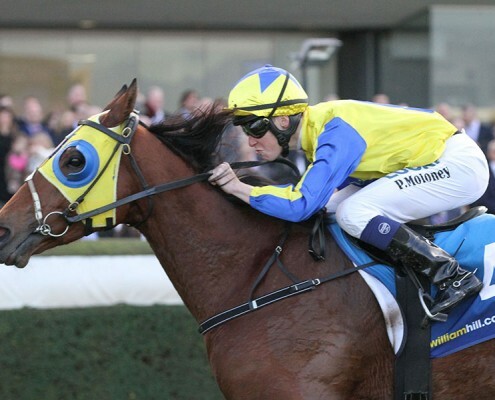 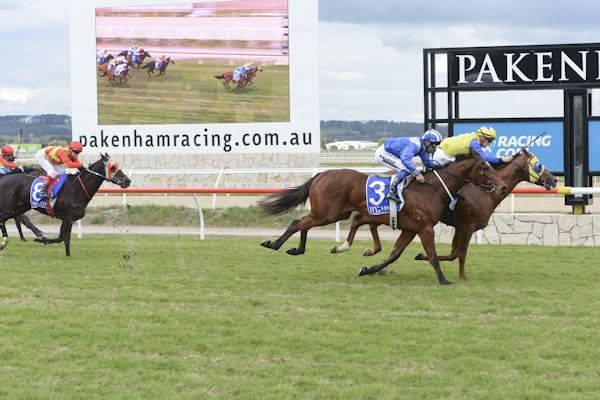 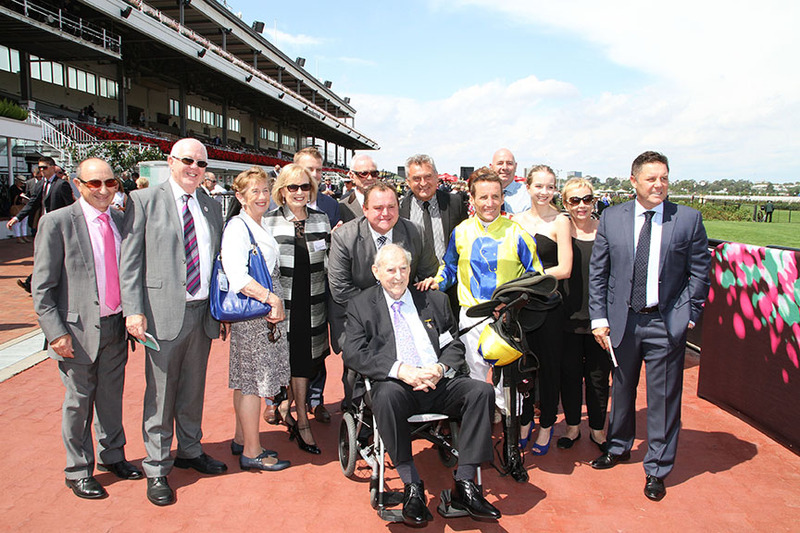 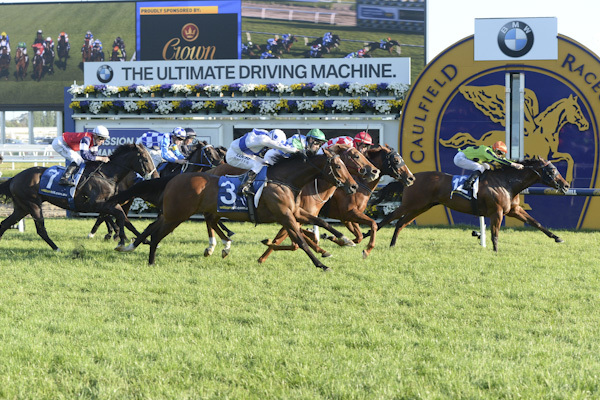 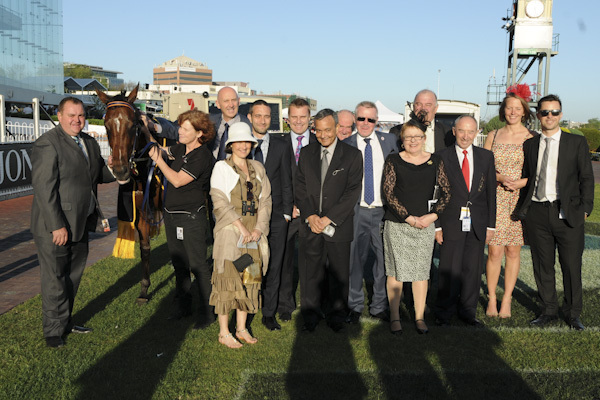 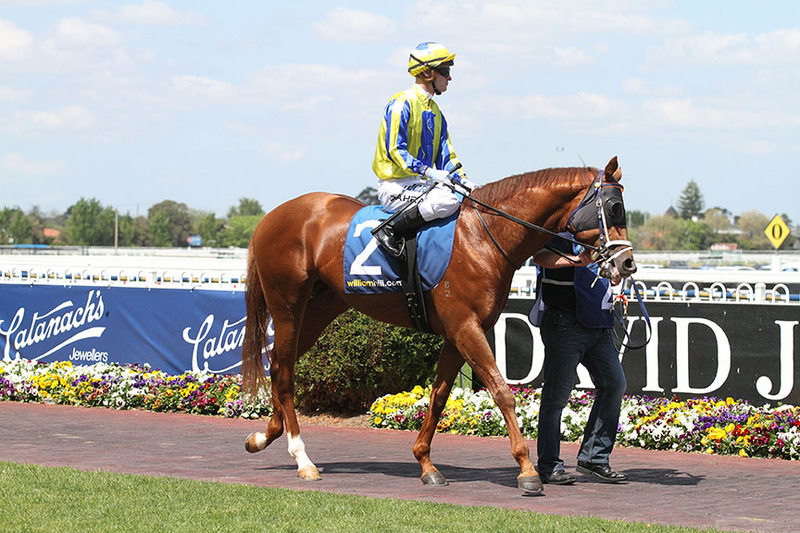 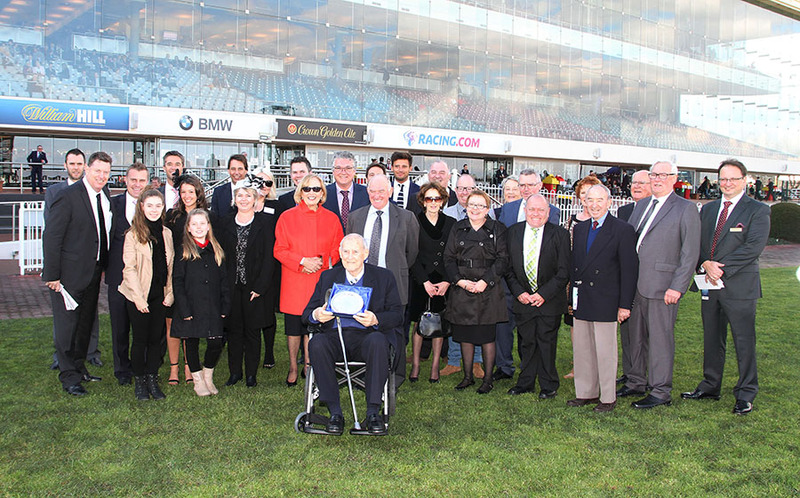 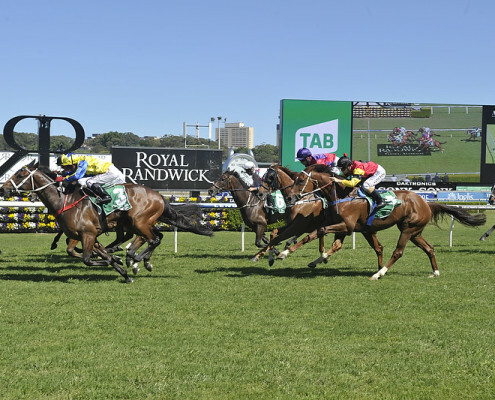 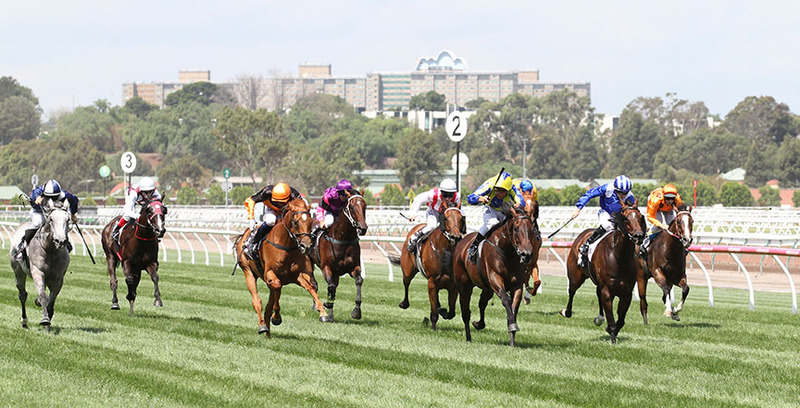 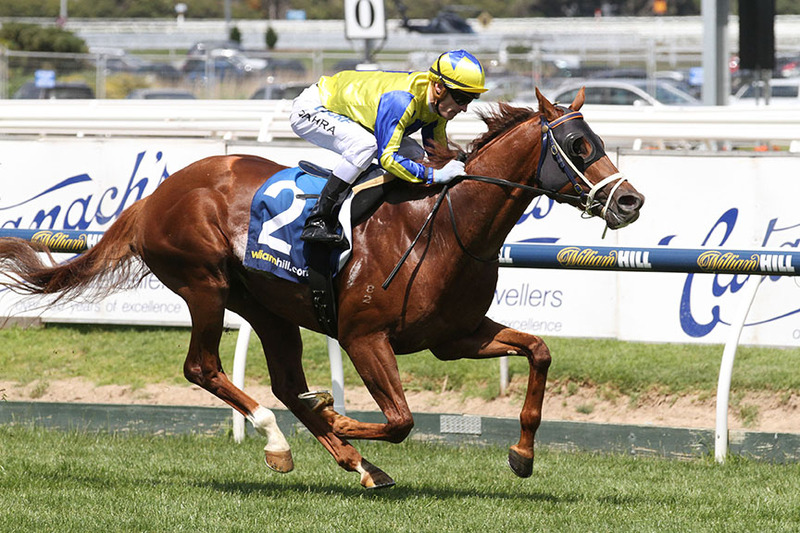 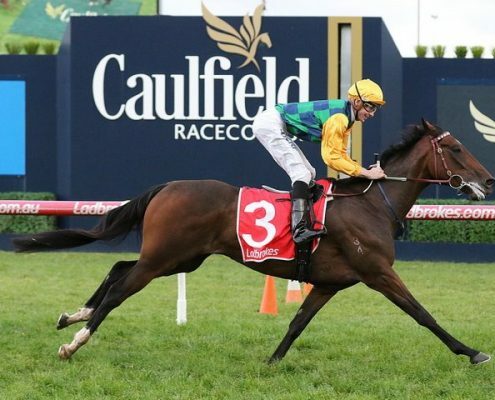 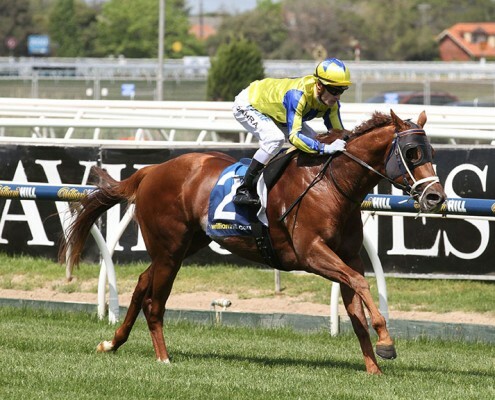 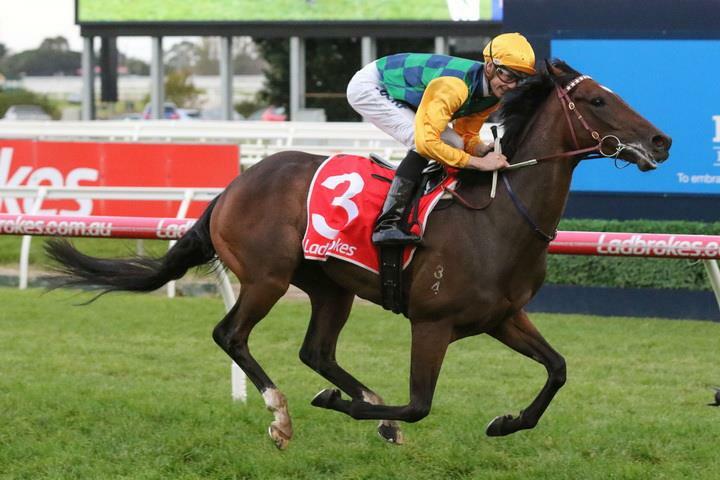 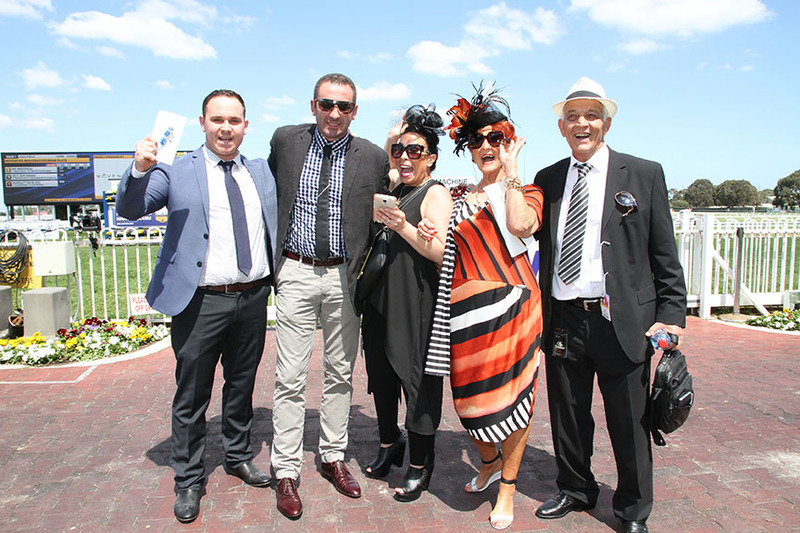 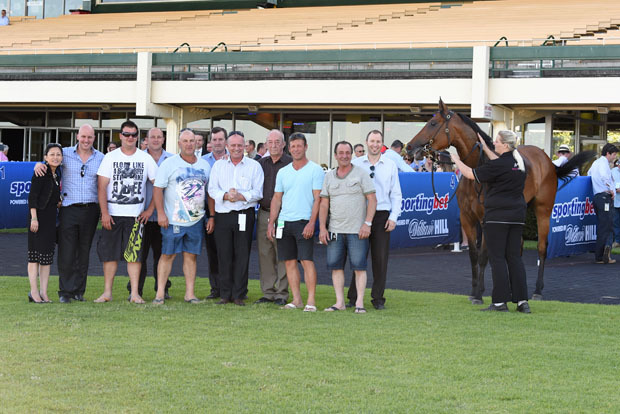 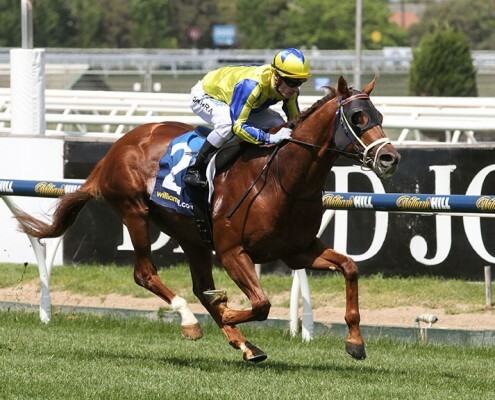 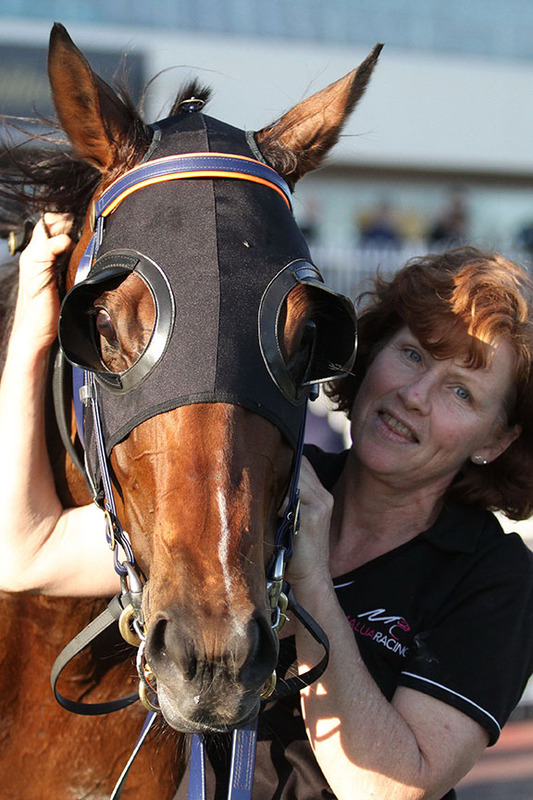 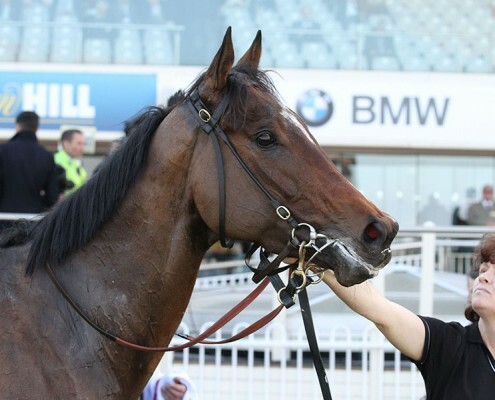 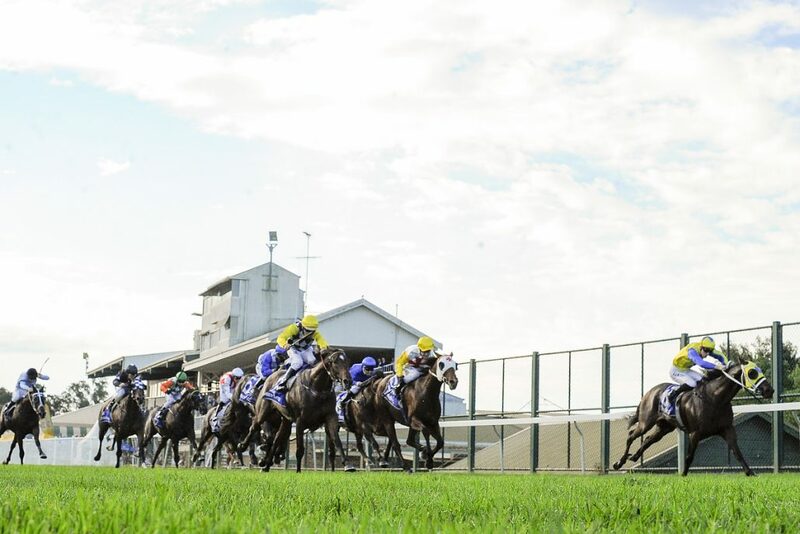 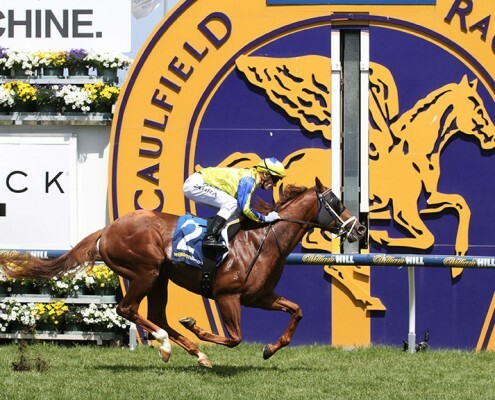 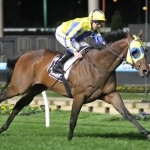 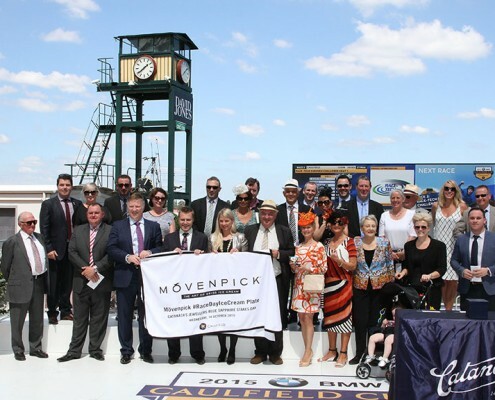 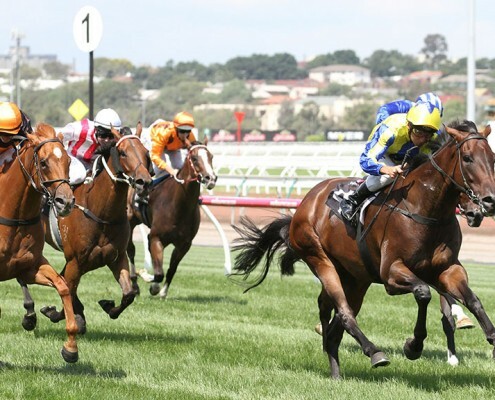 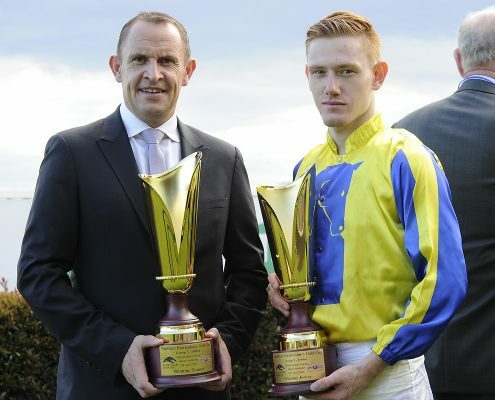 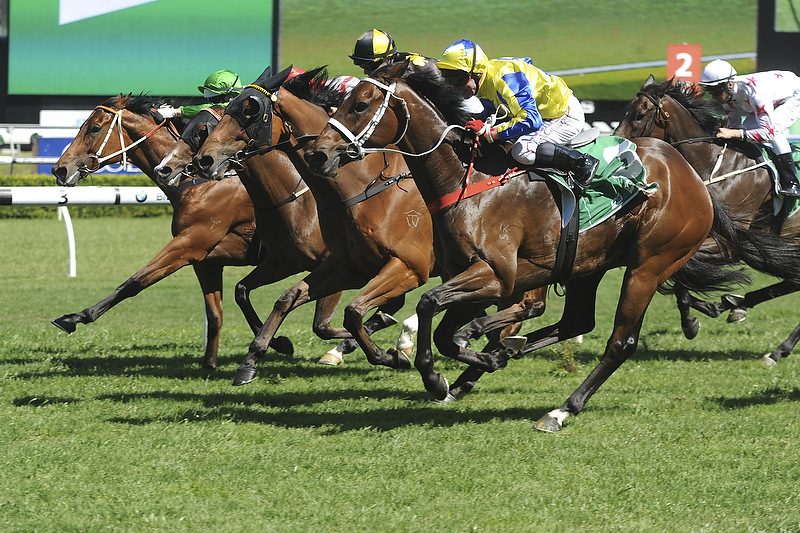 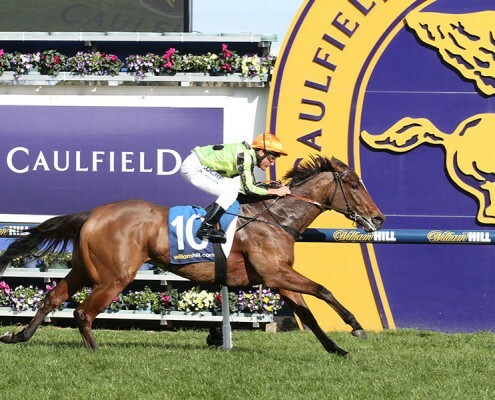 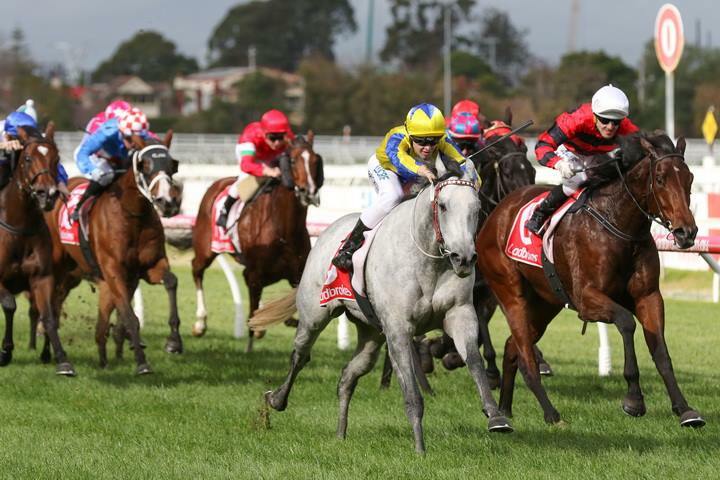 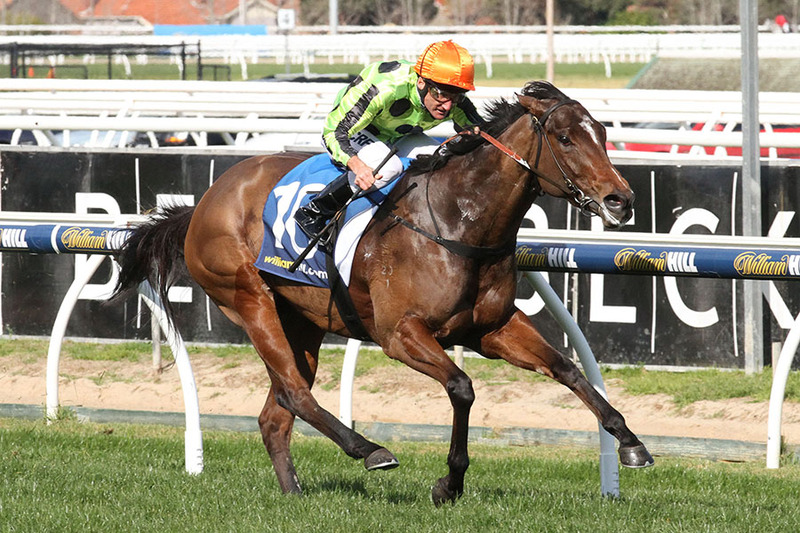 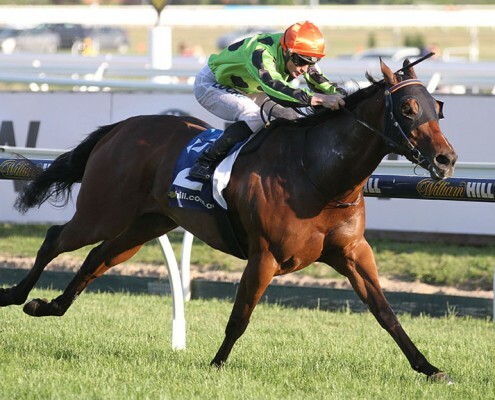 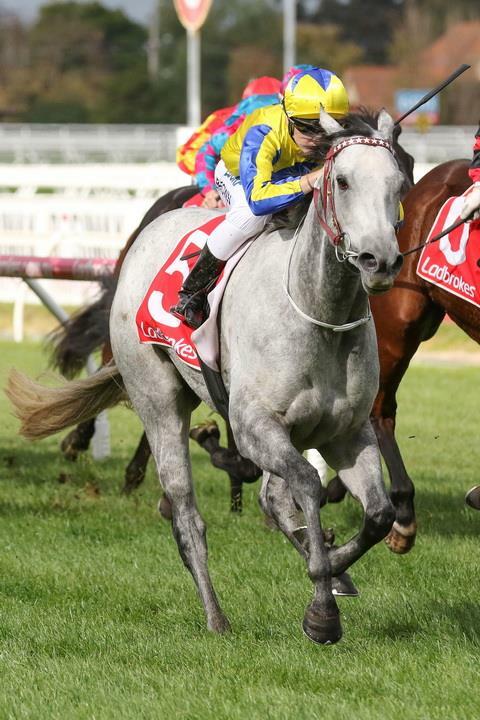 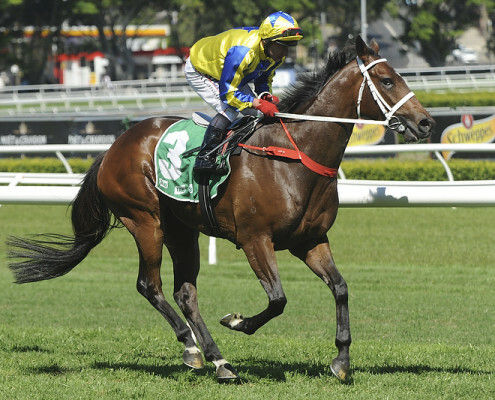 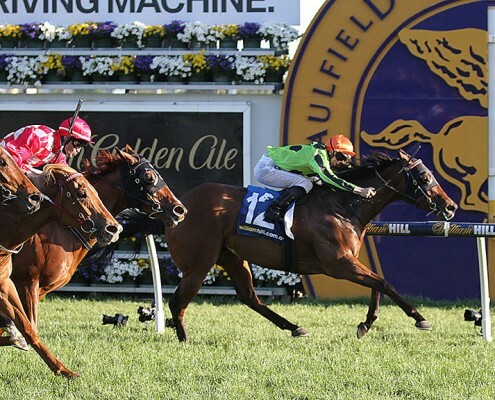 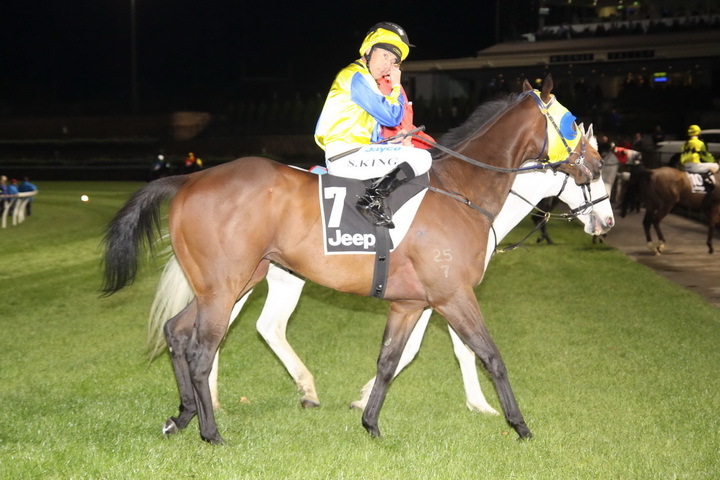 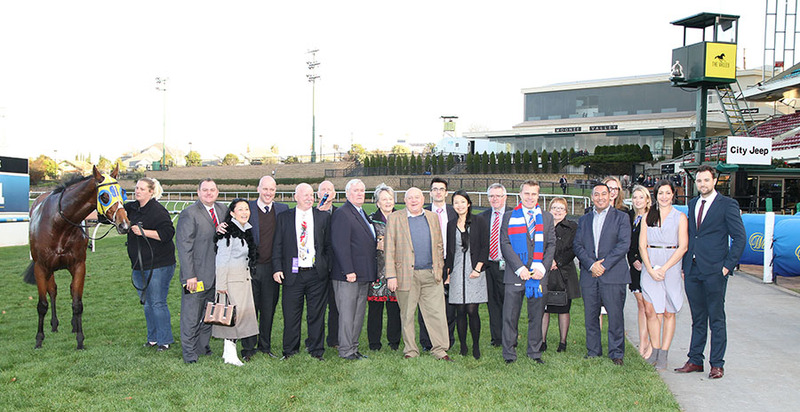 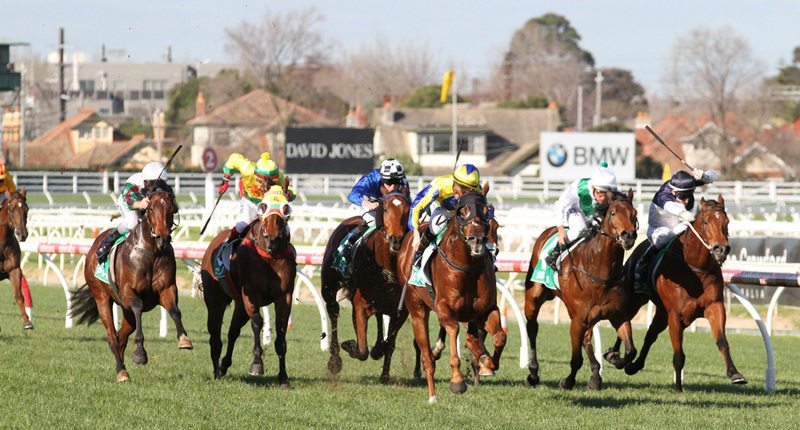 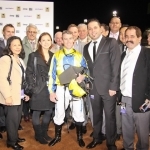 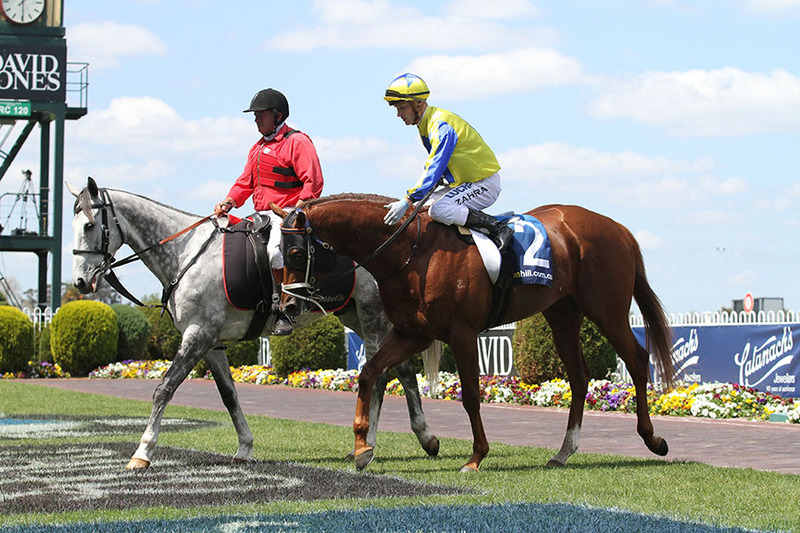 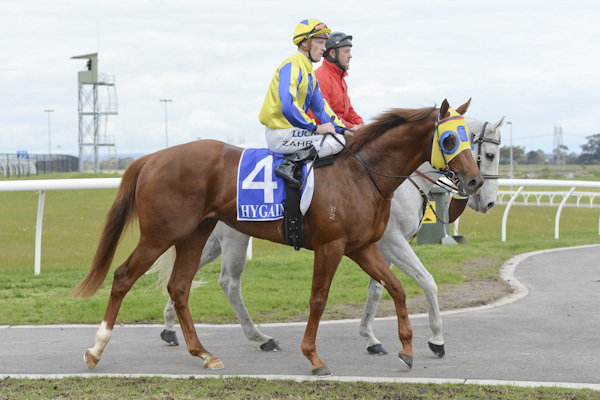 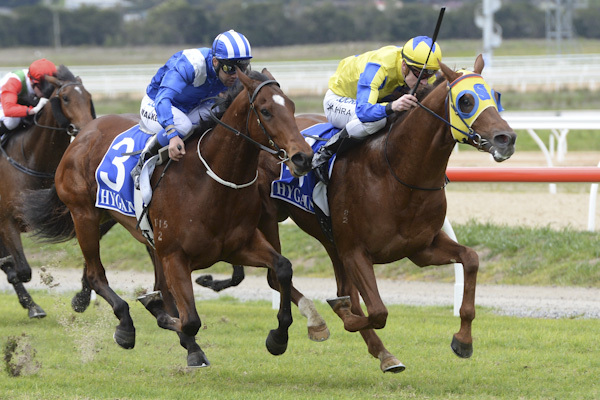 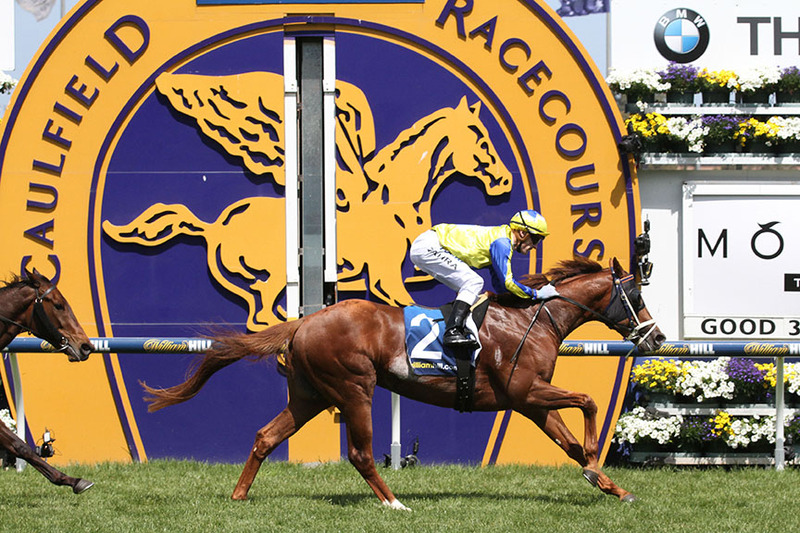 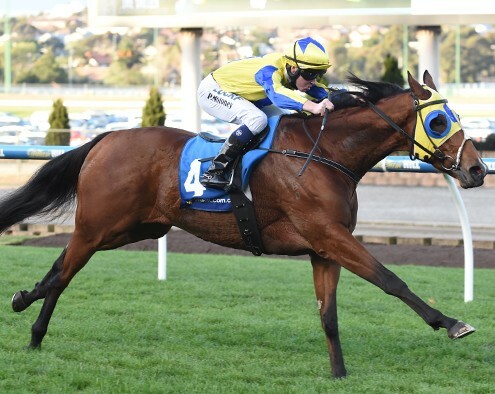 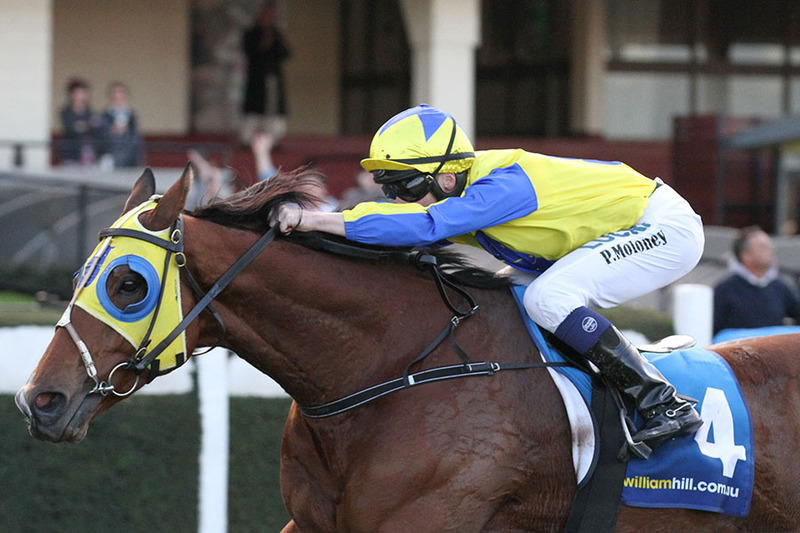 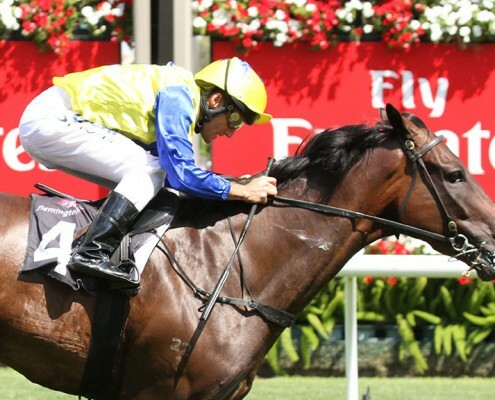 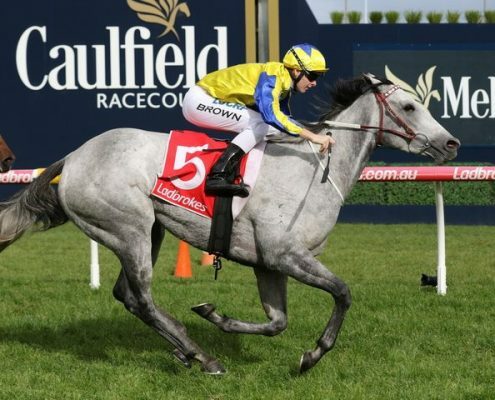 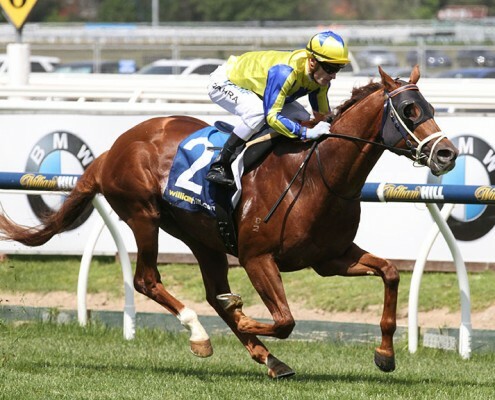 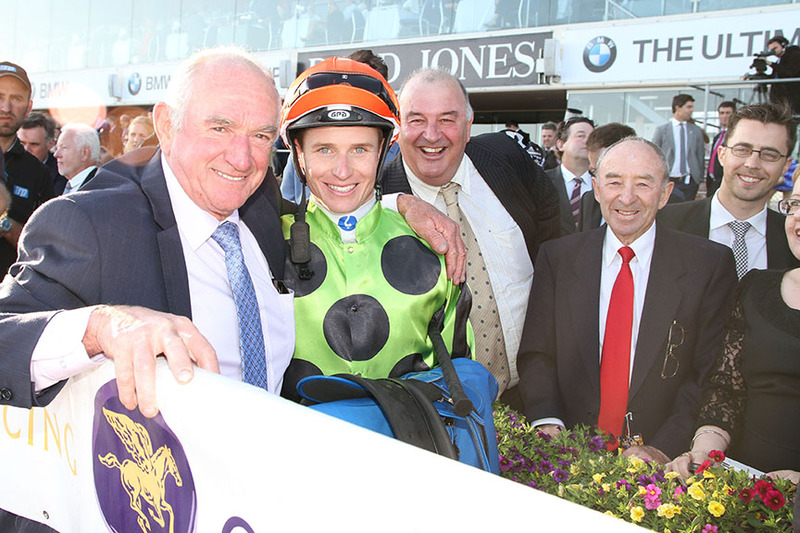 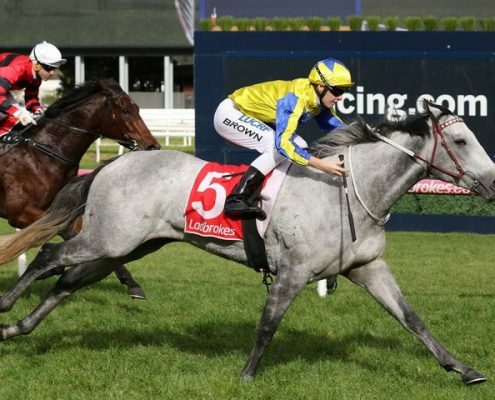 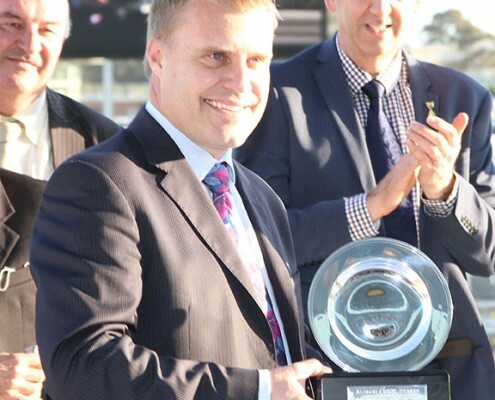 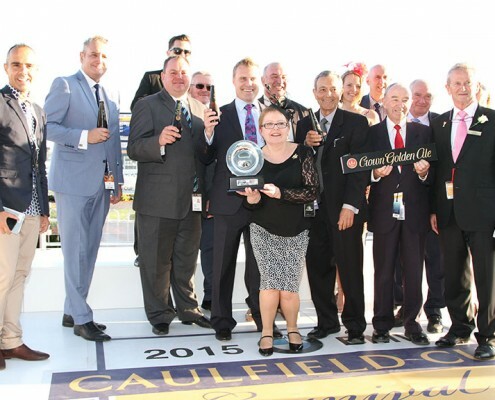 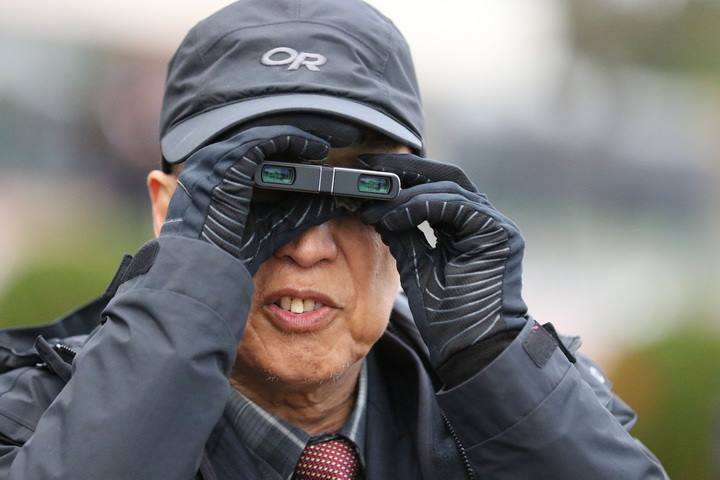 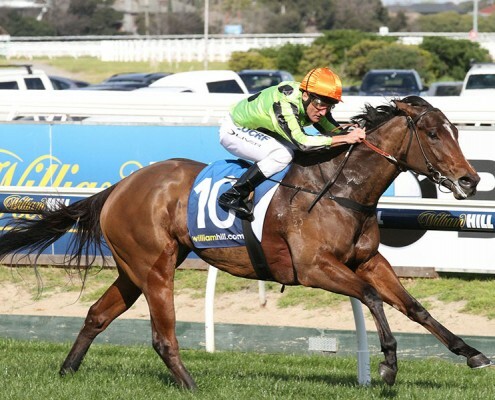 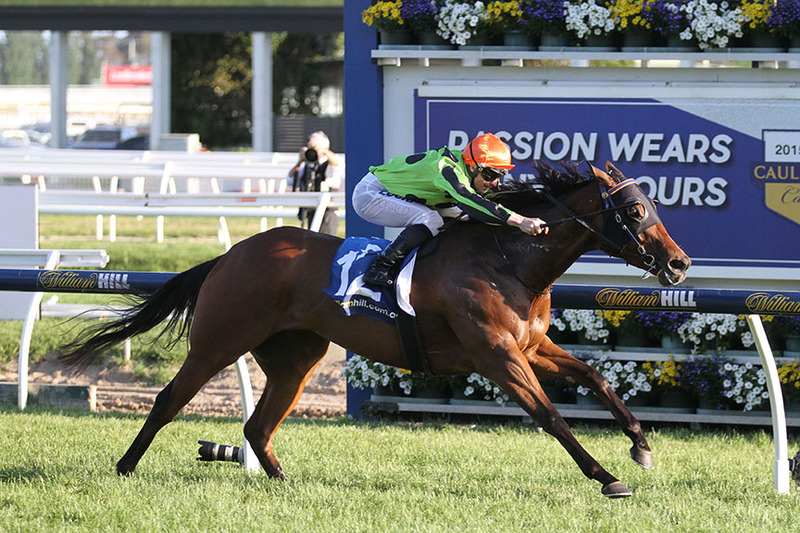 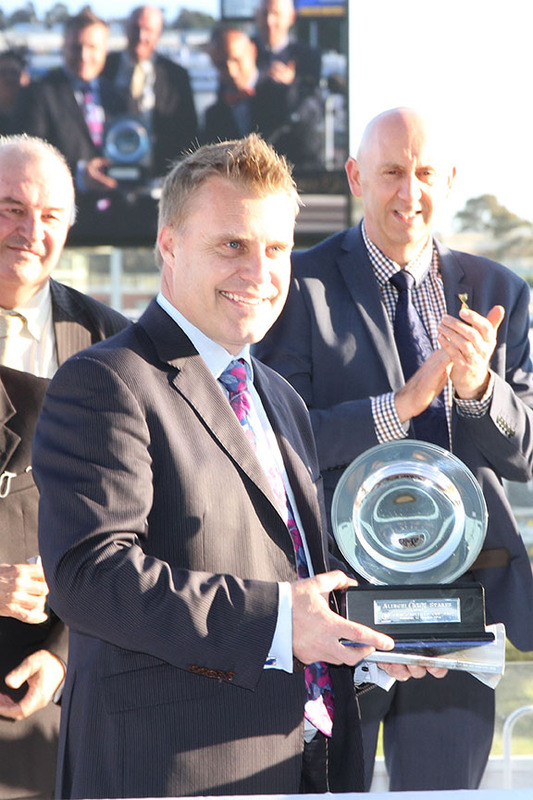 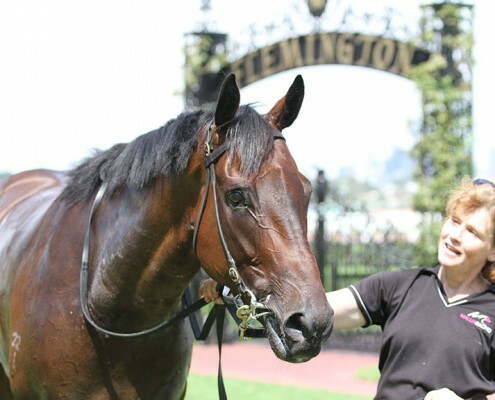 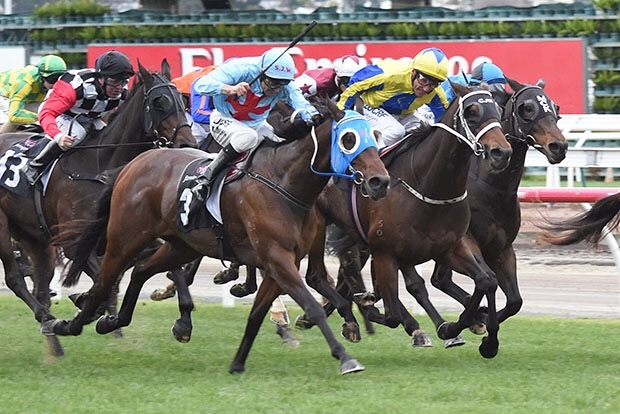 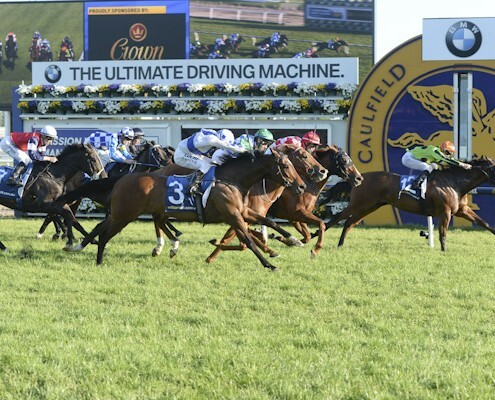 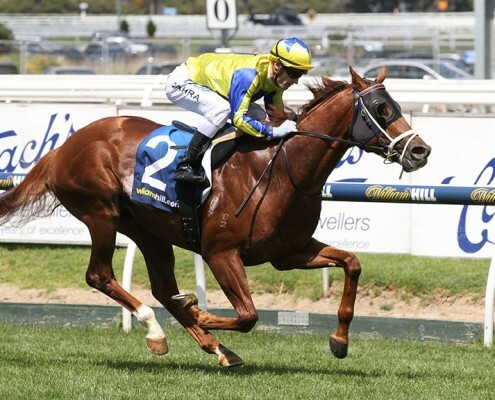 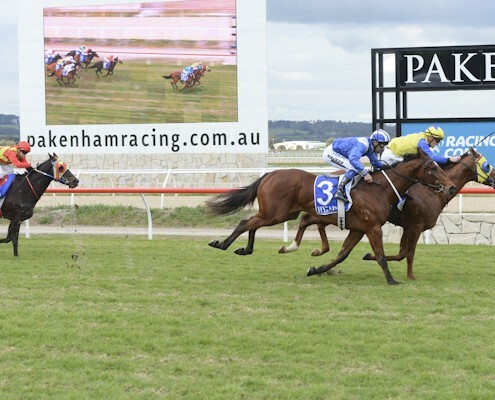 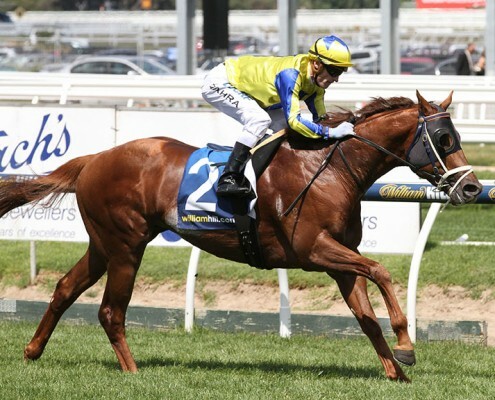 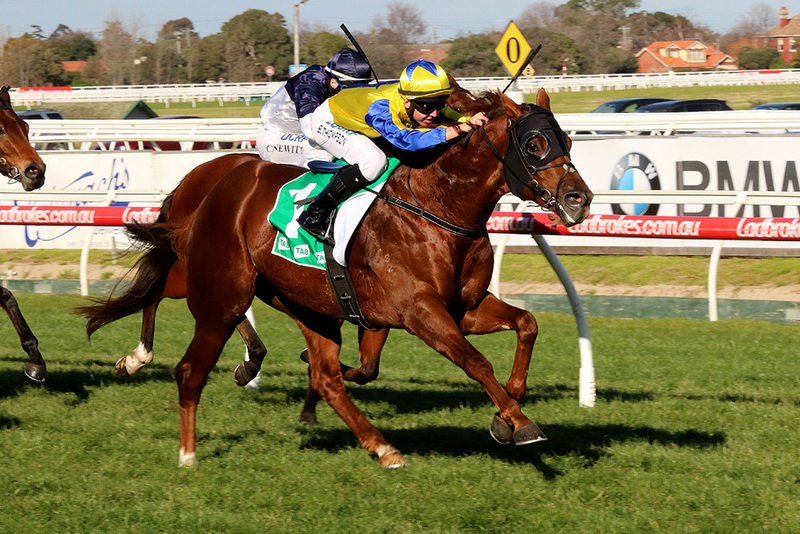 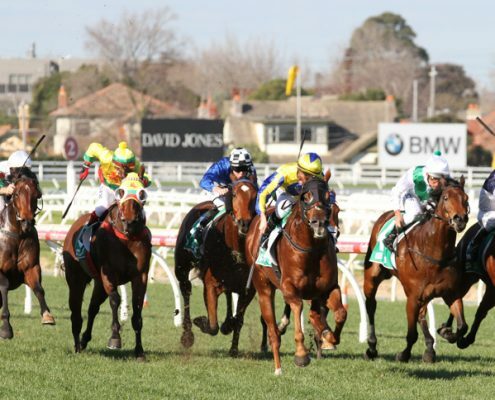 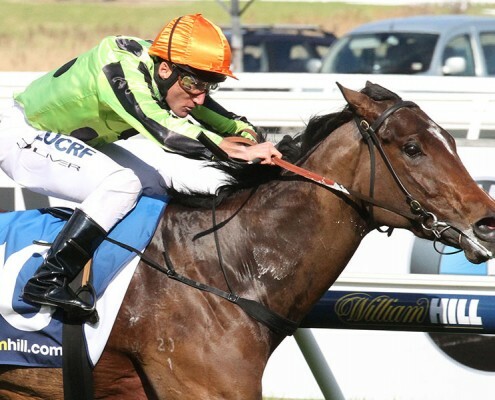 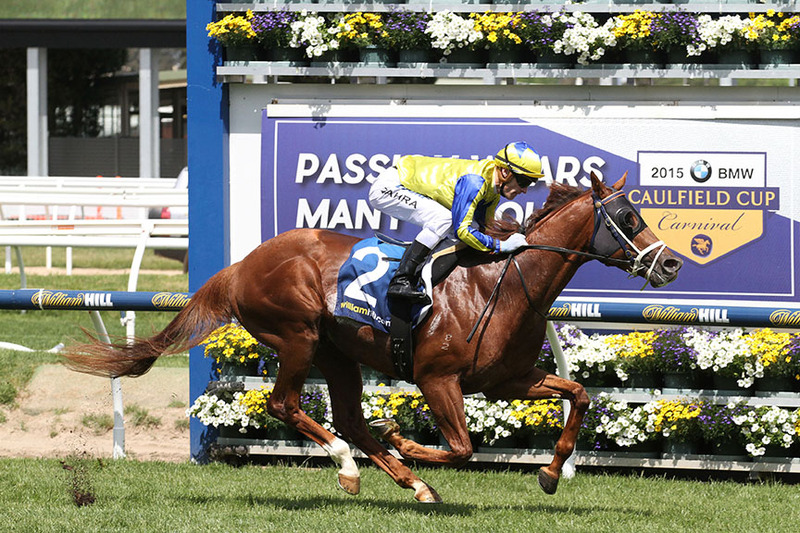 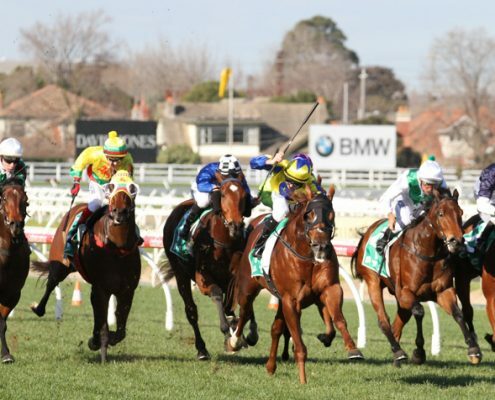 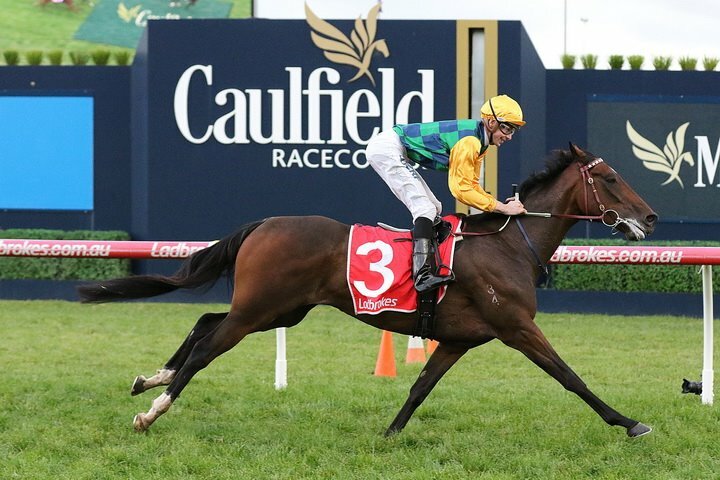 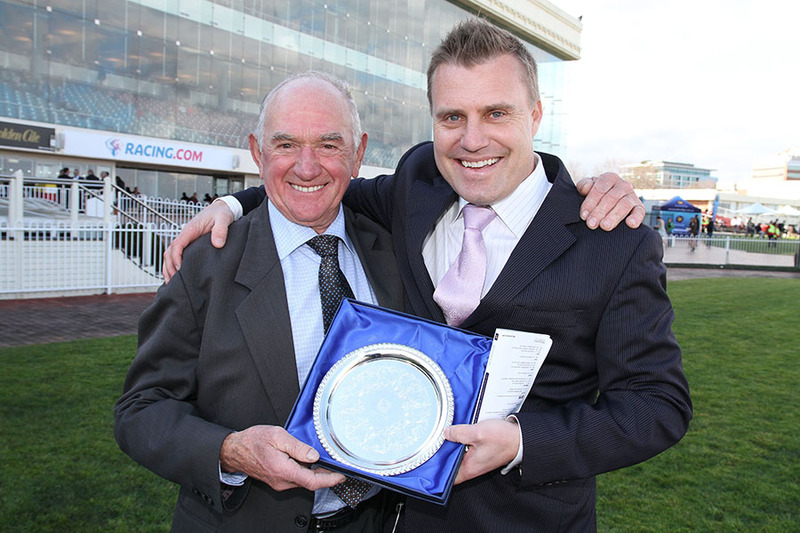 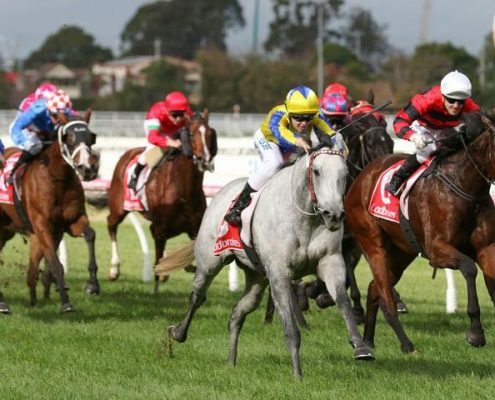 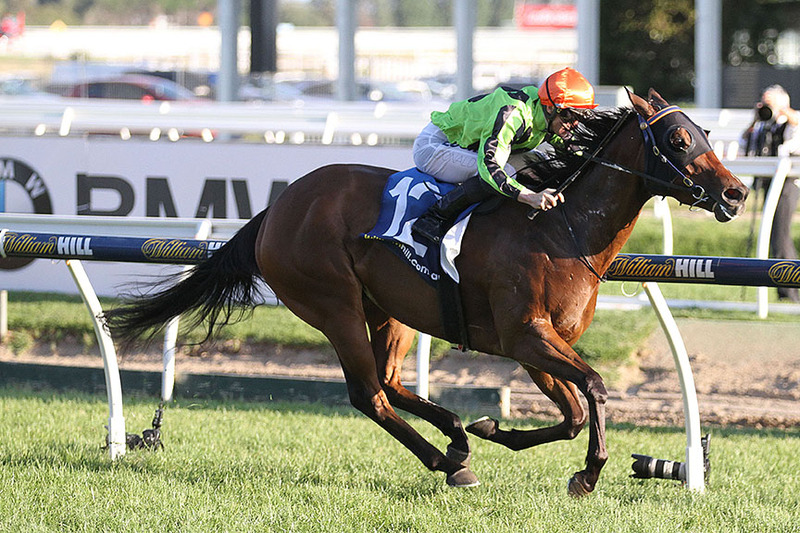 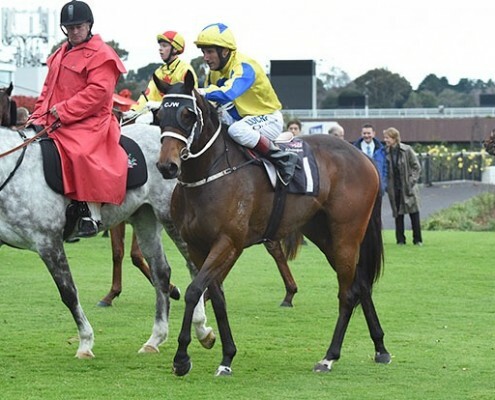 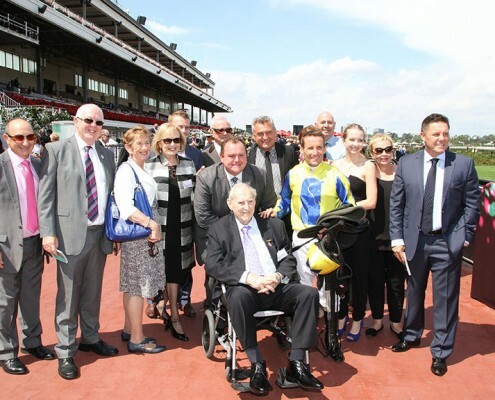 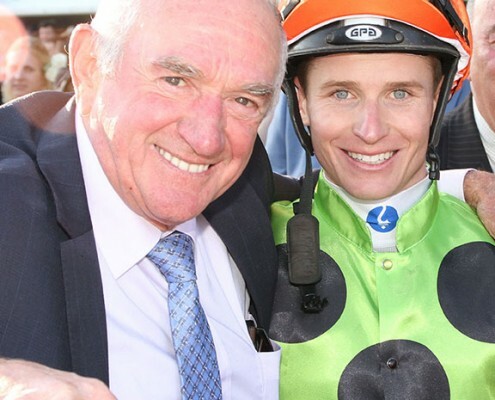 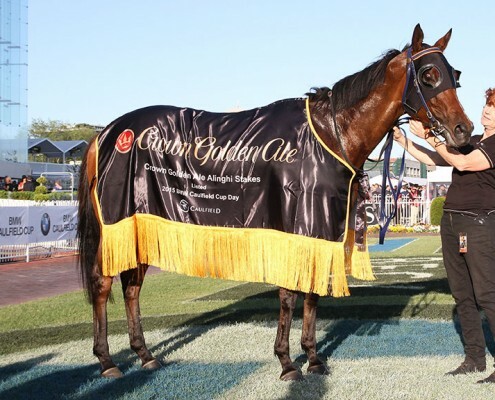 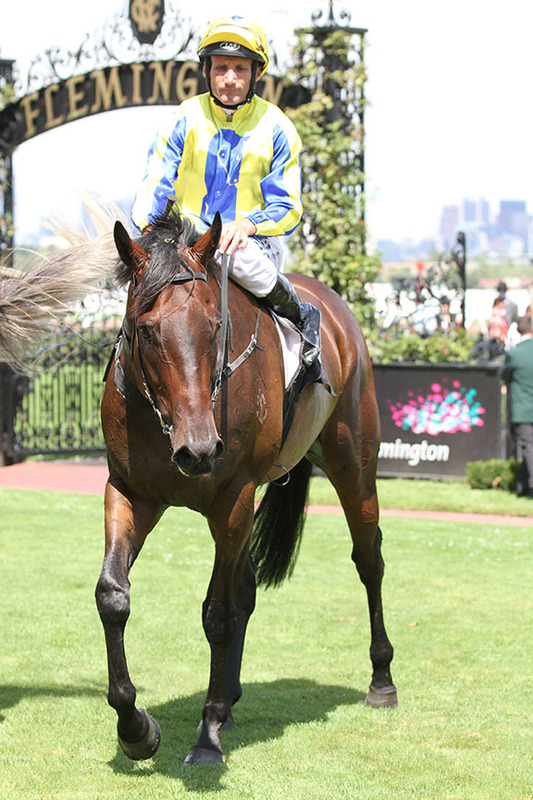 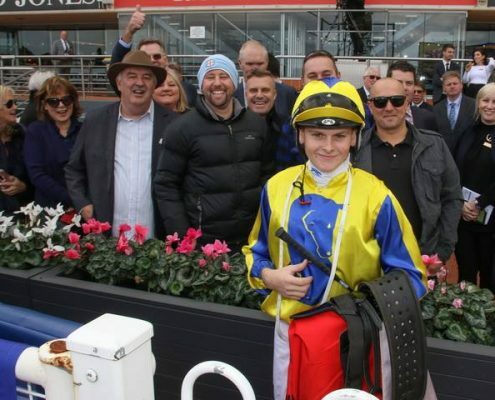 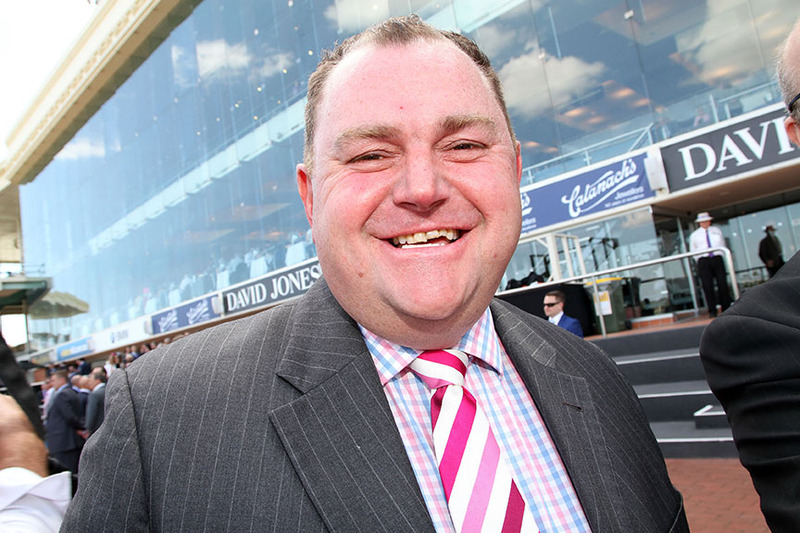 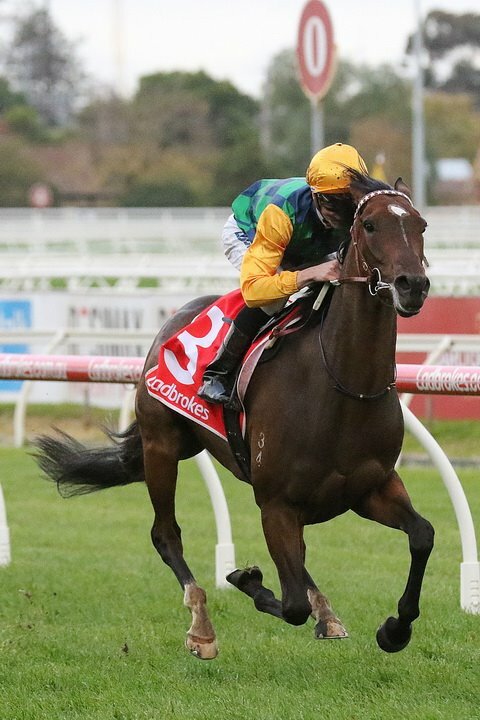 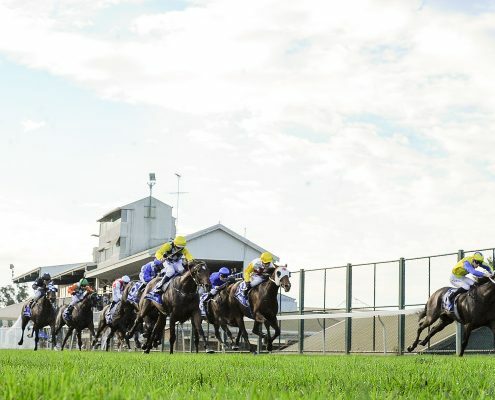 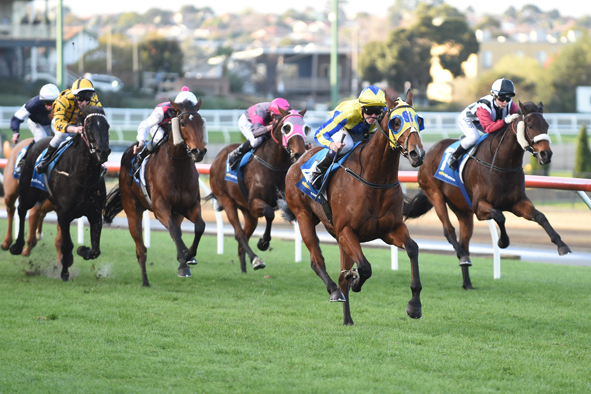 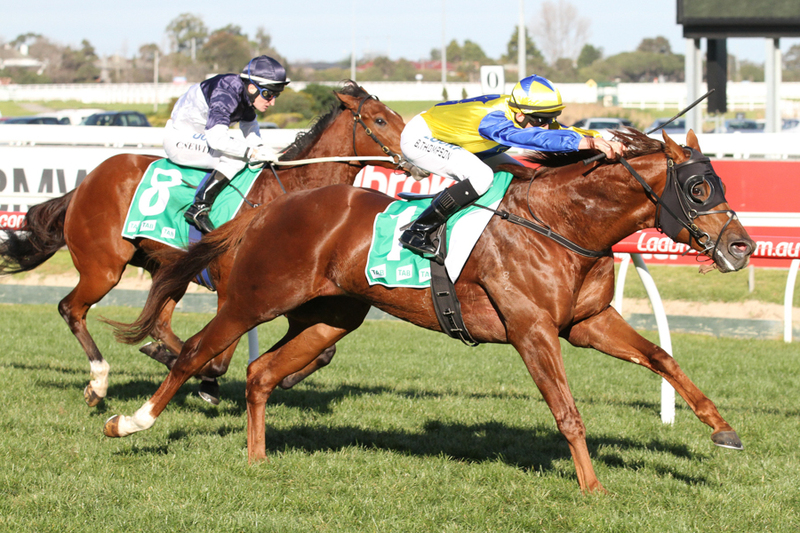 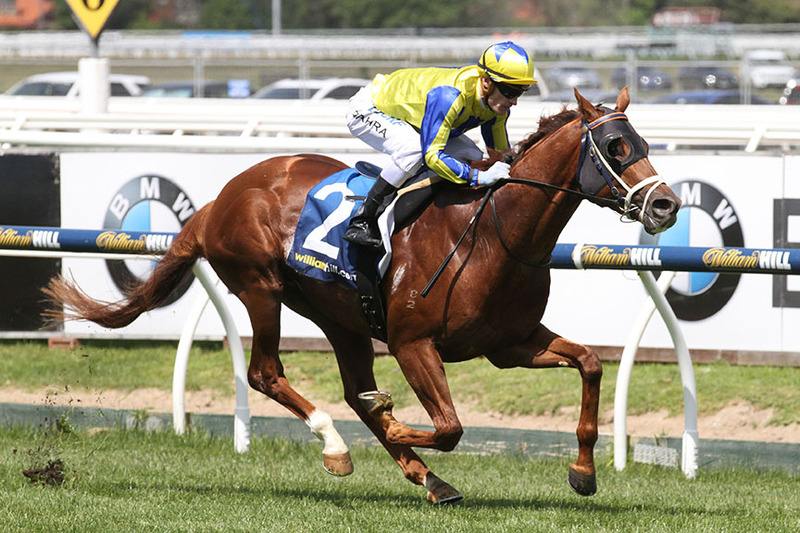 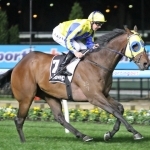 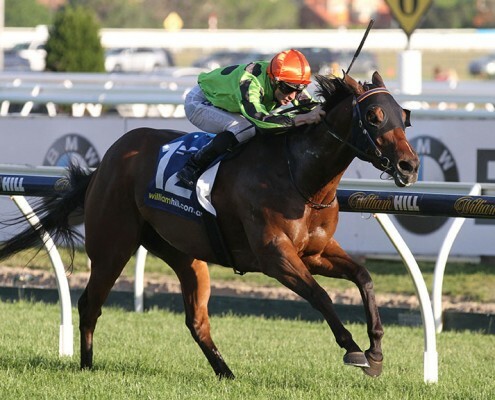 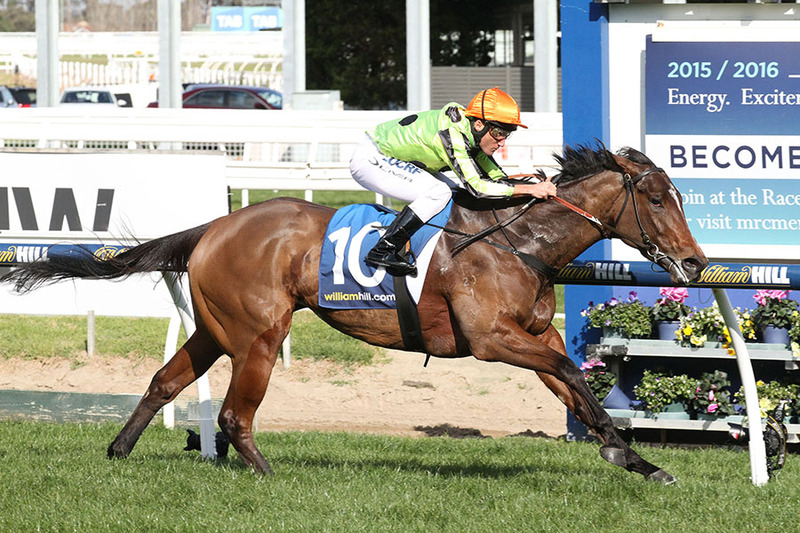 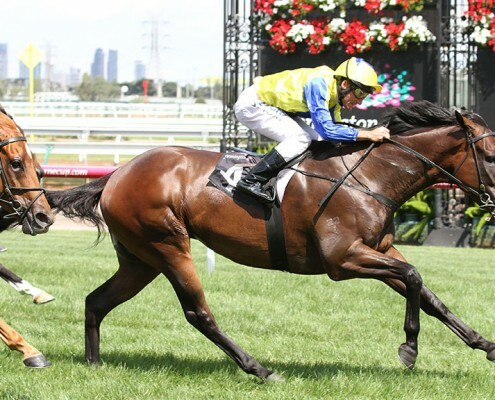 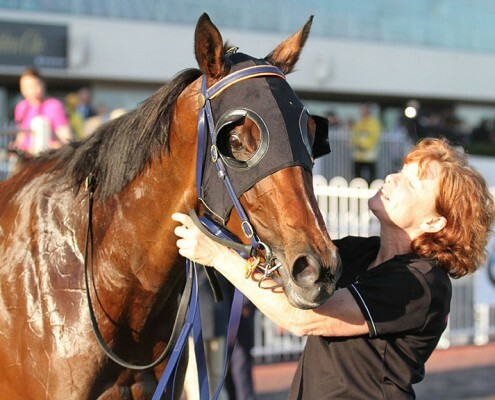 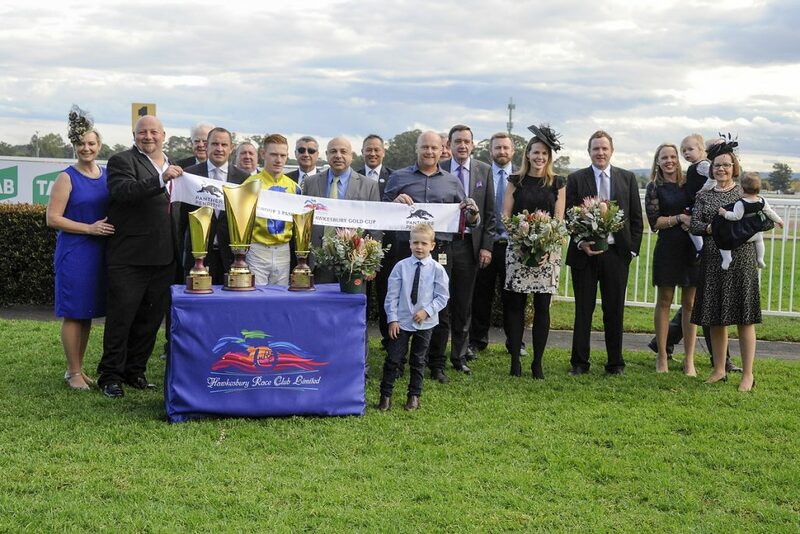 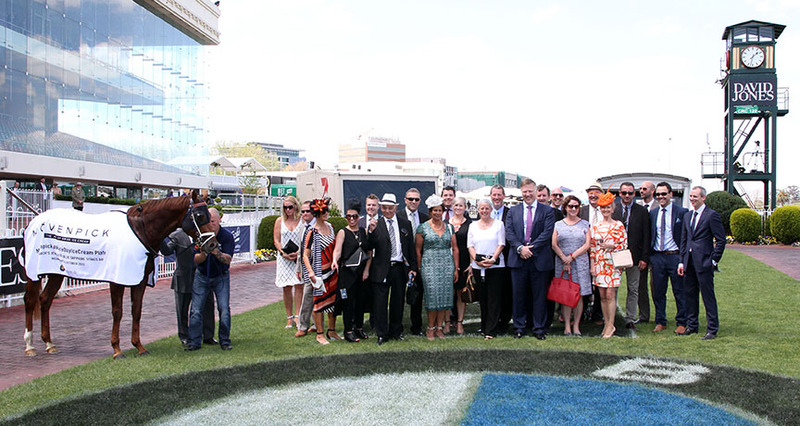 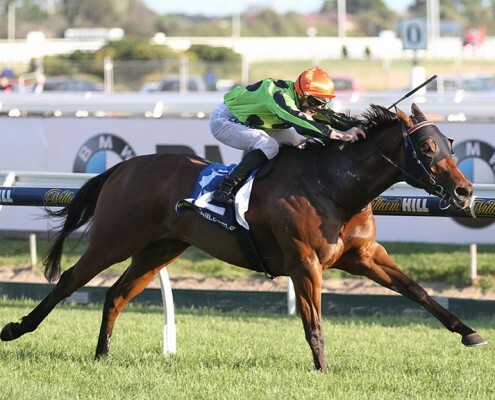 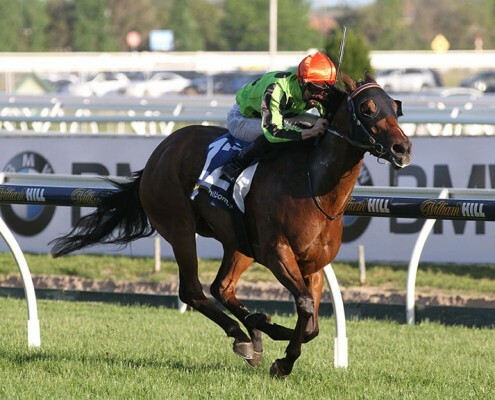 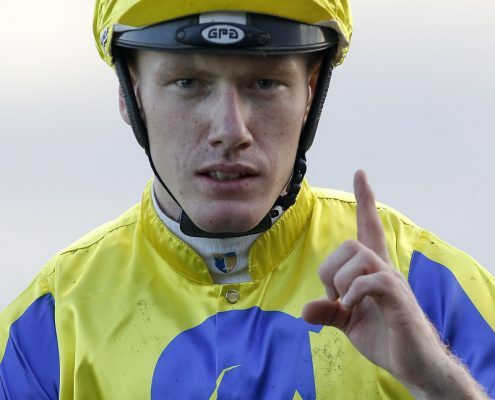 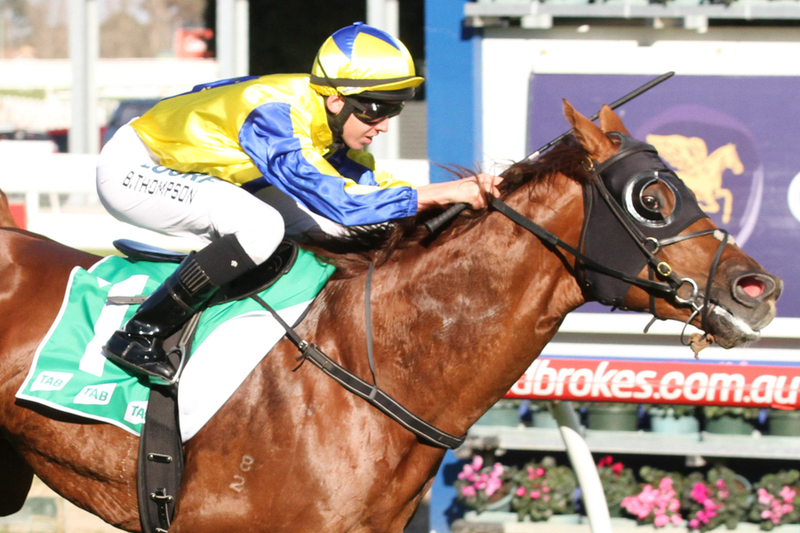 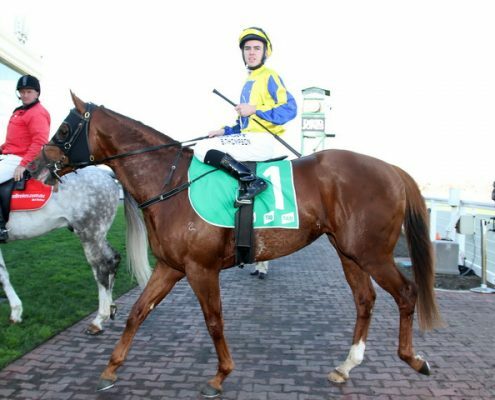 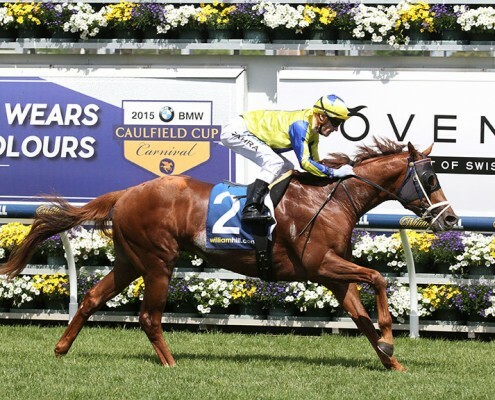 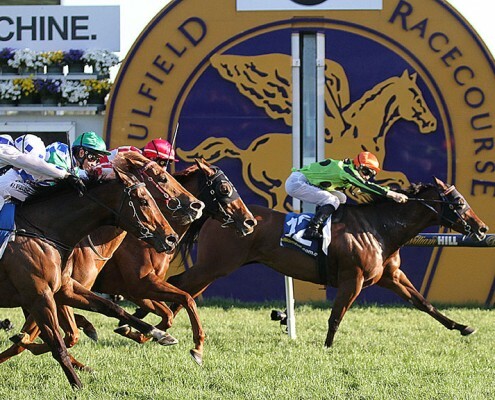 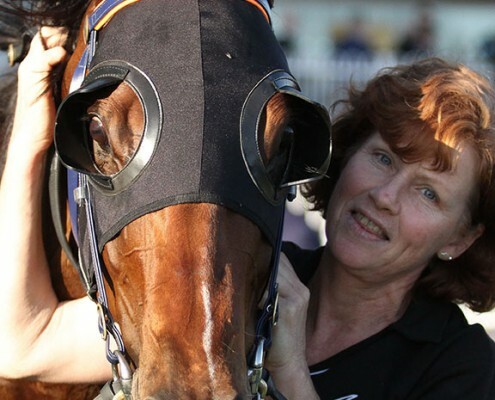 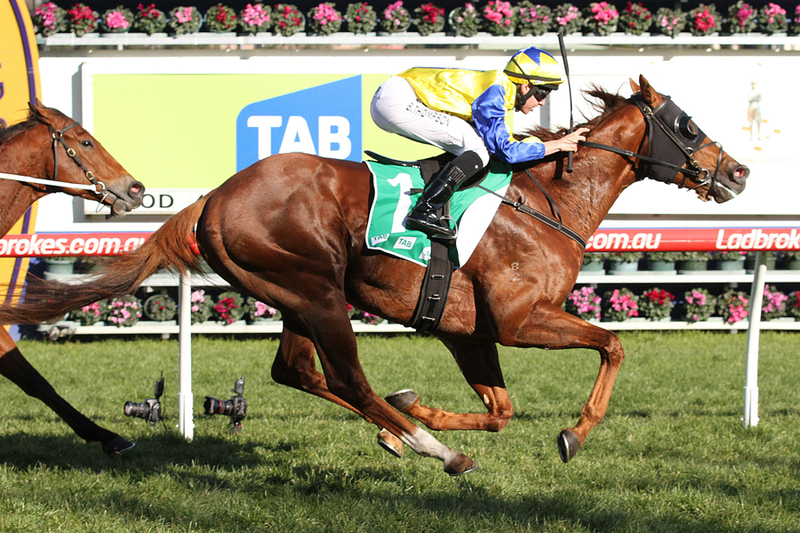 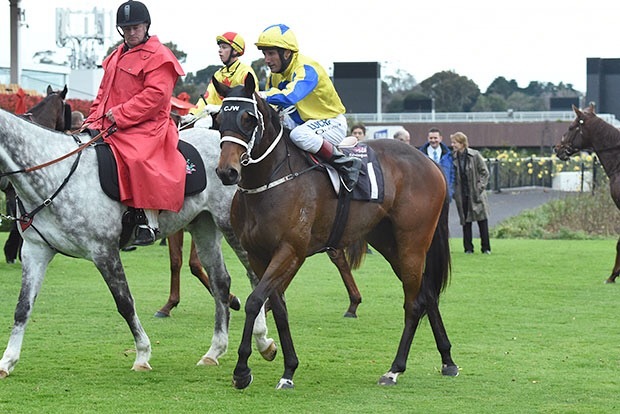 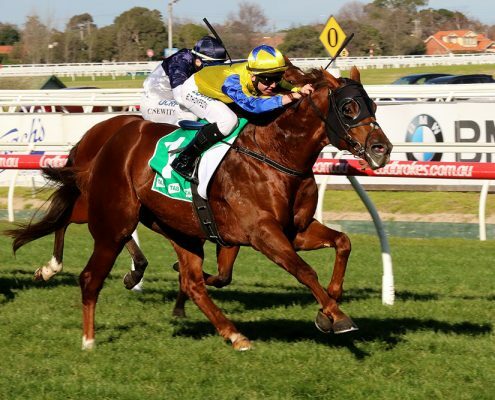 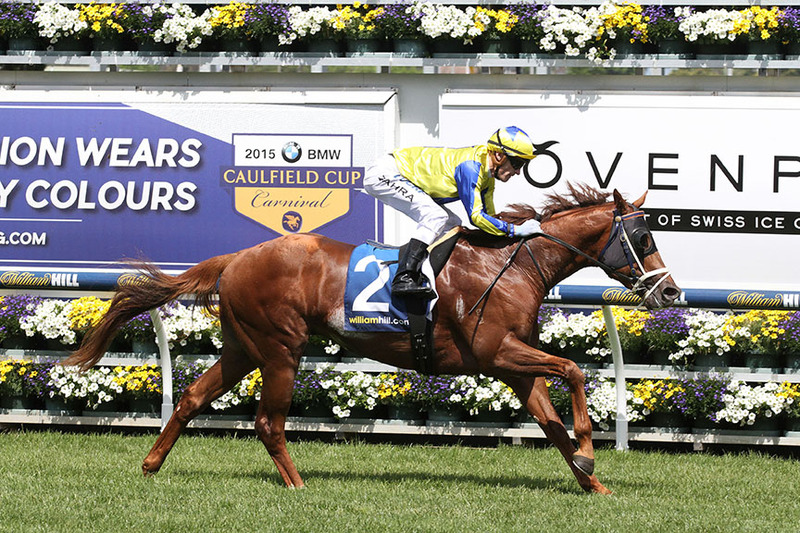 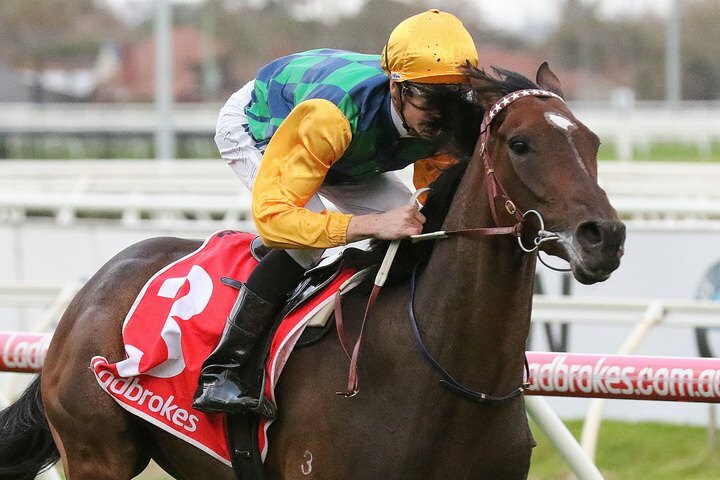 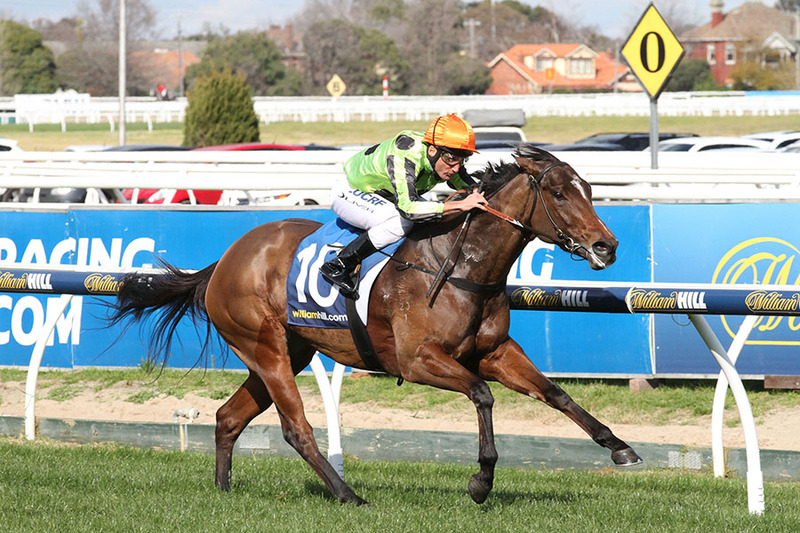 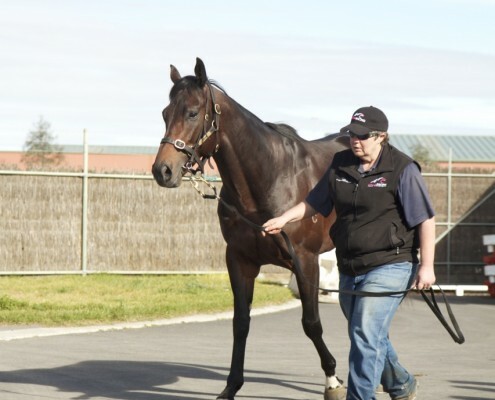 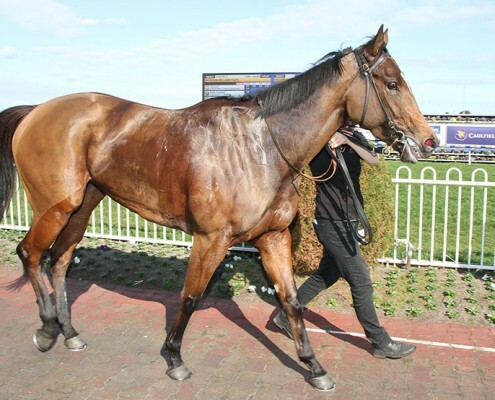 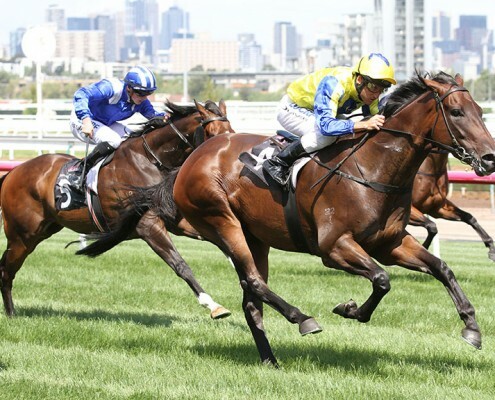 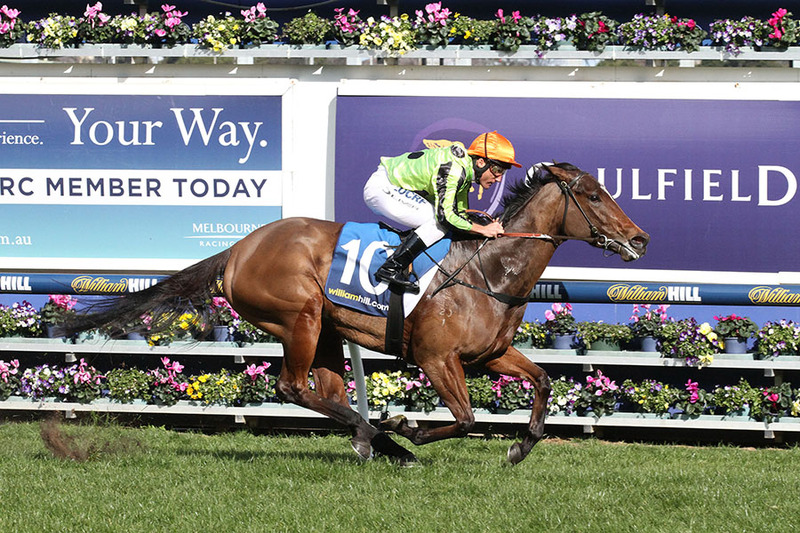 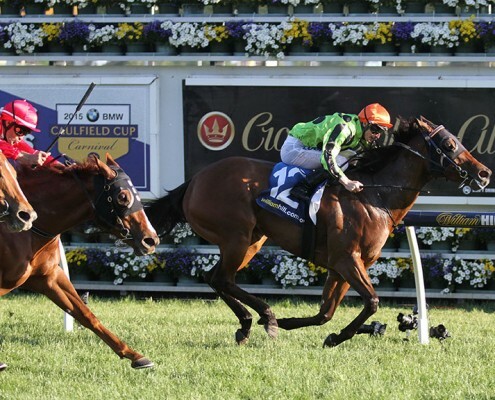 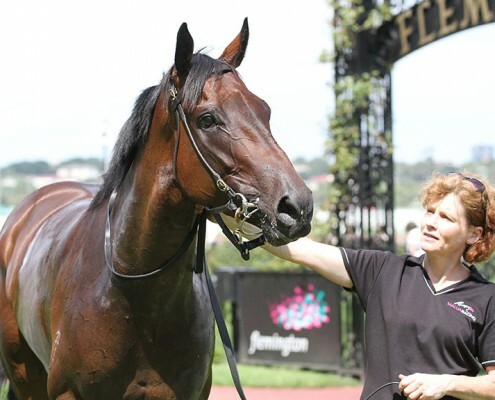 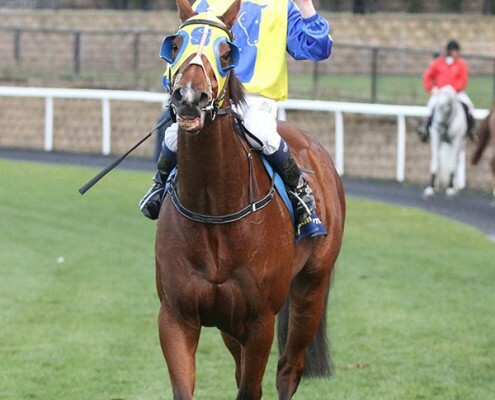 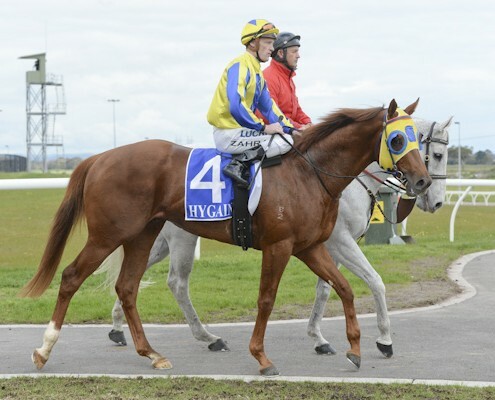 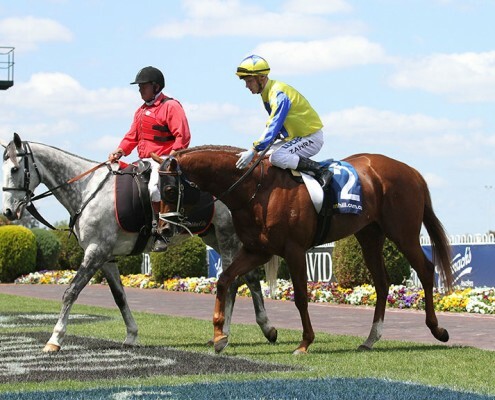 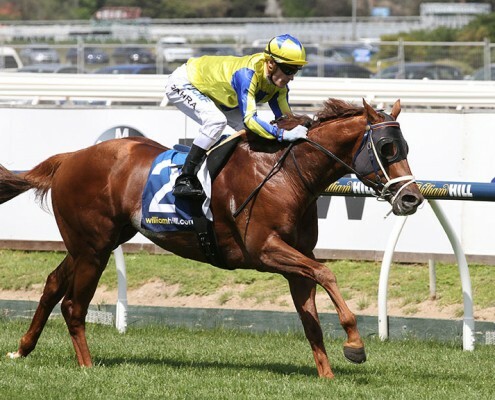 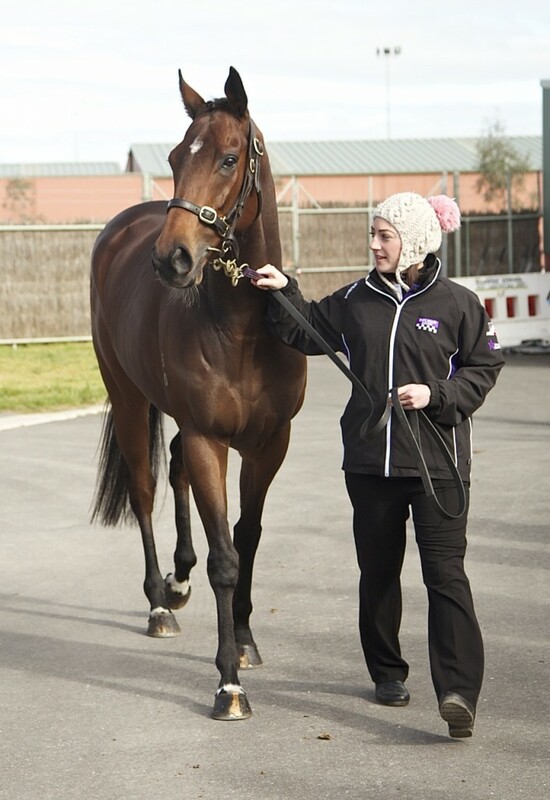 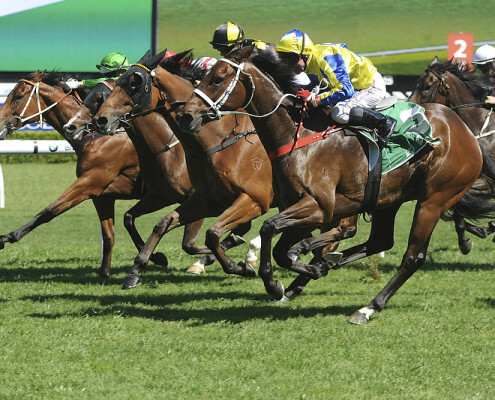 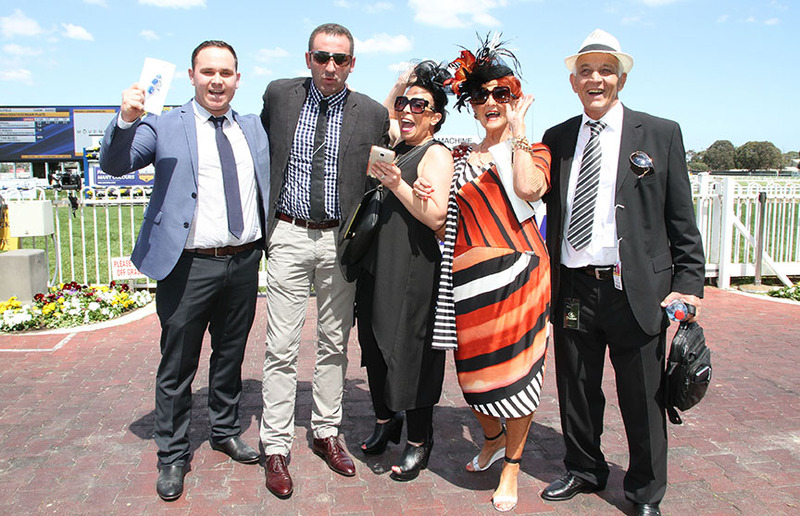 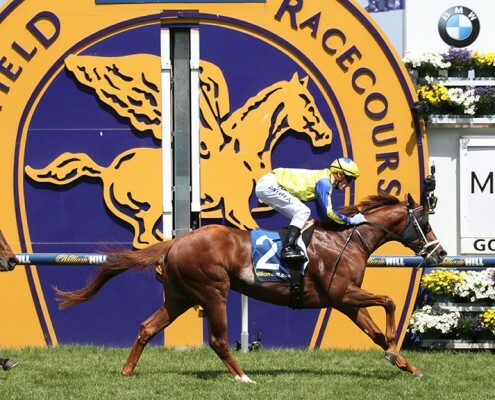 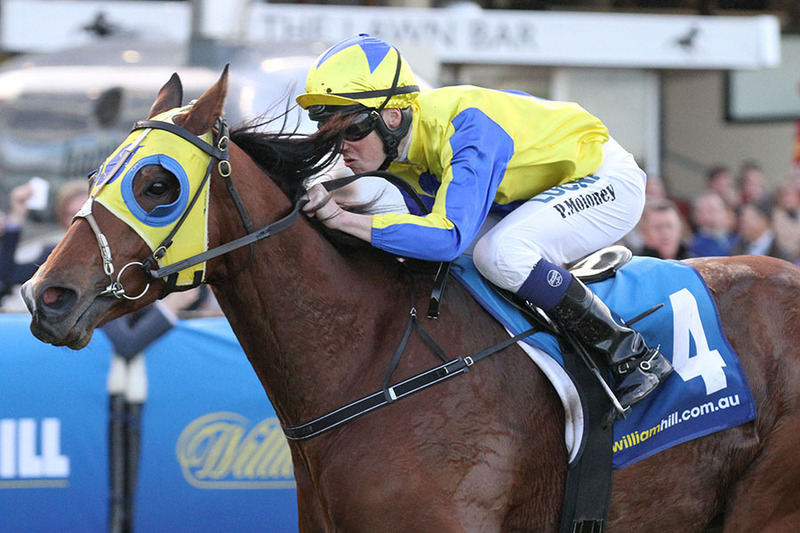 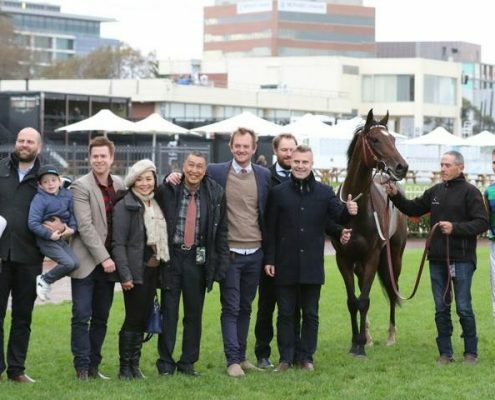 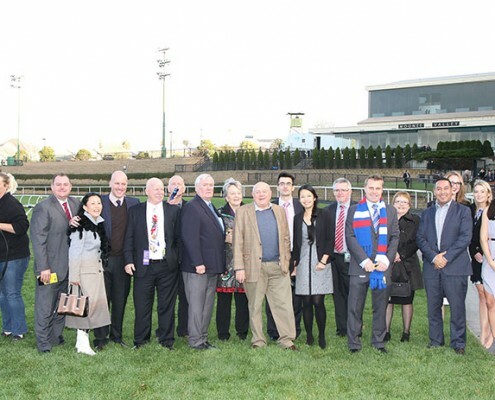 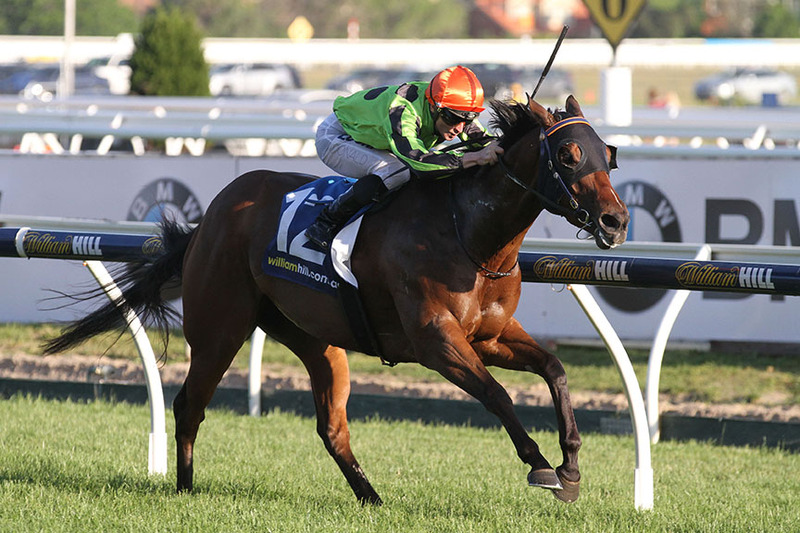 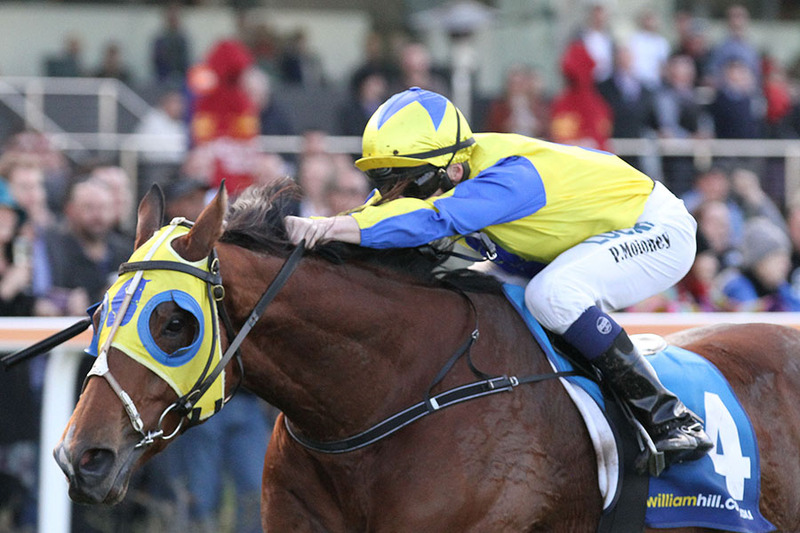 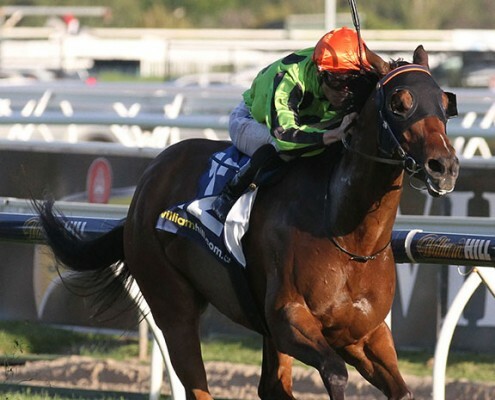 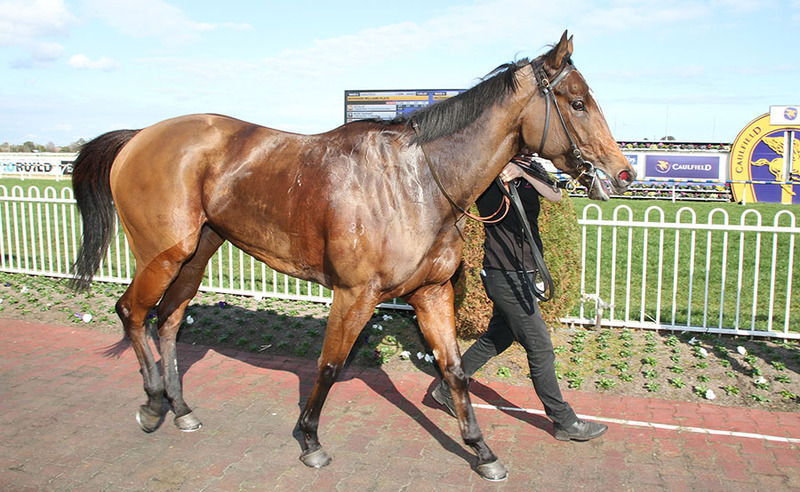 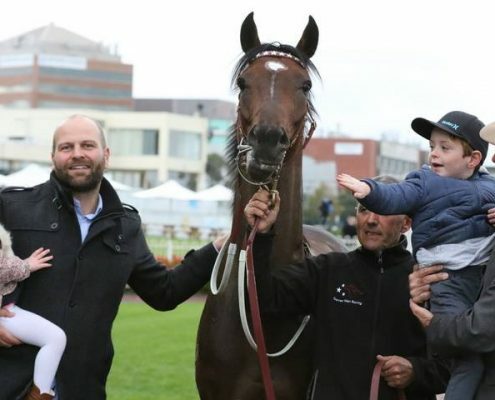 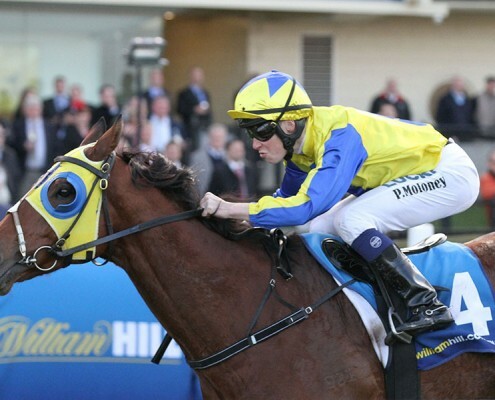 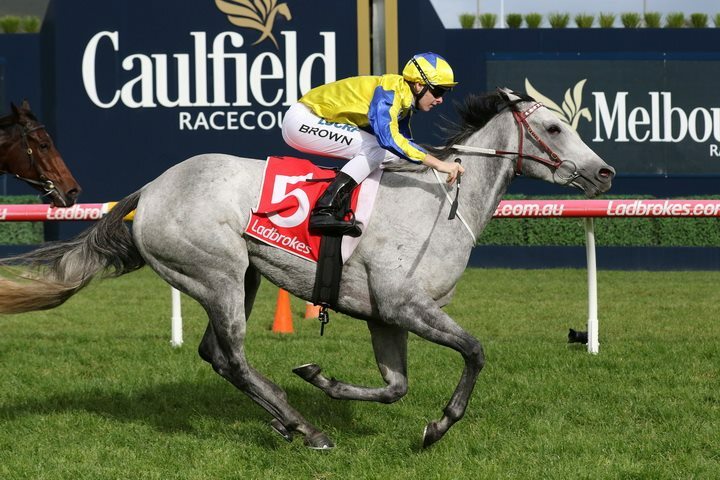 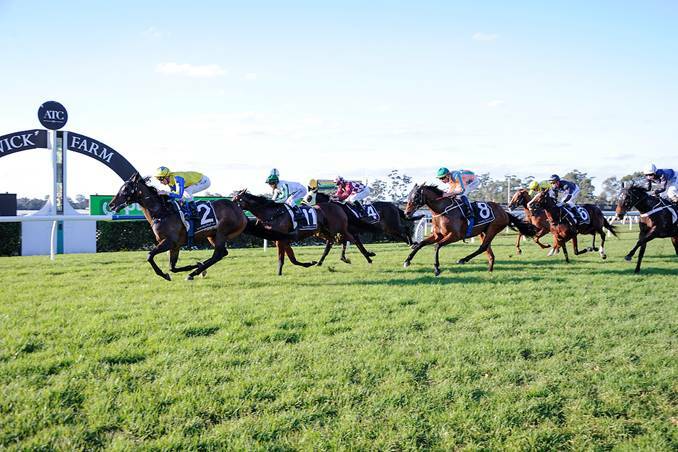 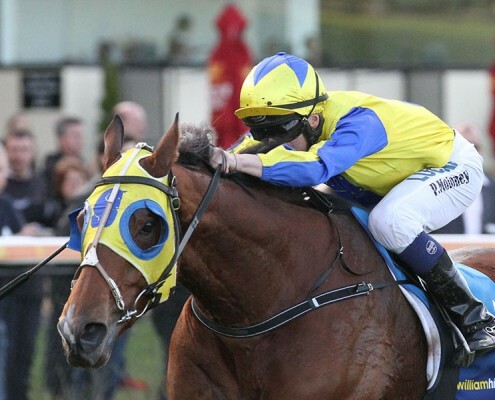 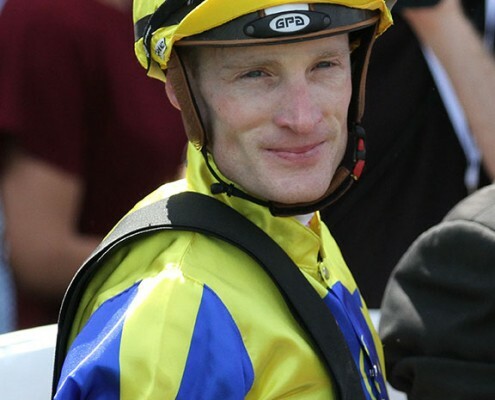 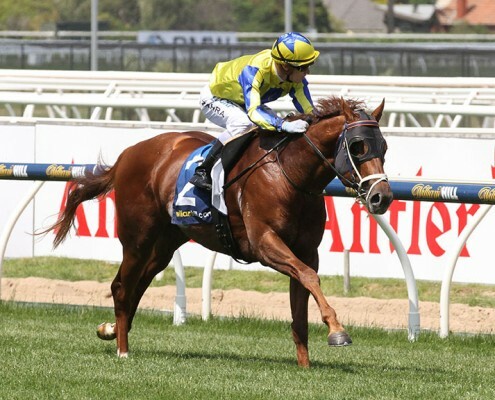 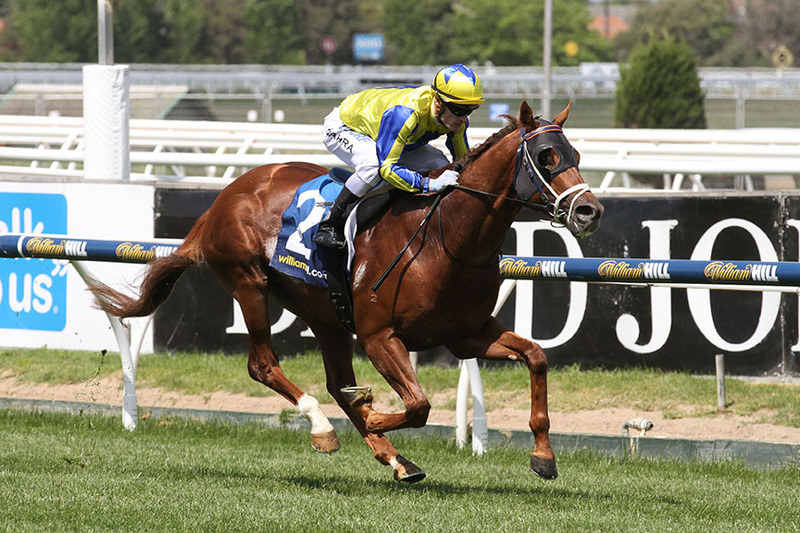 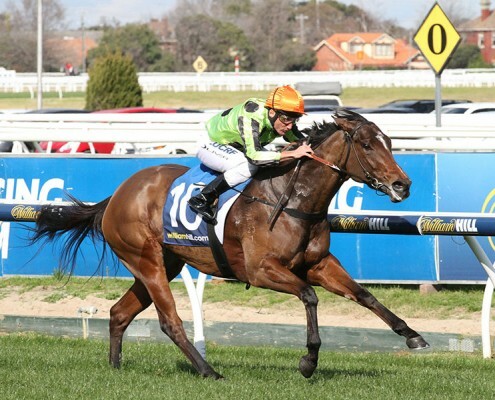 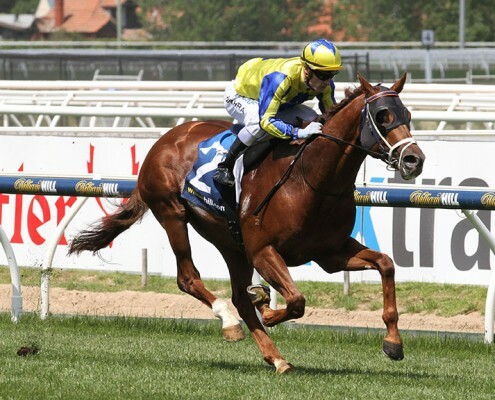 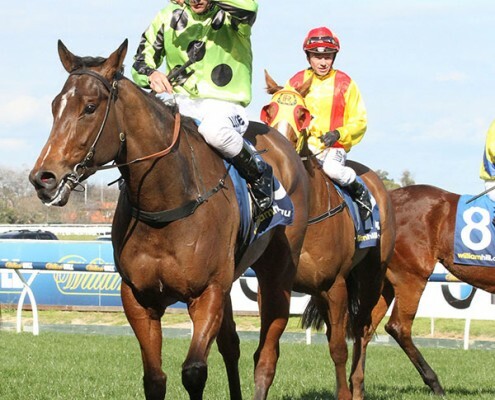 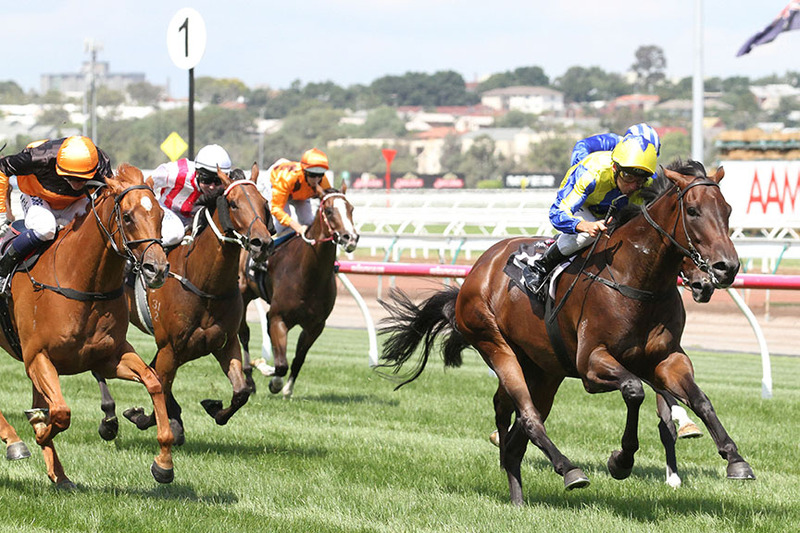 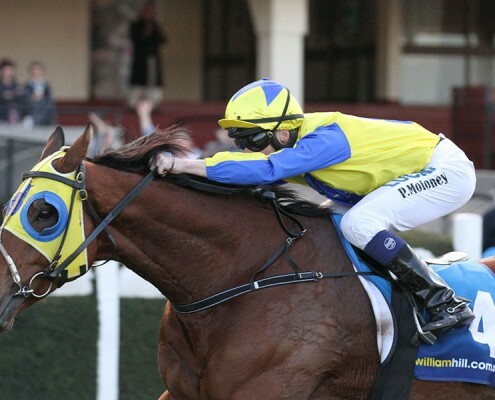 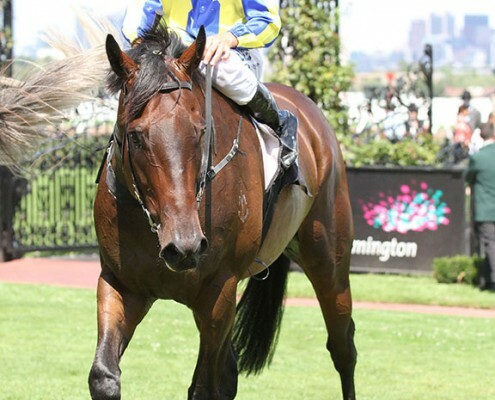 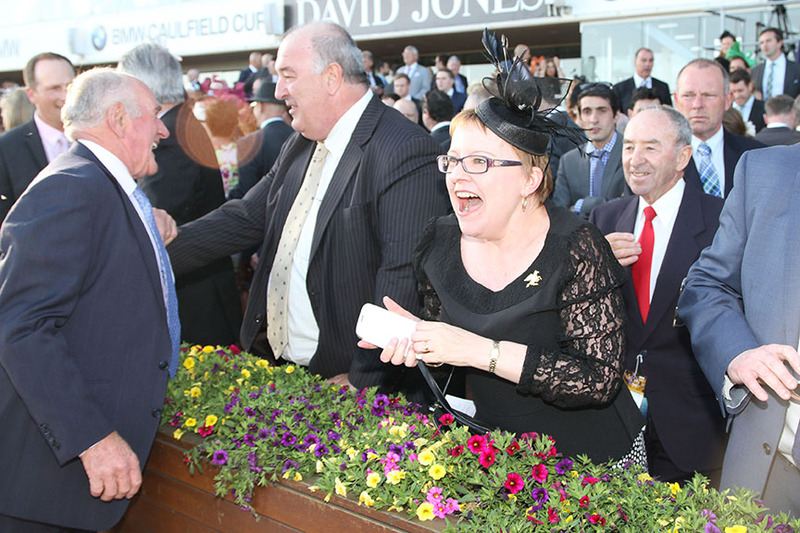 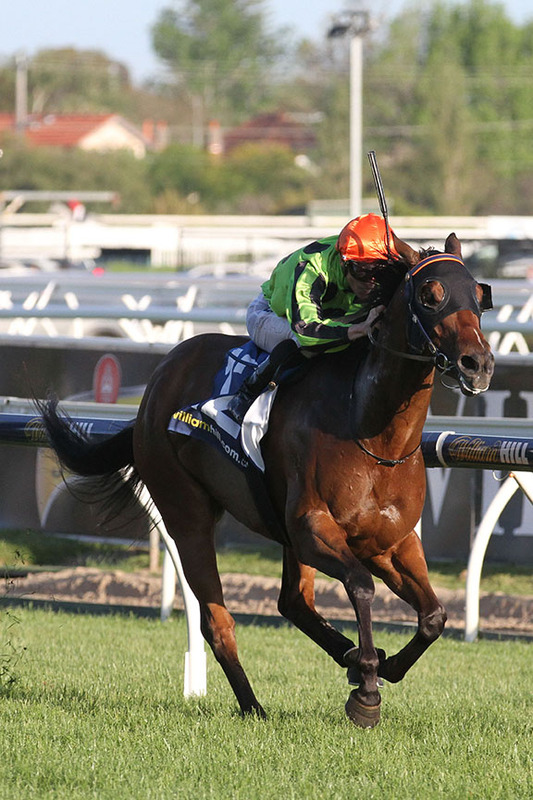 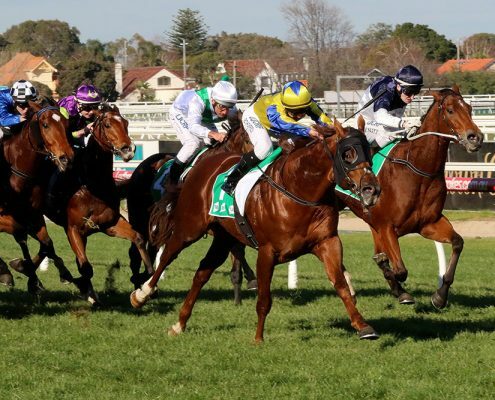 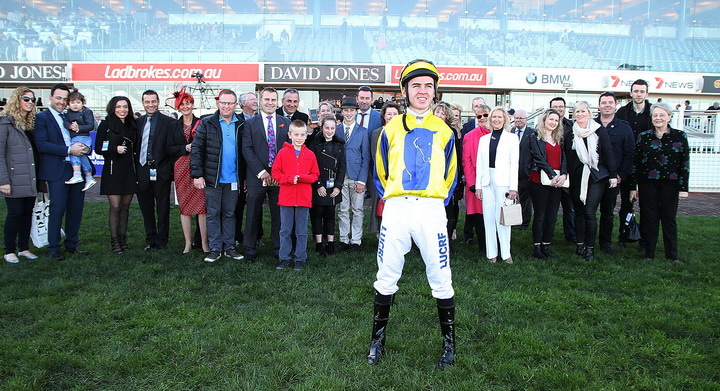 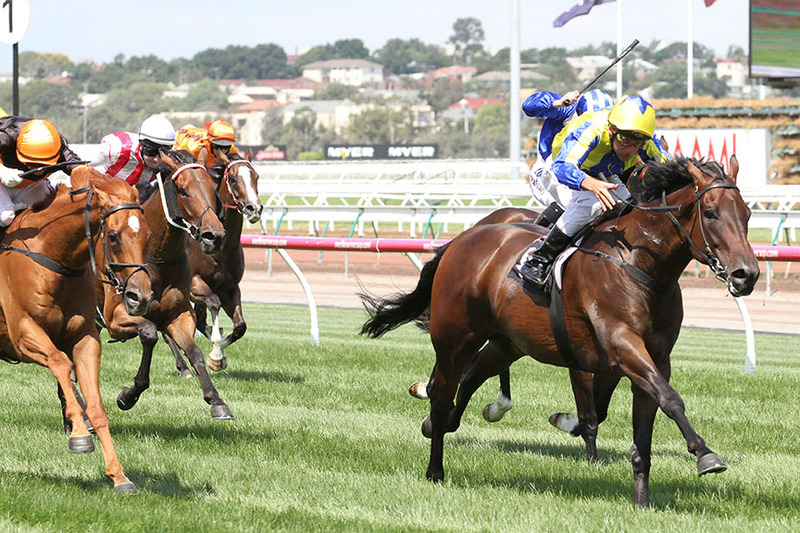 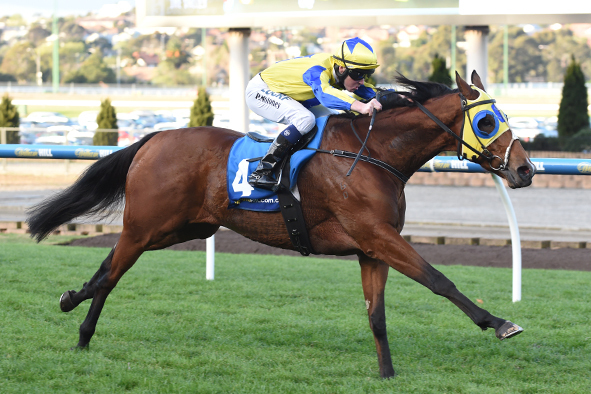 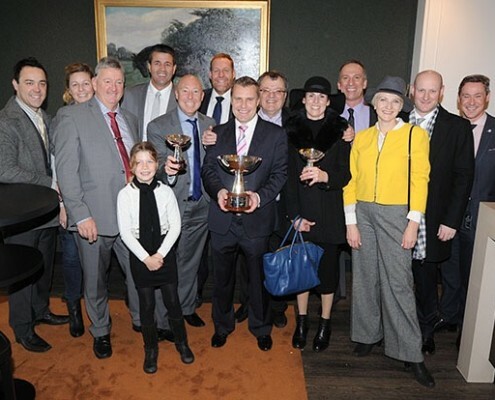 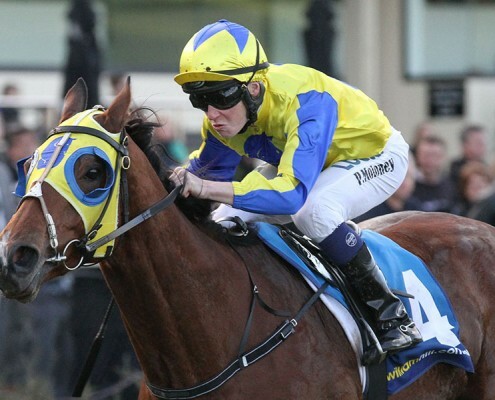 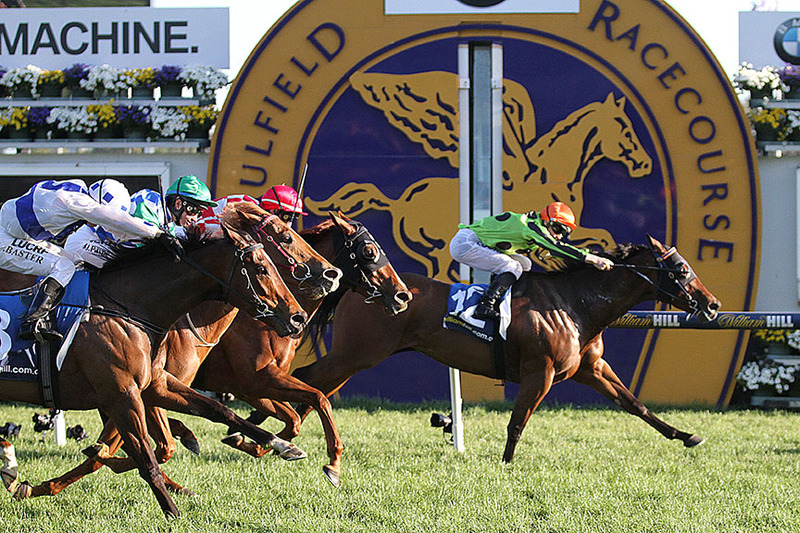 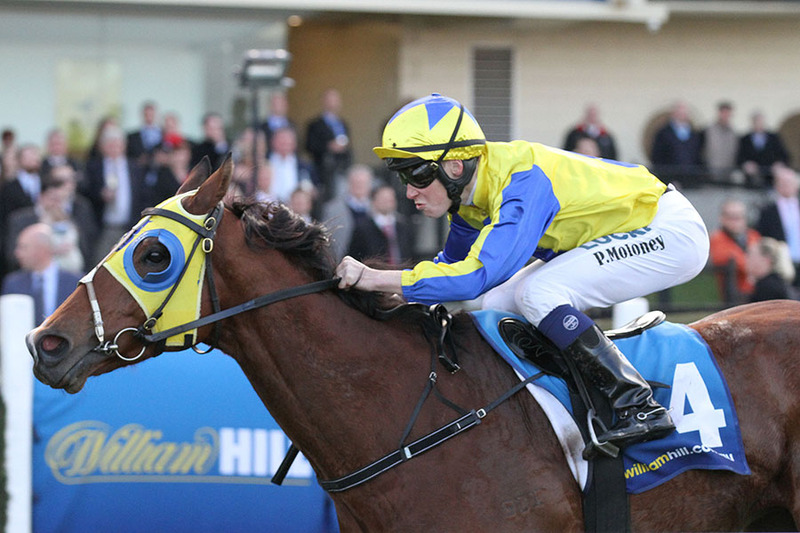 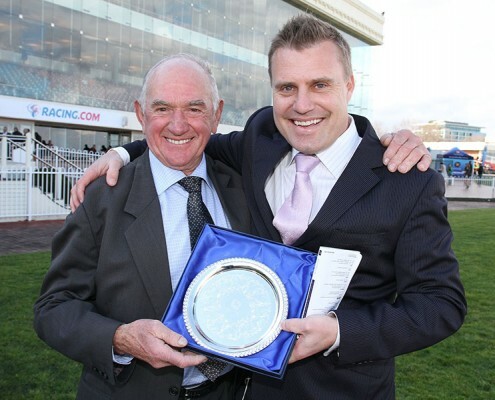 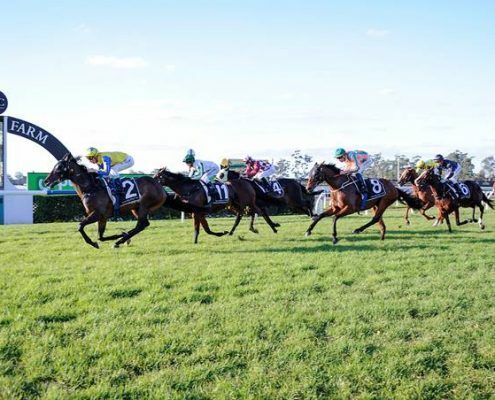 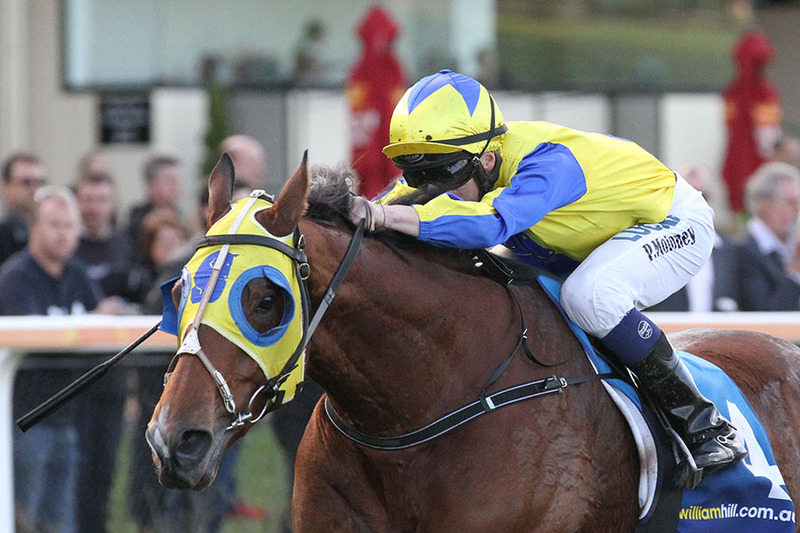 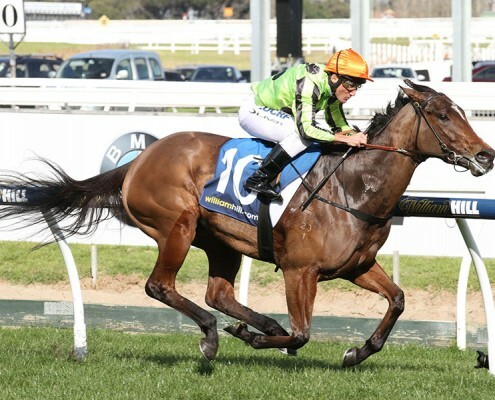 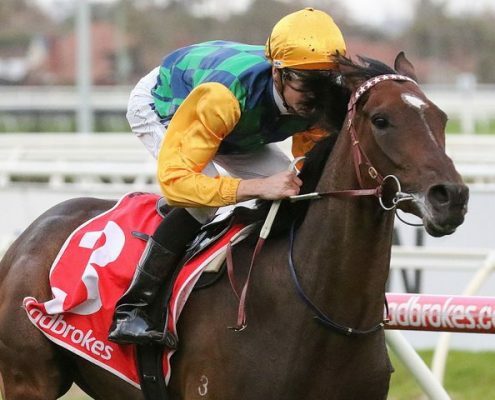 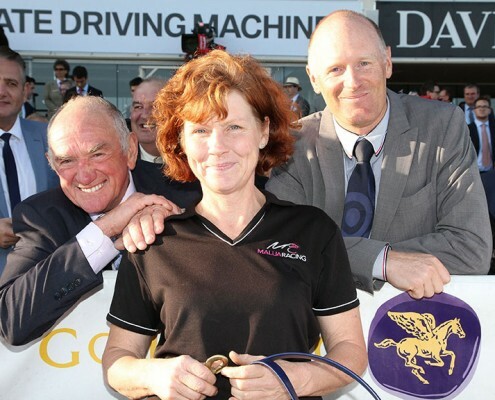 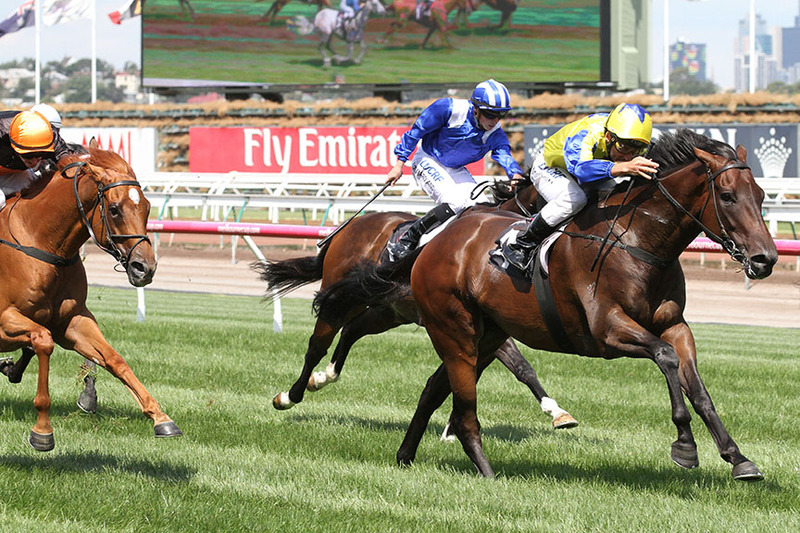 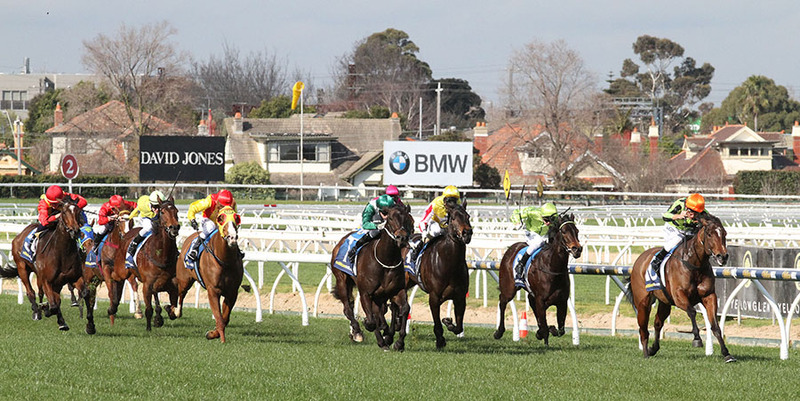 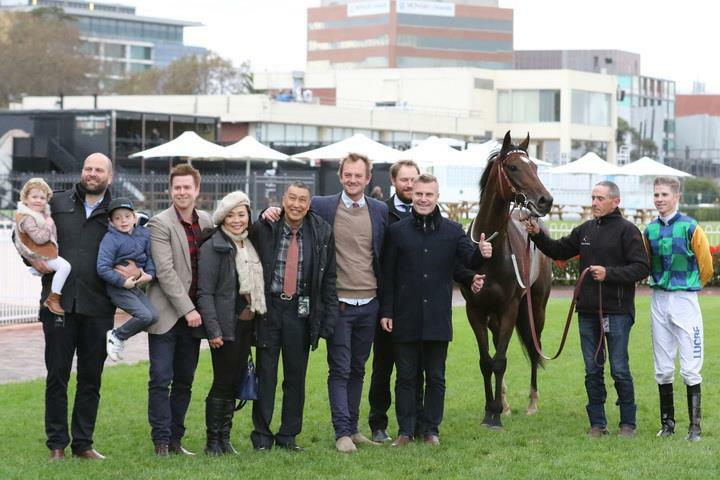 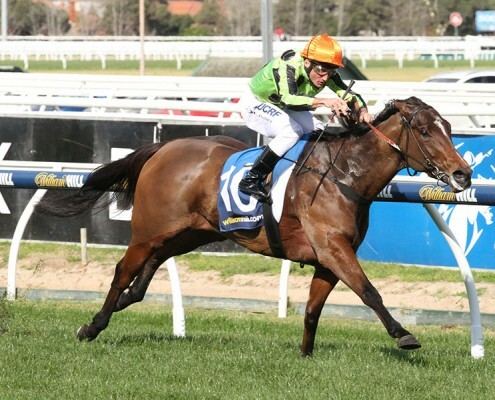 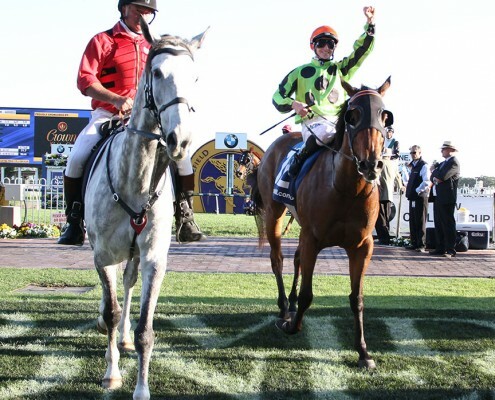 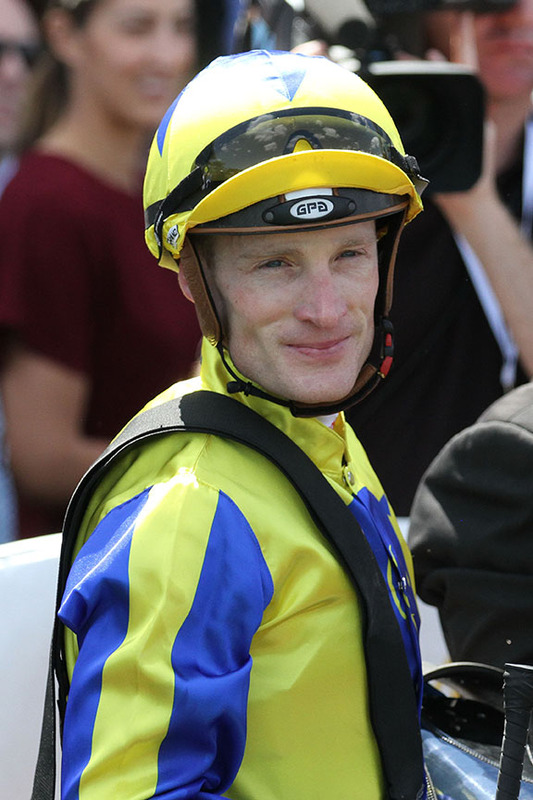 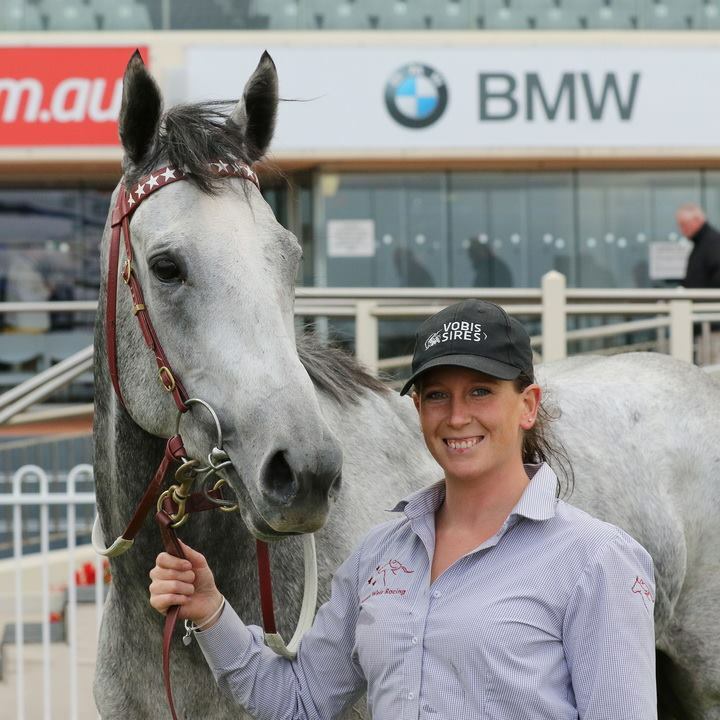 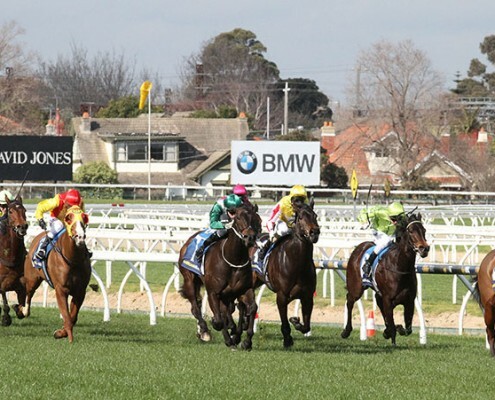 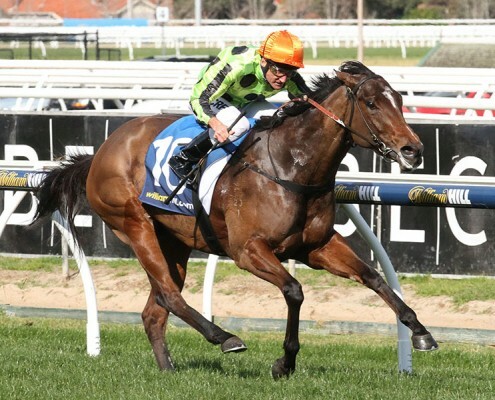 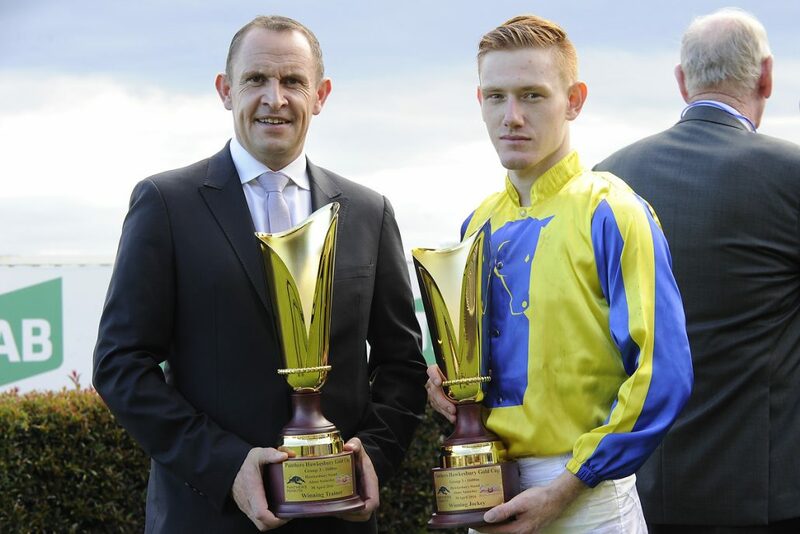 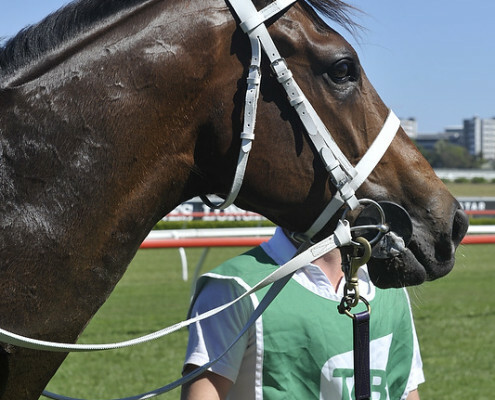 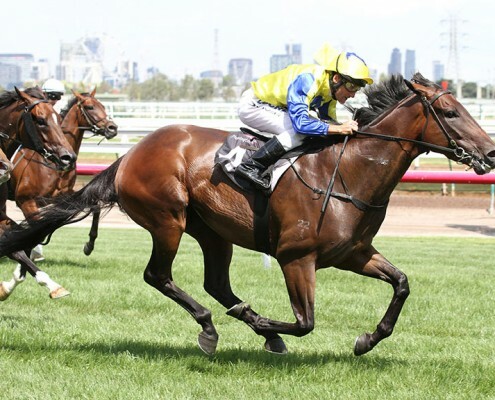 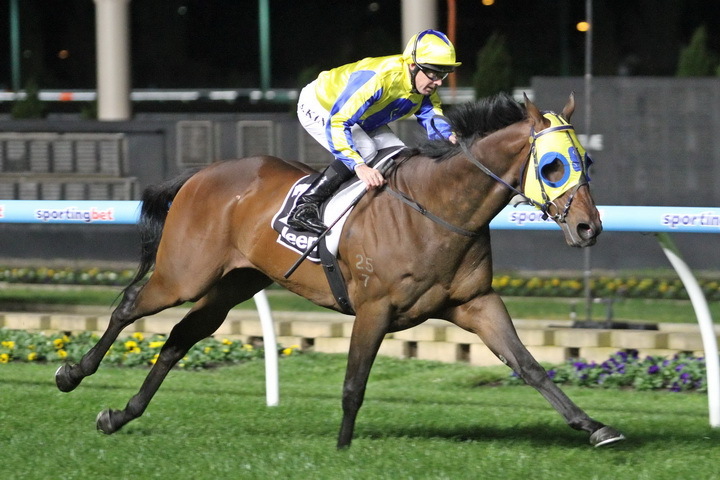 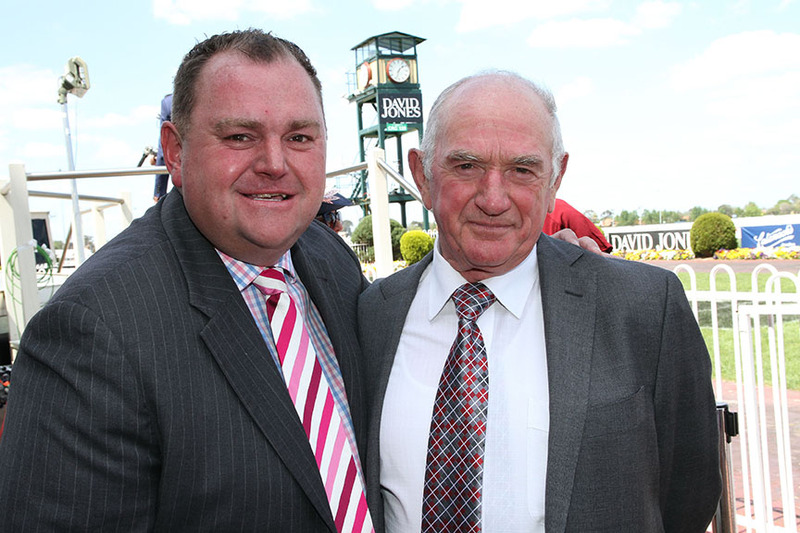 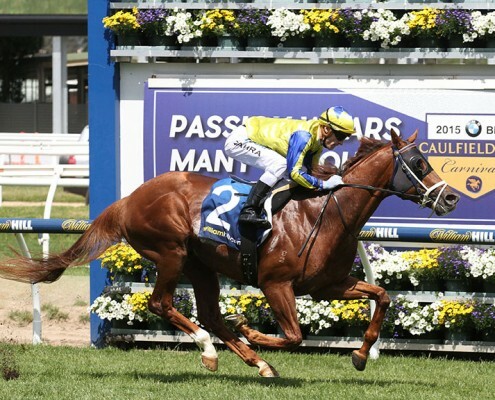 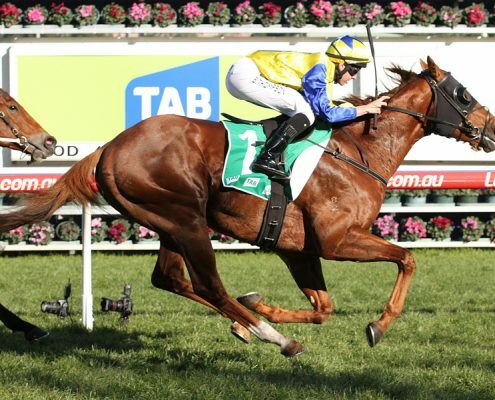 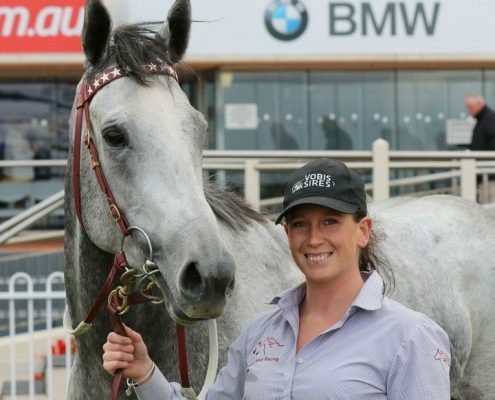 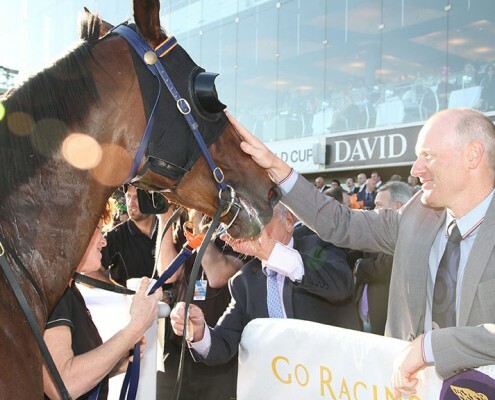 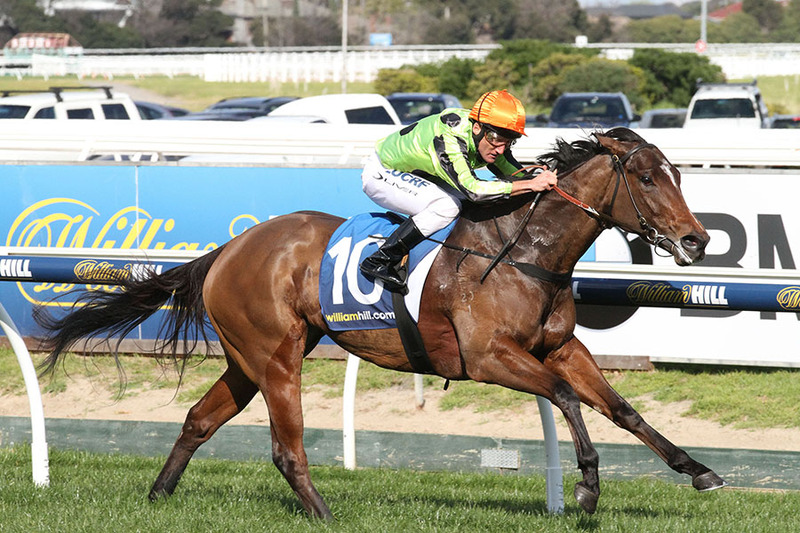 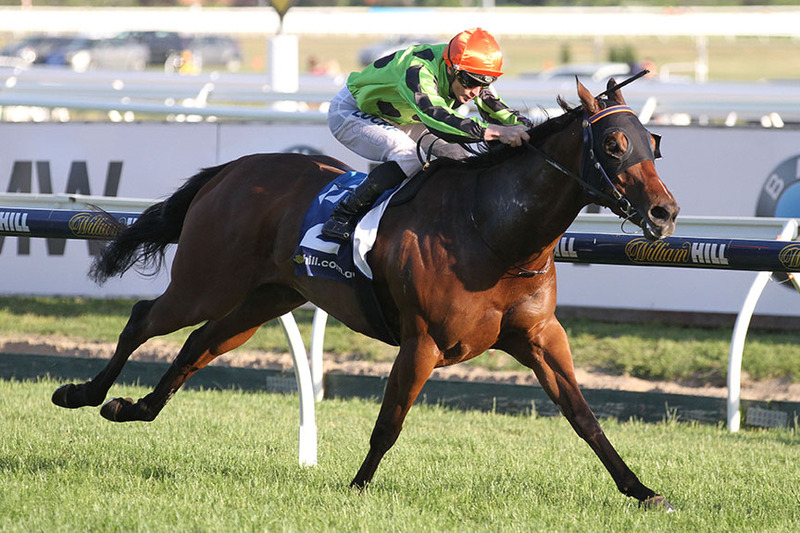 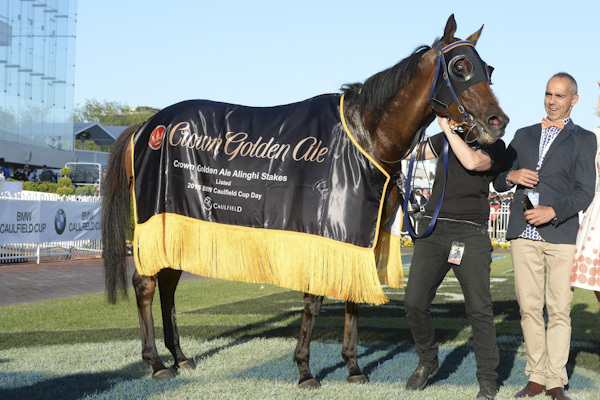 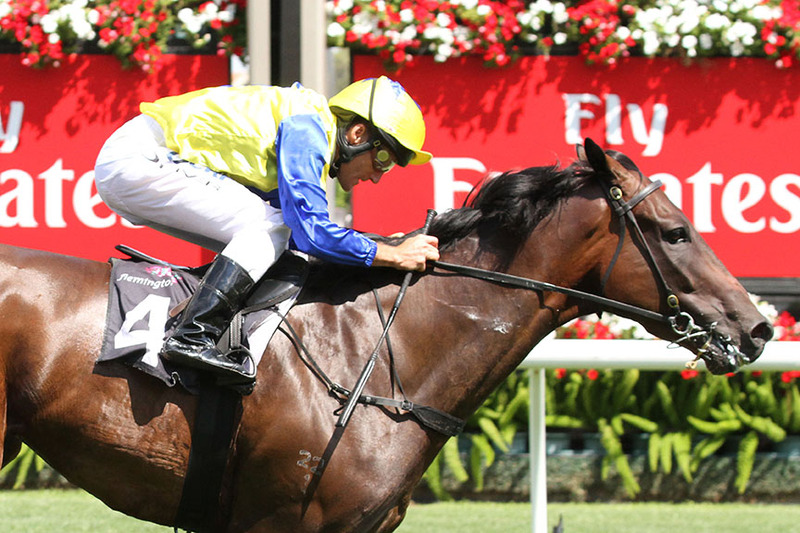 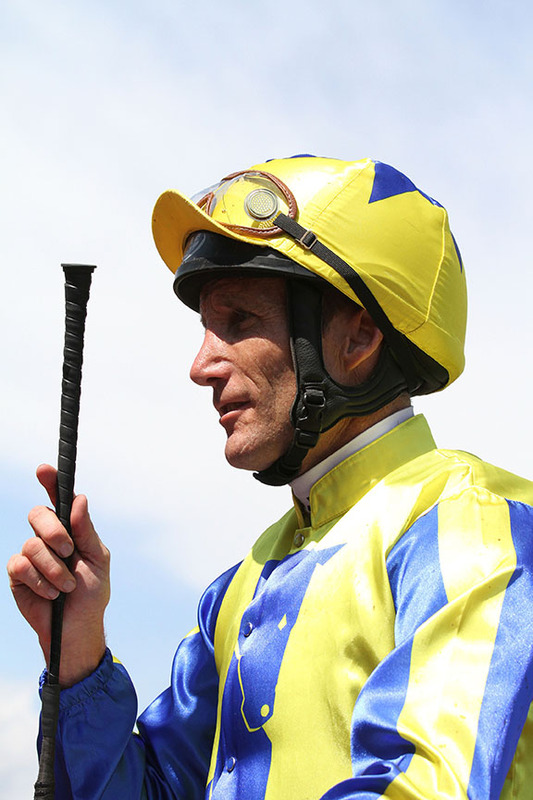 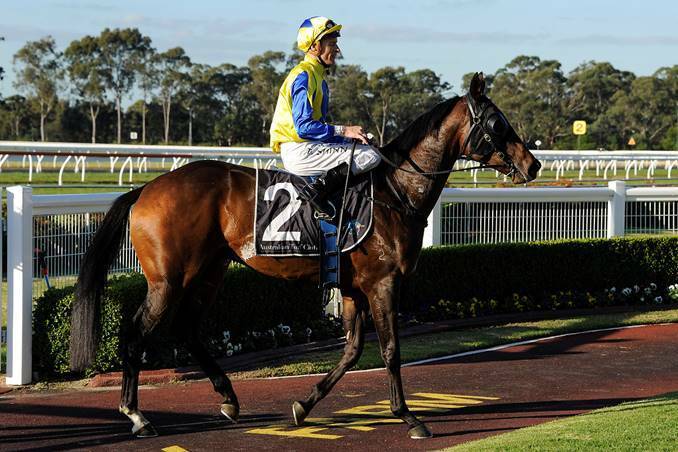 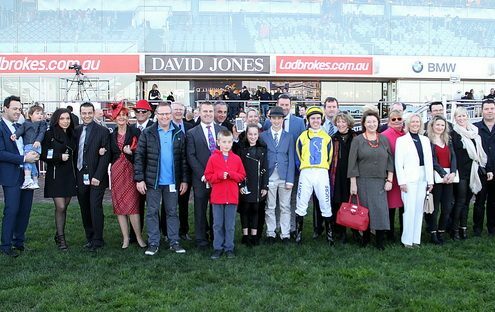 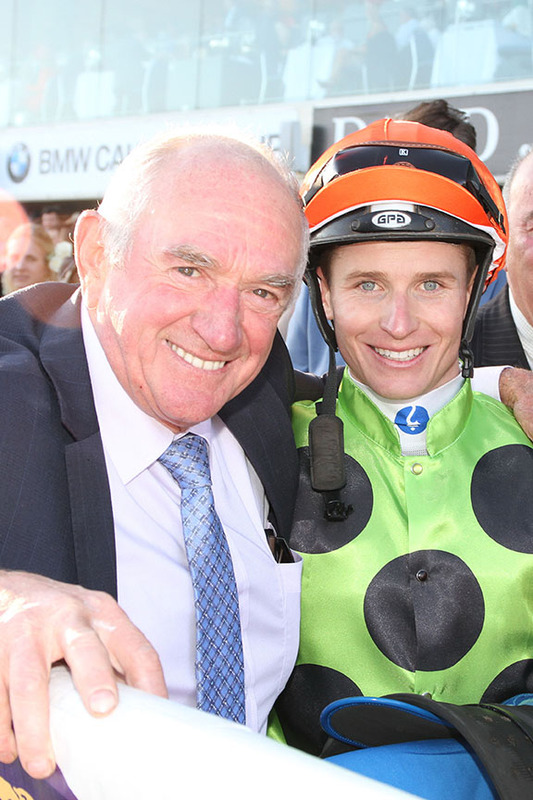 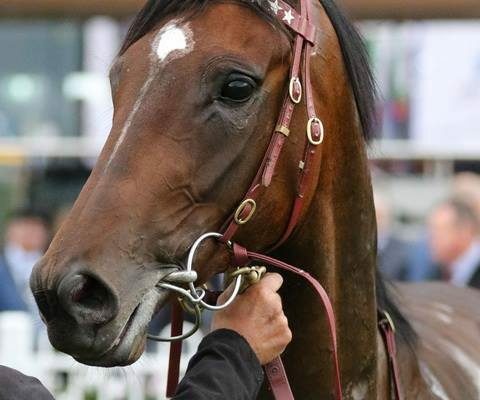 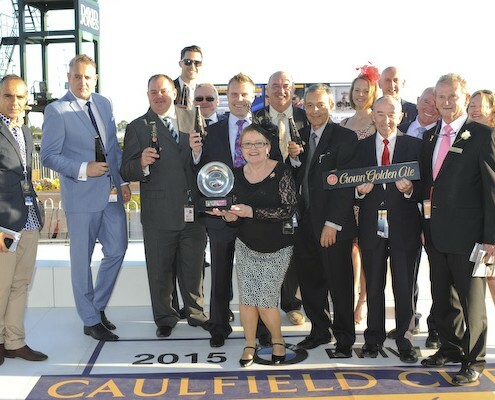 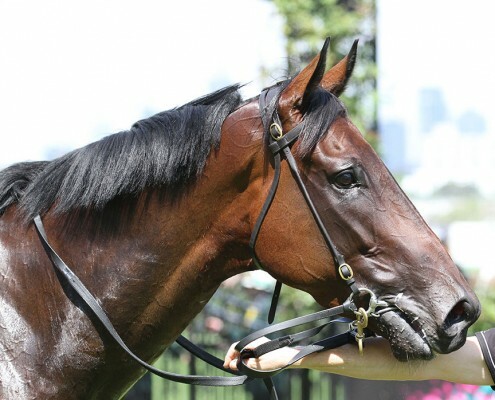 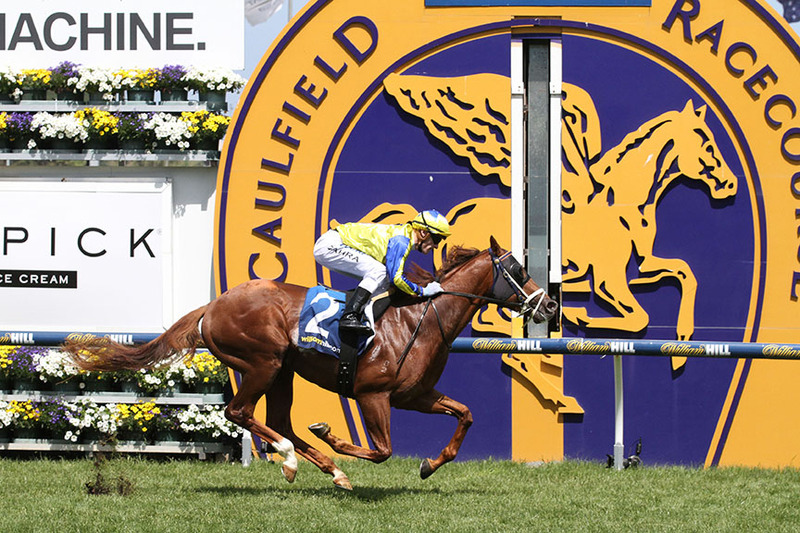 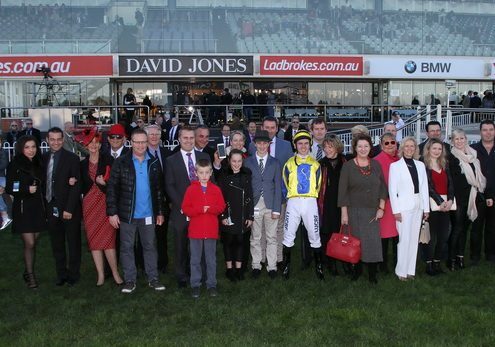 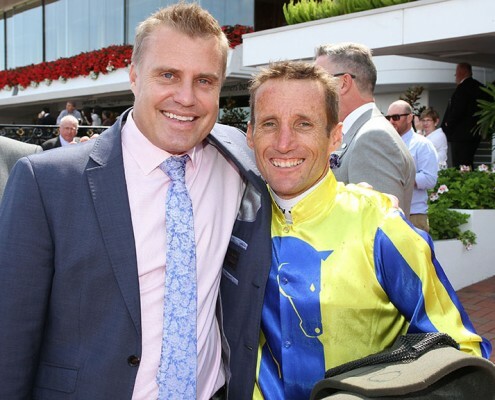 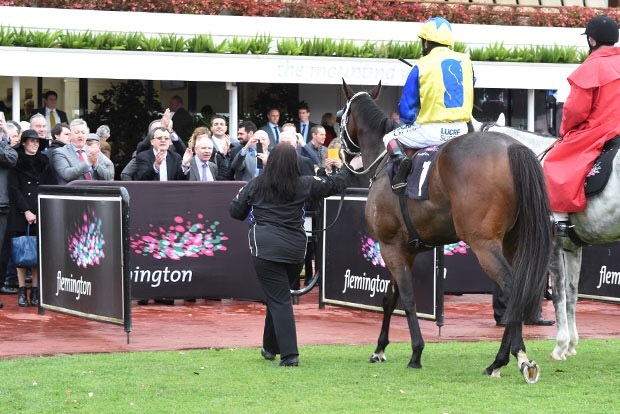 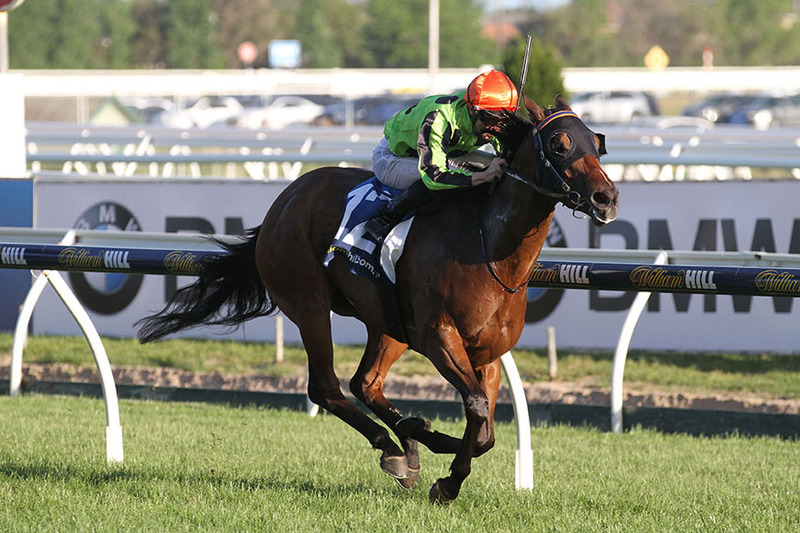 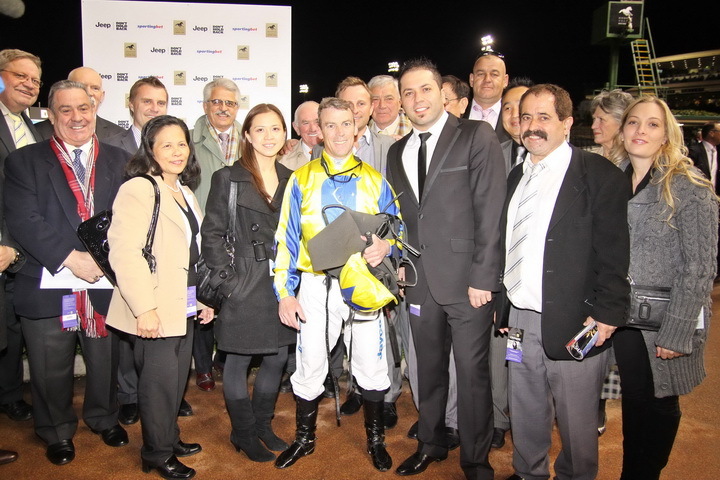 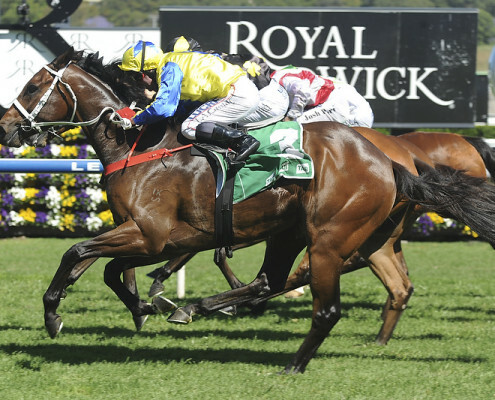 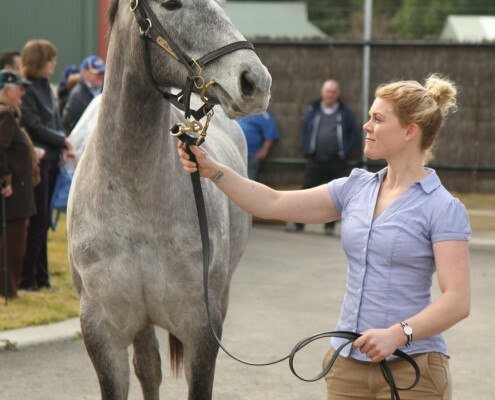 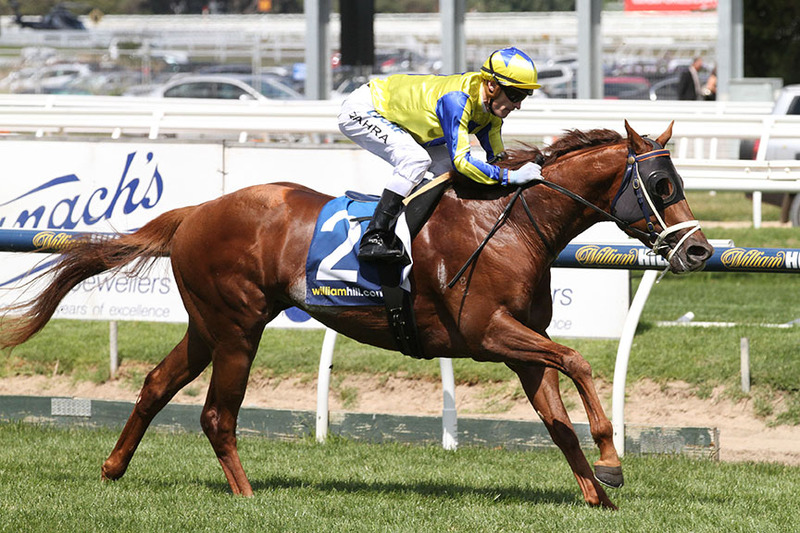 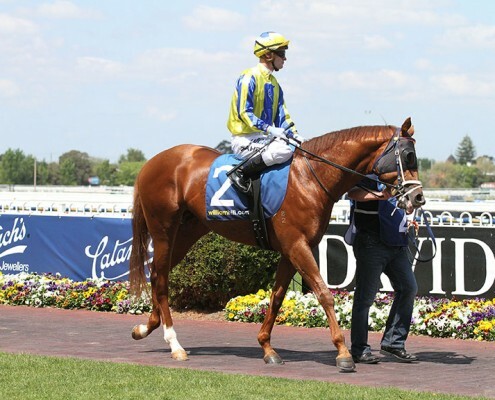 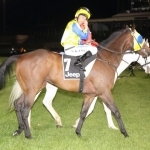 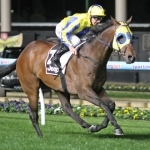 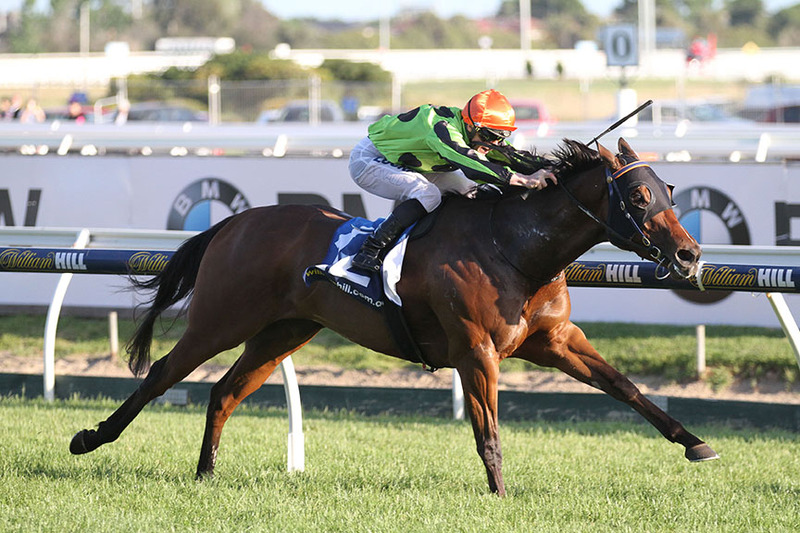 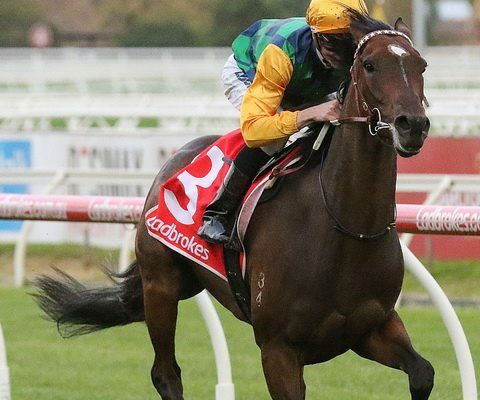 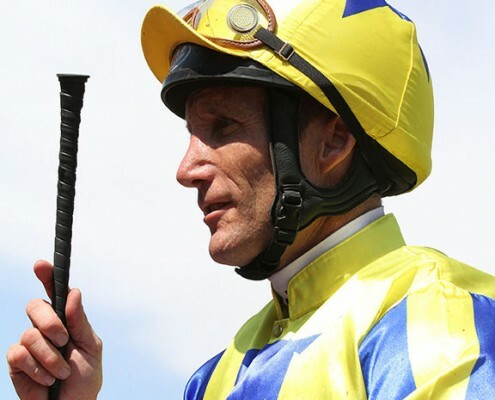 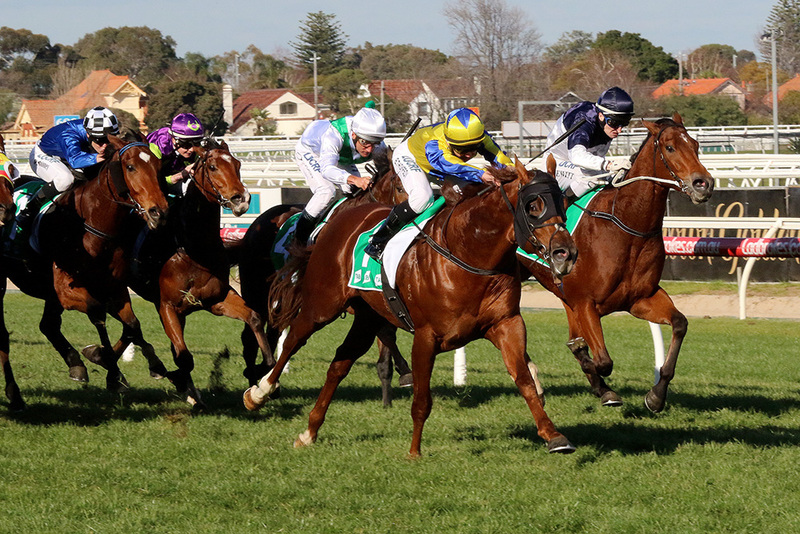 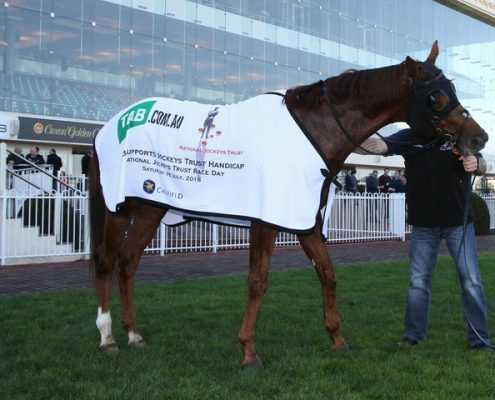 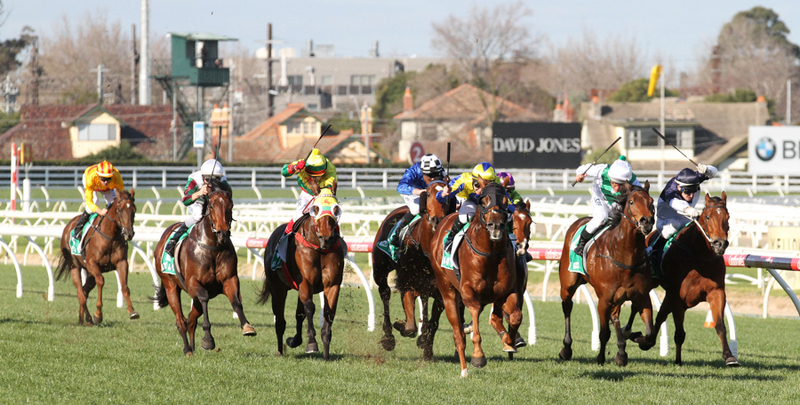 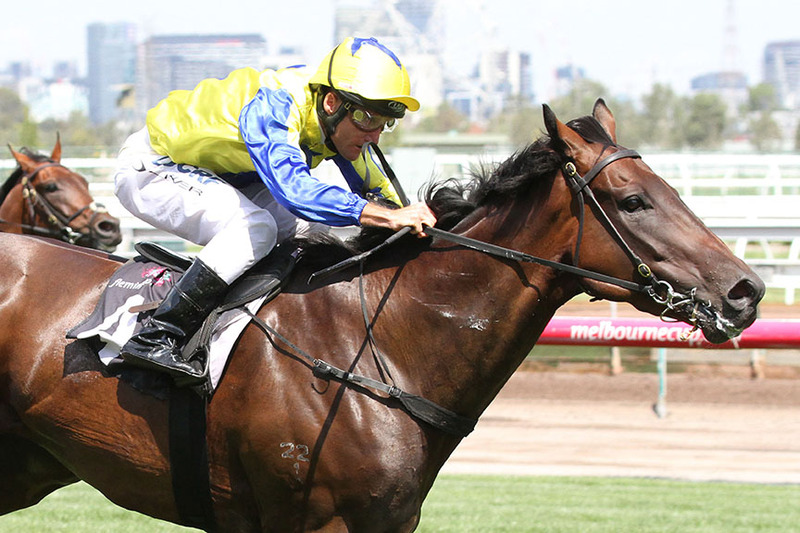 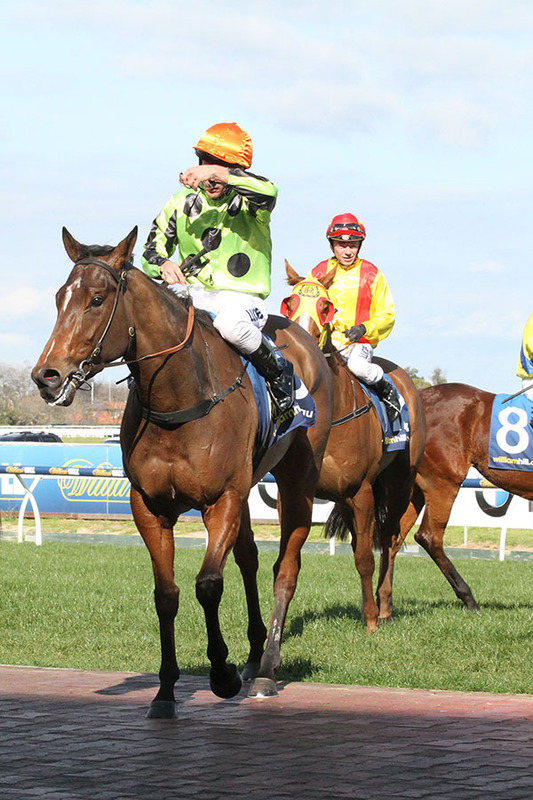 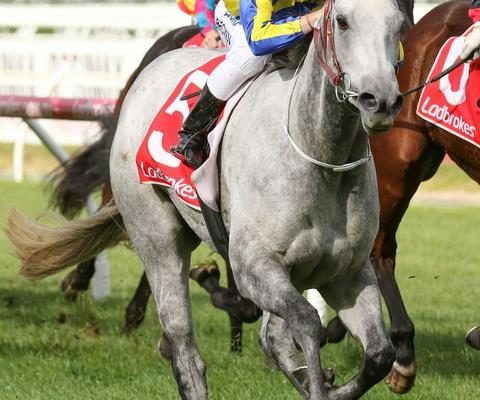 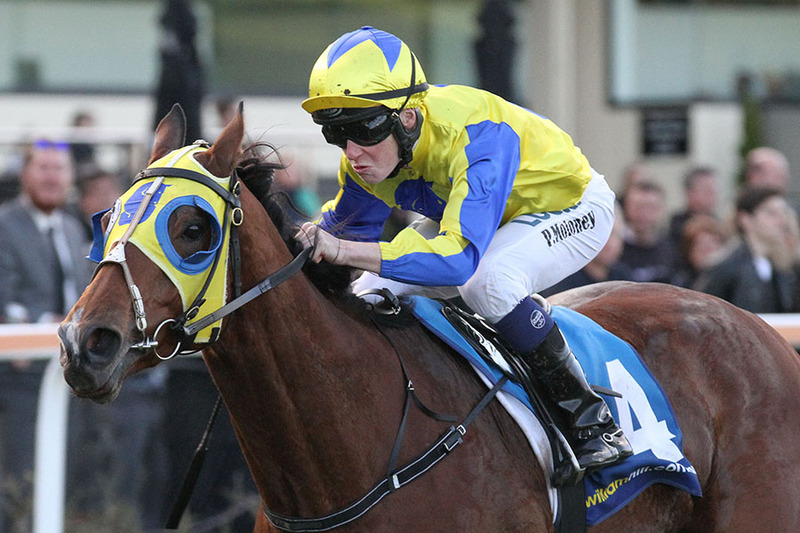 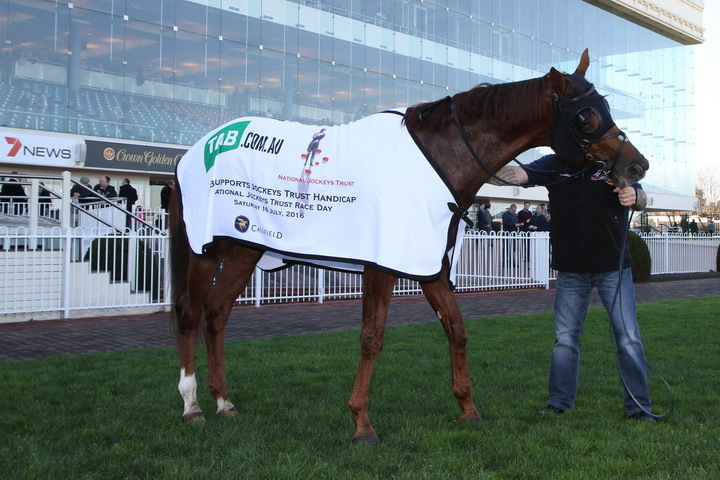 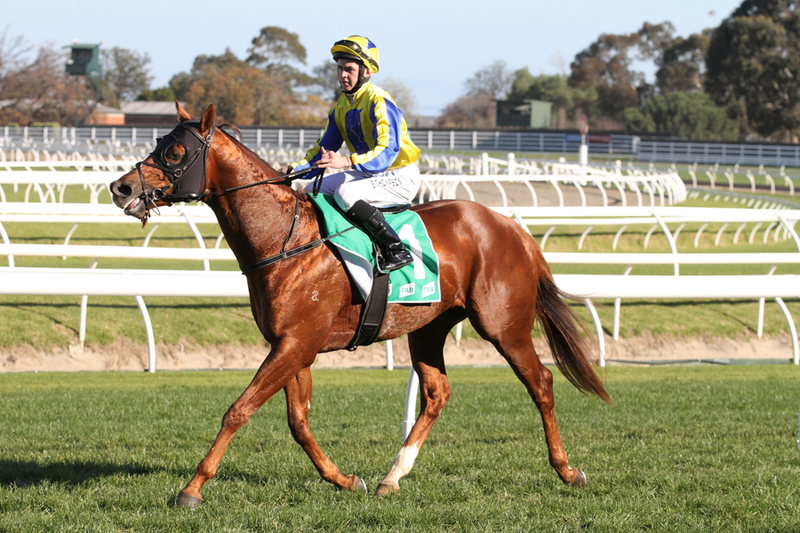 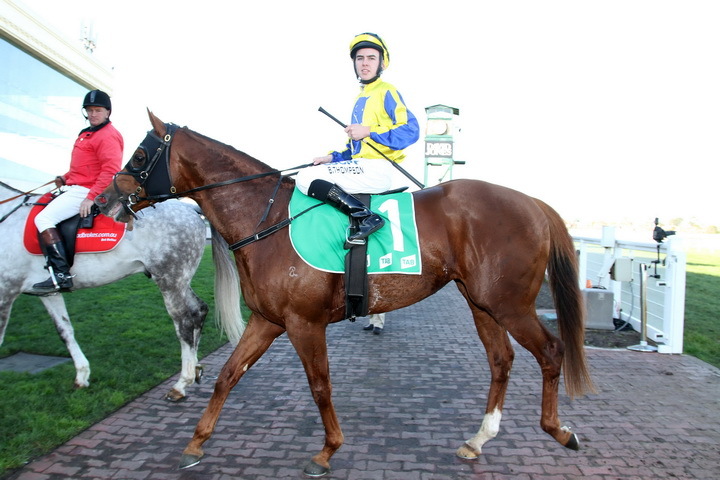 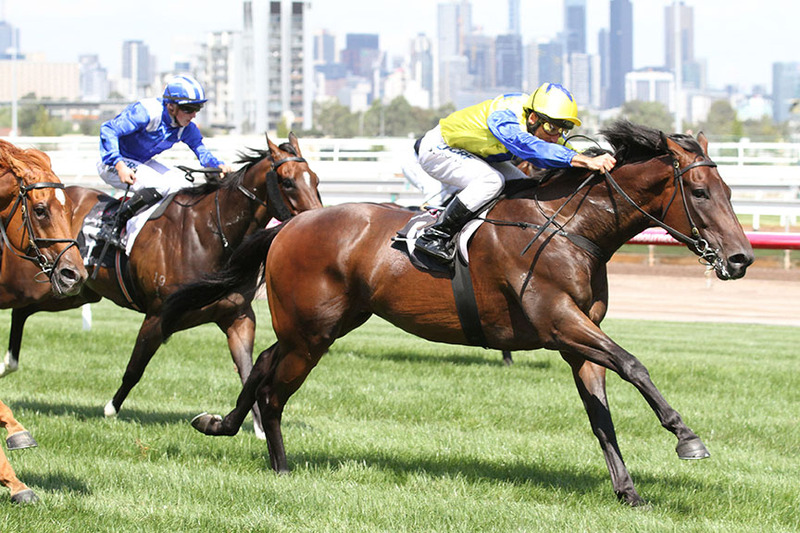 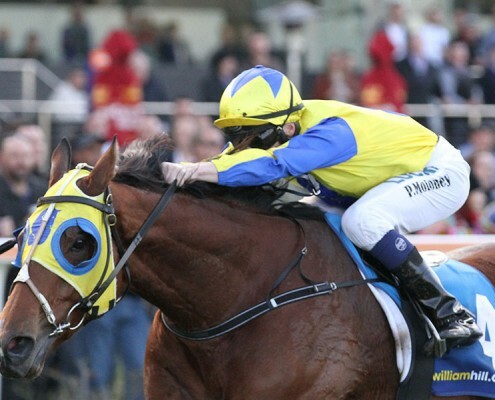 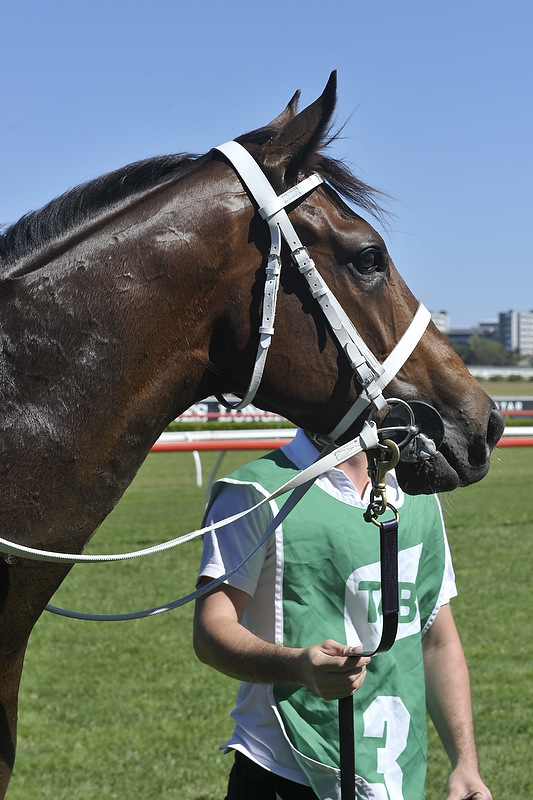 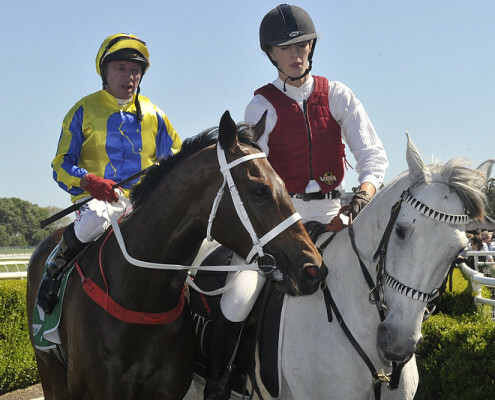 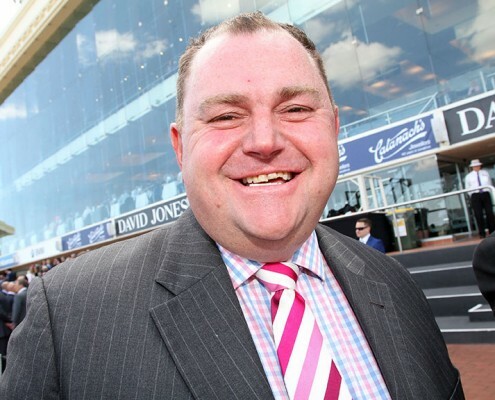 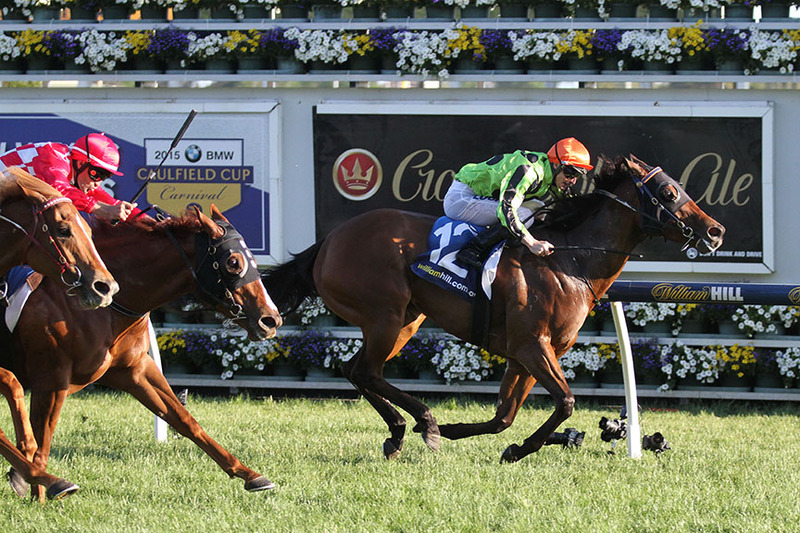 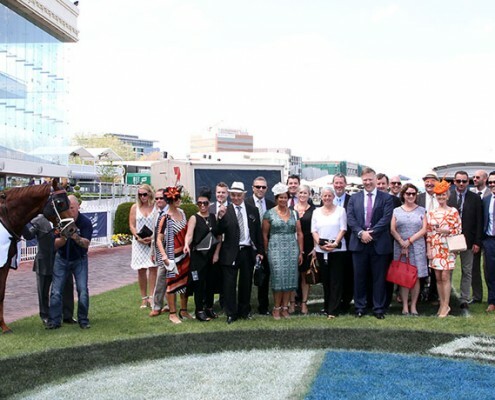 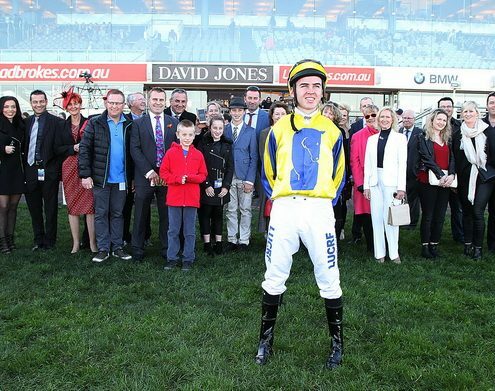 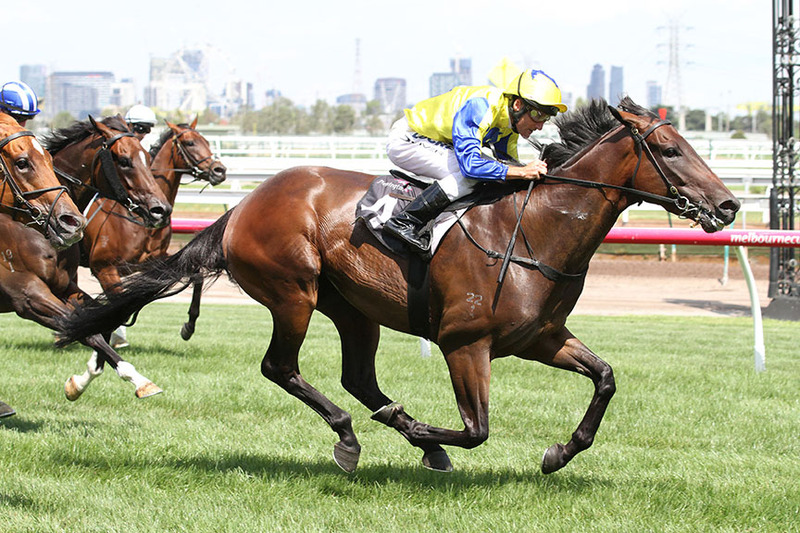 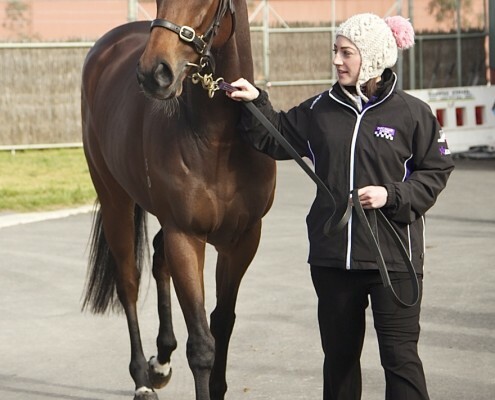 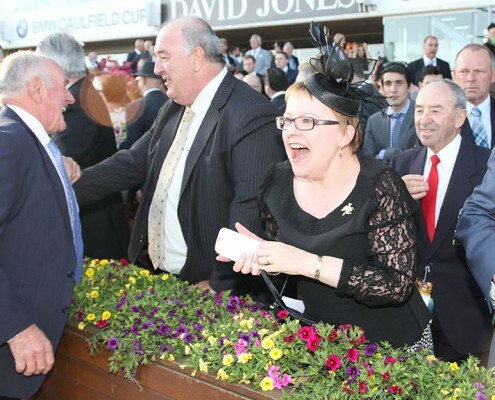 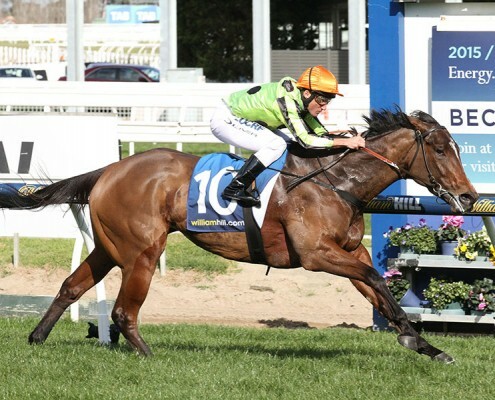 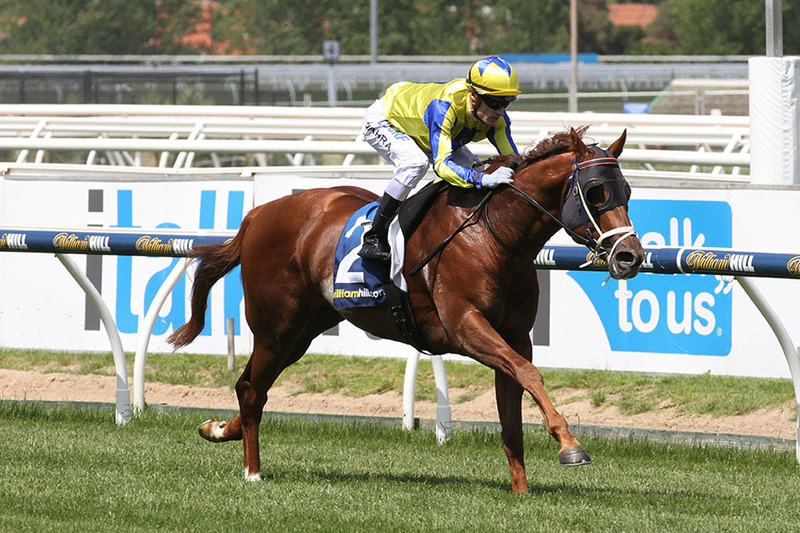 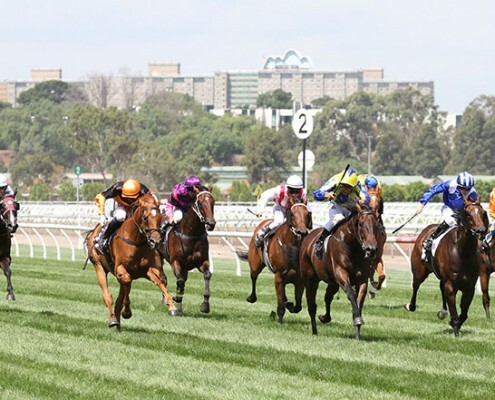 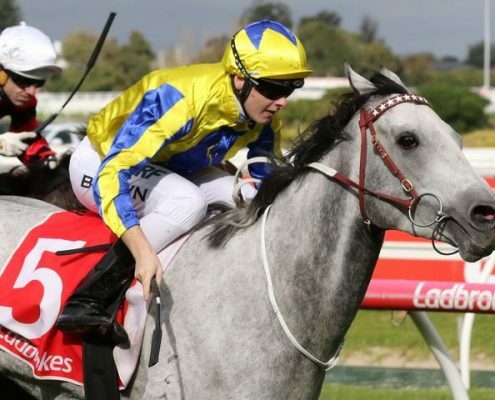 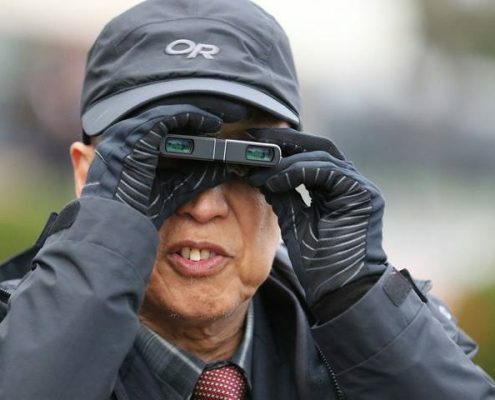 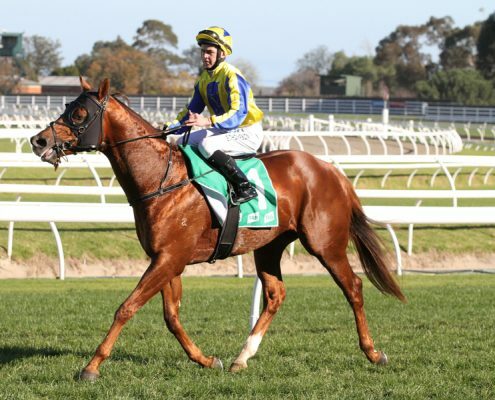 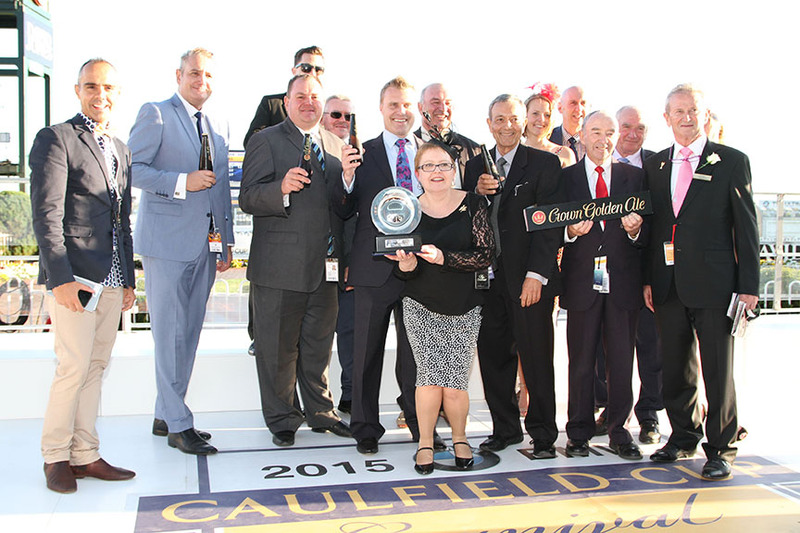 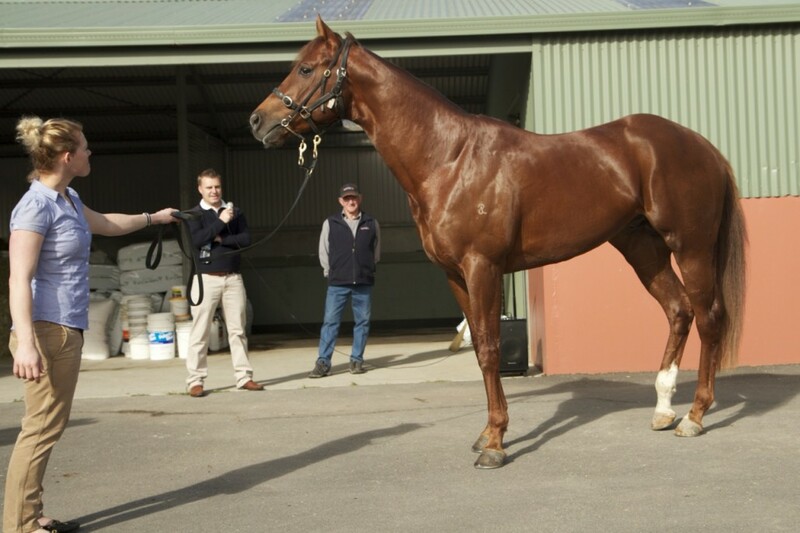 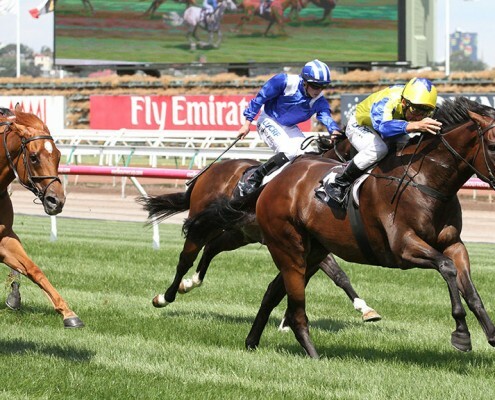 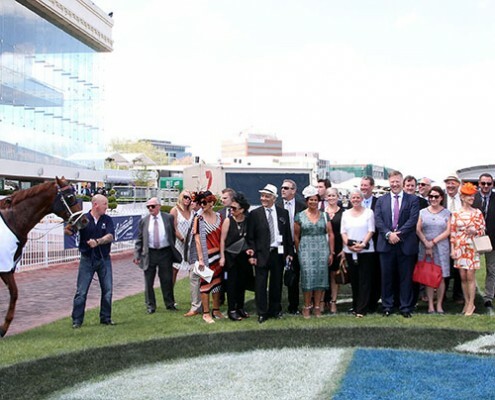 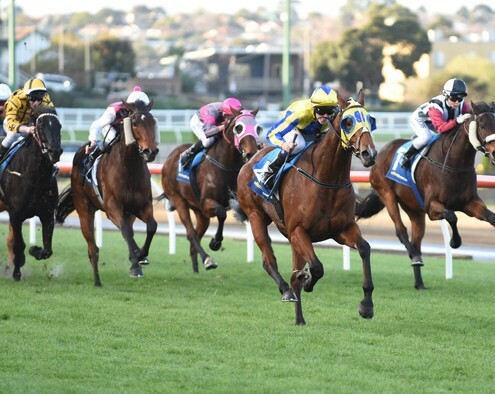 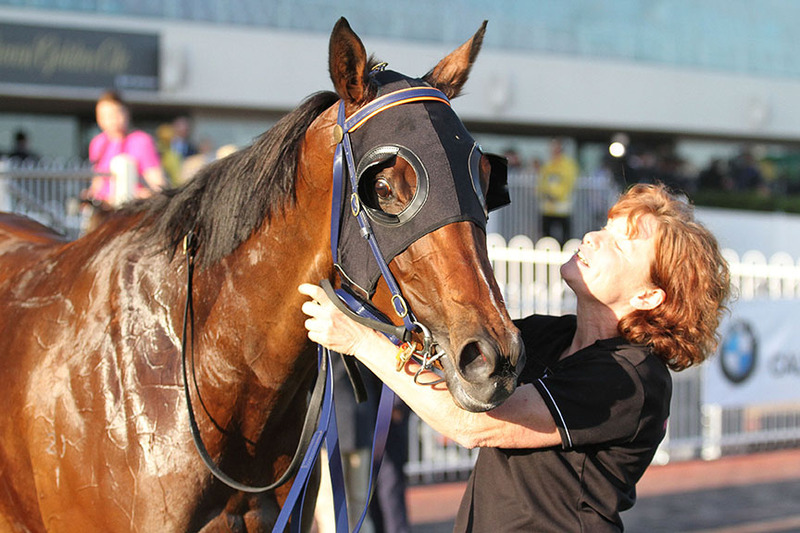 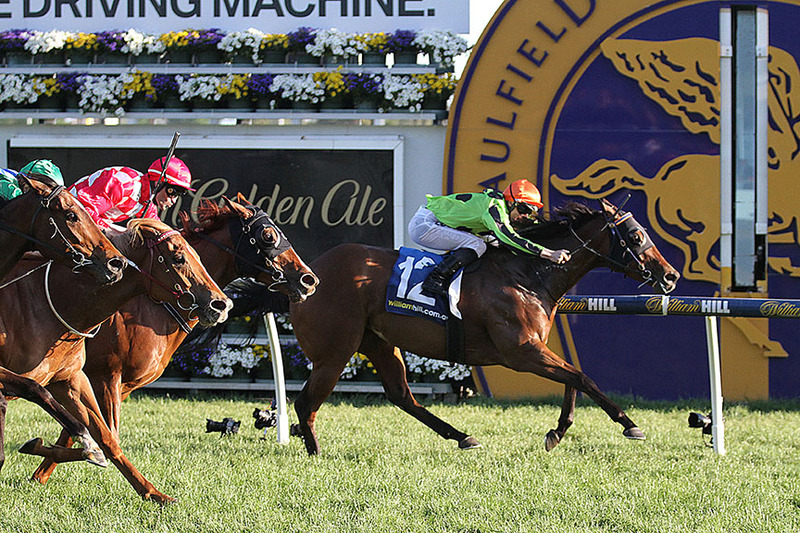 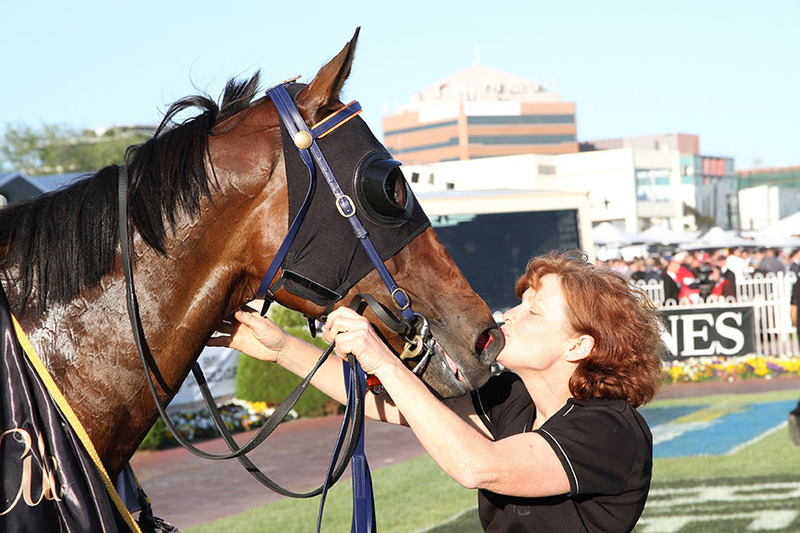 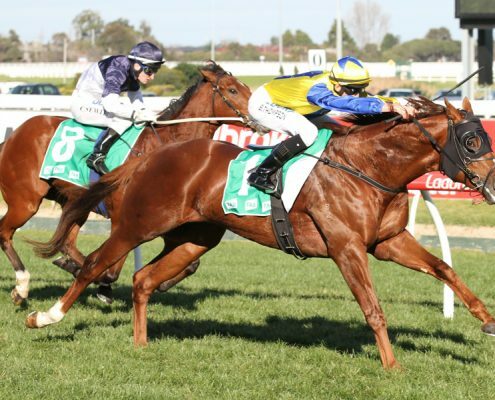 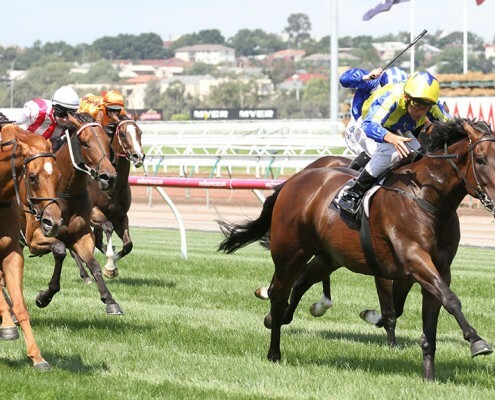 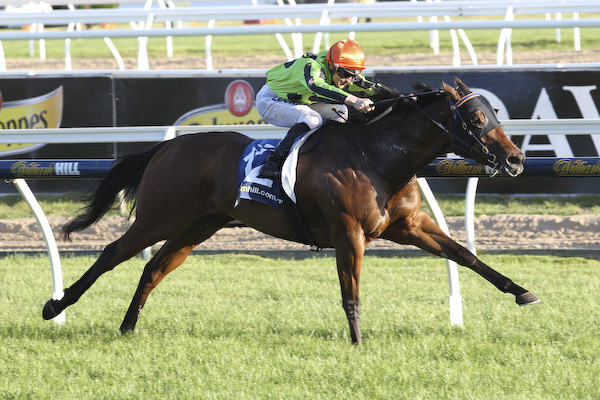 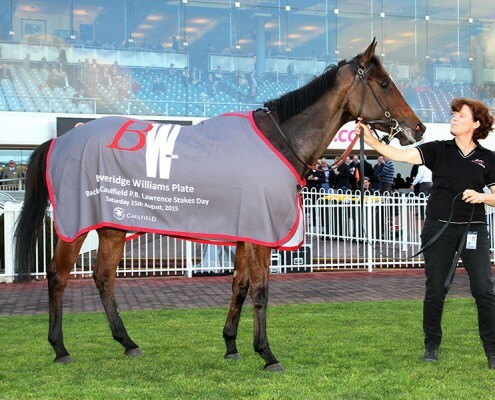 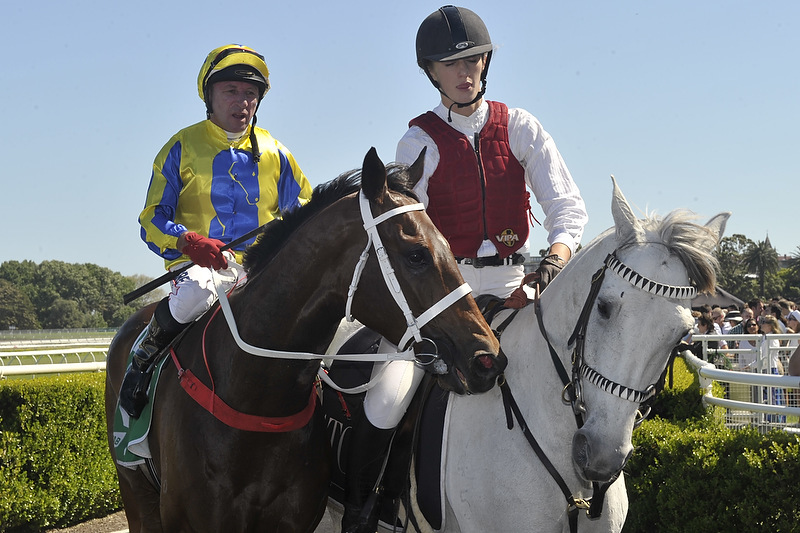 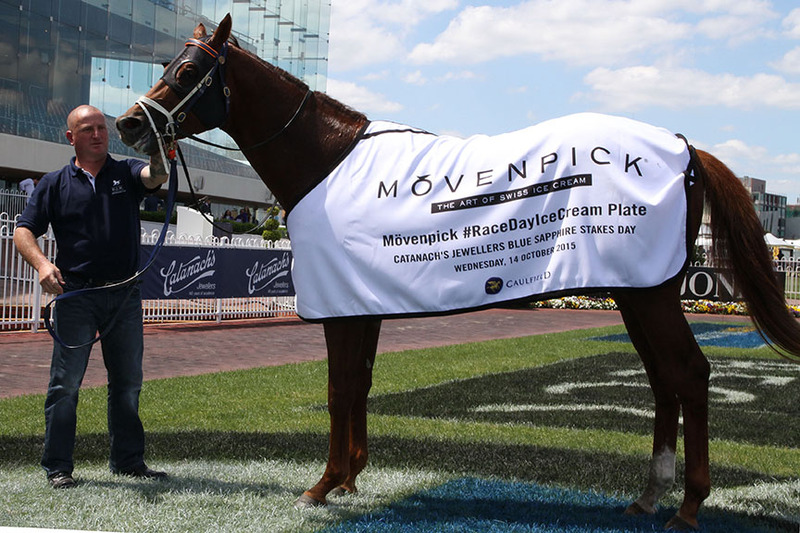 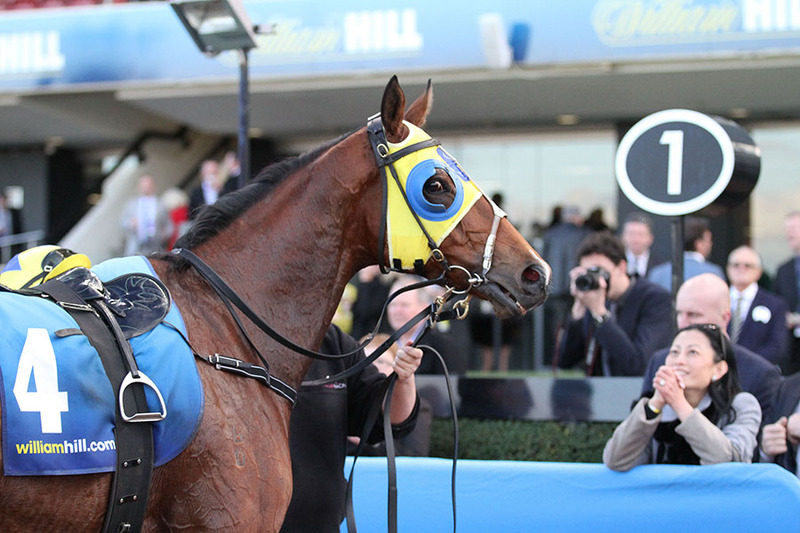 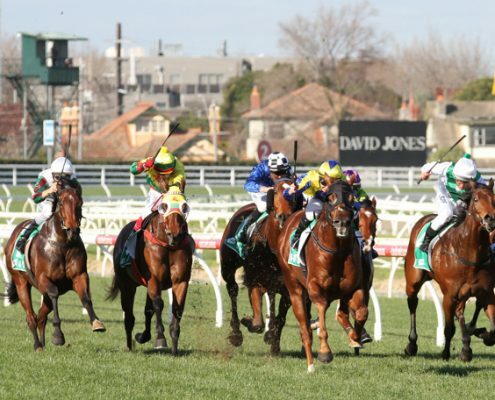 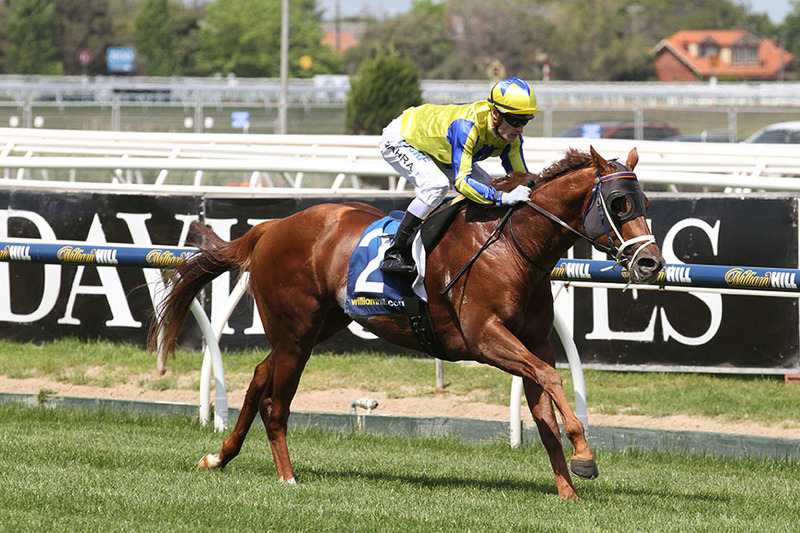 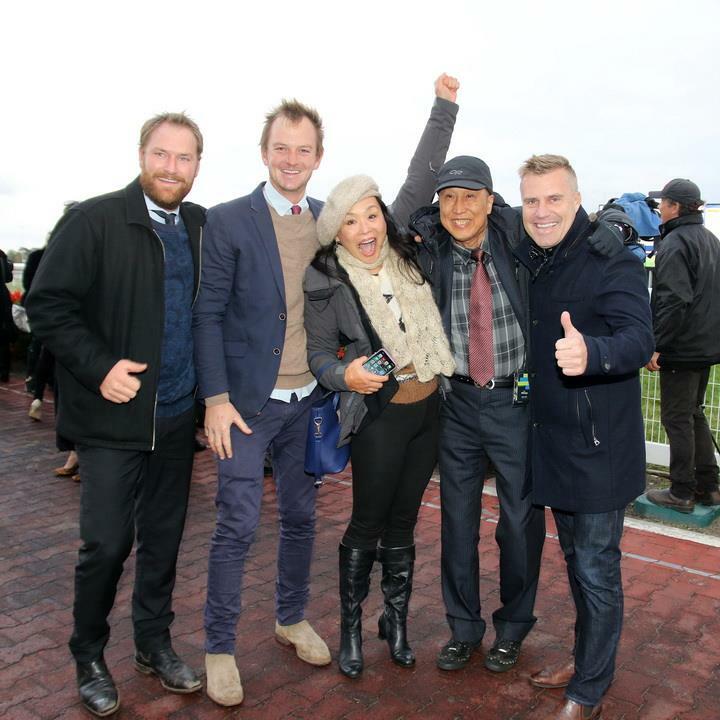 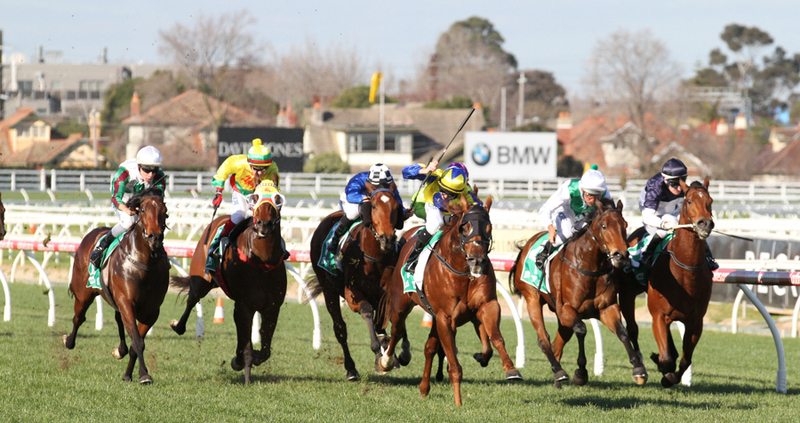 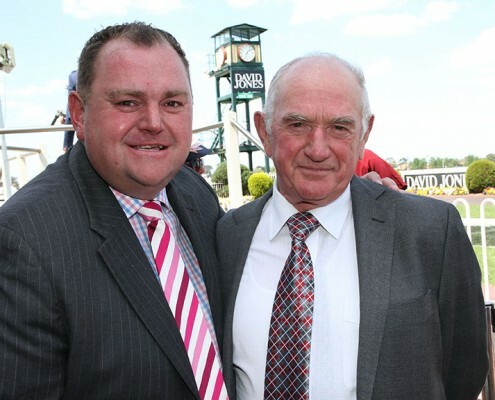 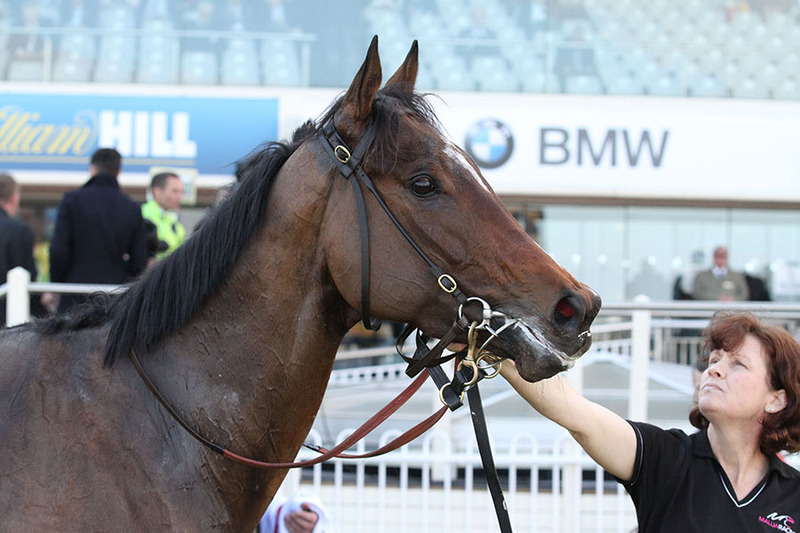 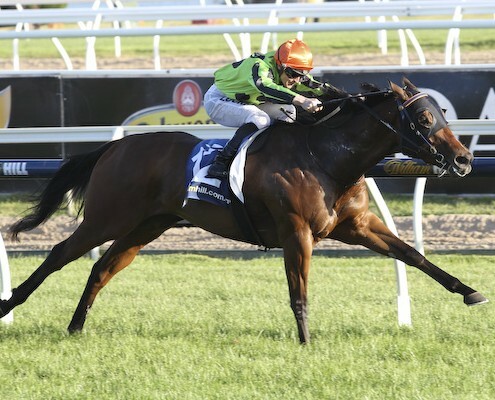 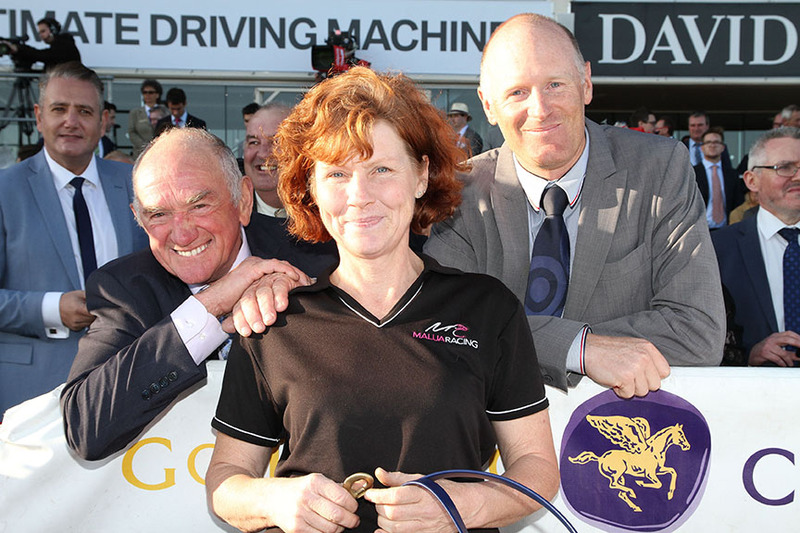 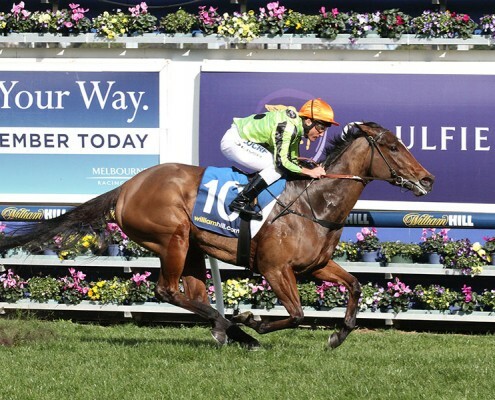 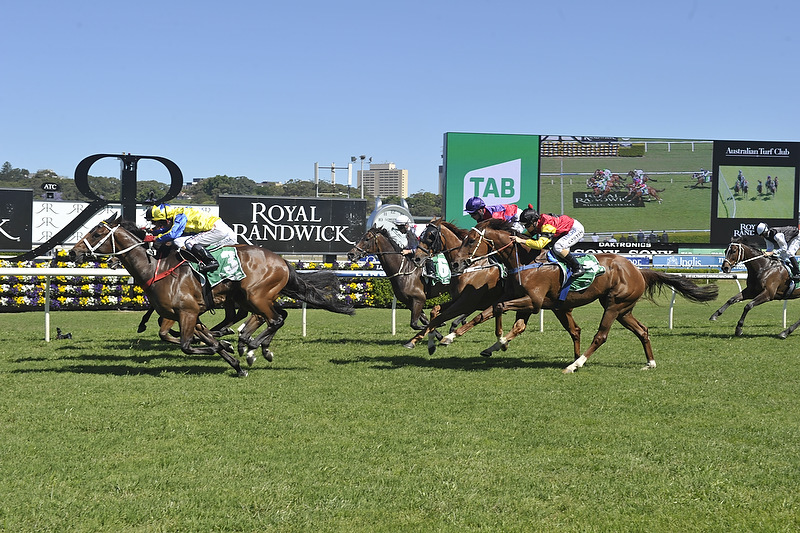 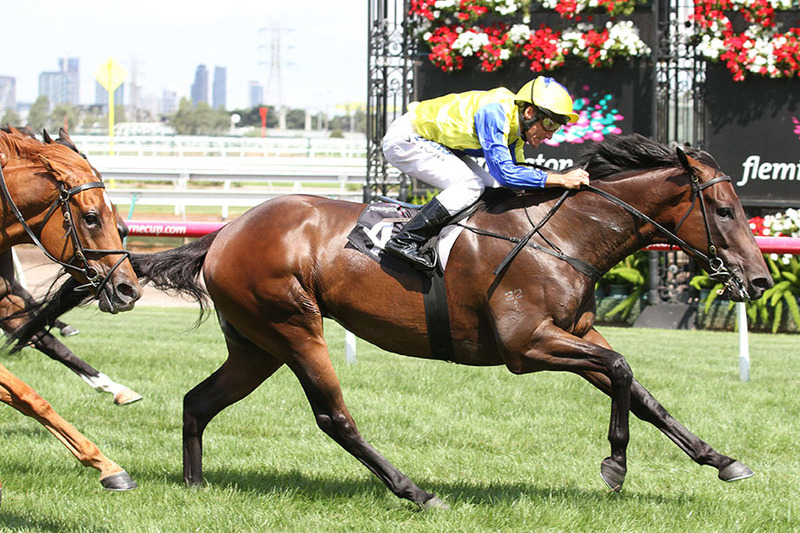 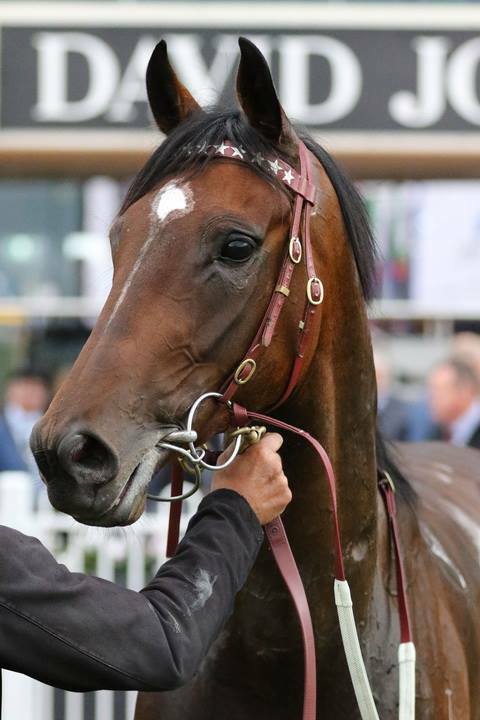 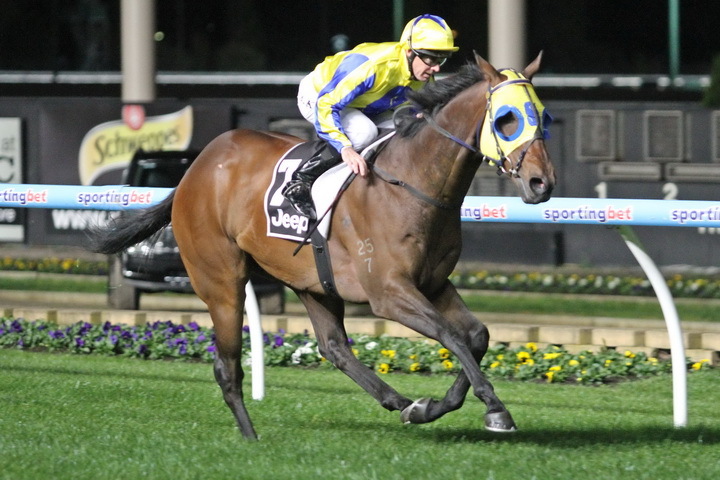 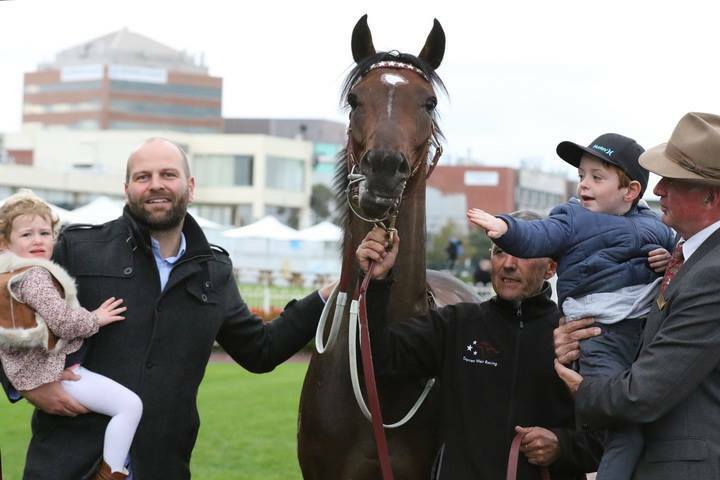 Ollie rides King’s Command to his third win in a row, this time at Flemington. 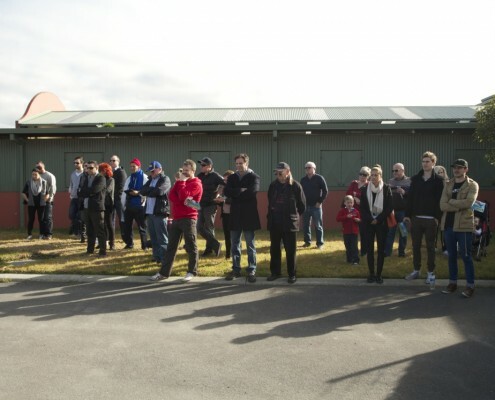 Melbourne turned on a perfect winter morning with bright sunshine to parade our current & future stars at Spicer Thoroughbreds. 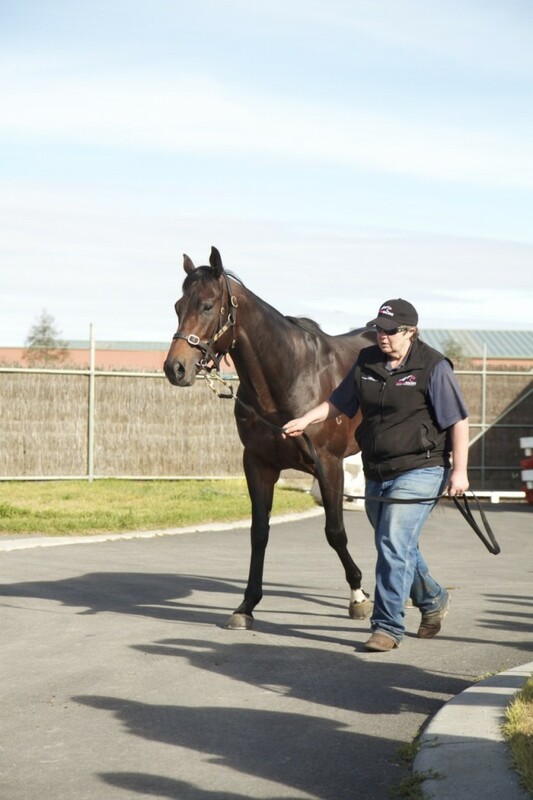 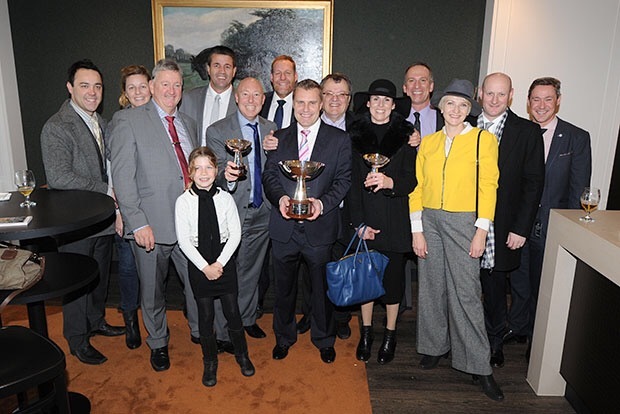 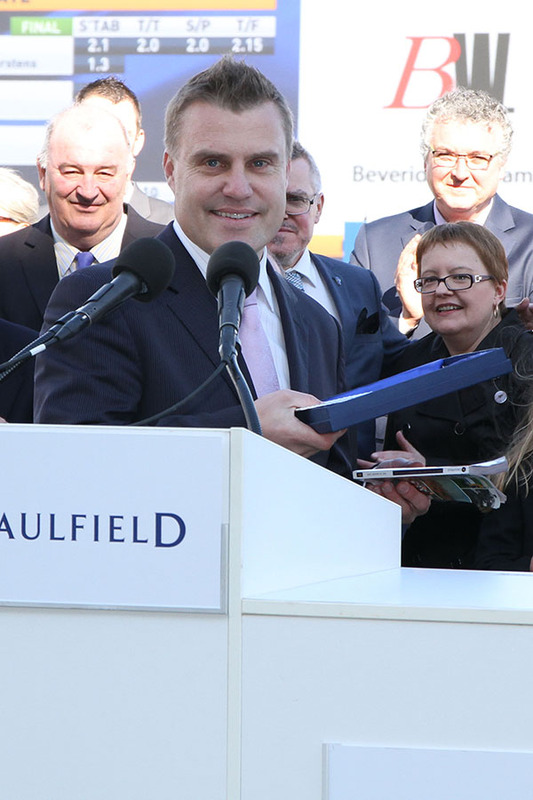 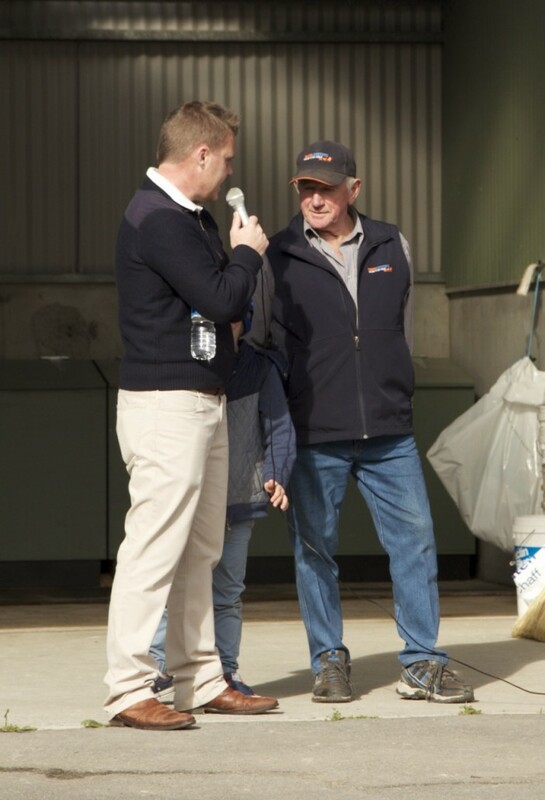 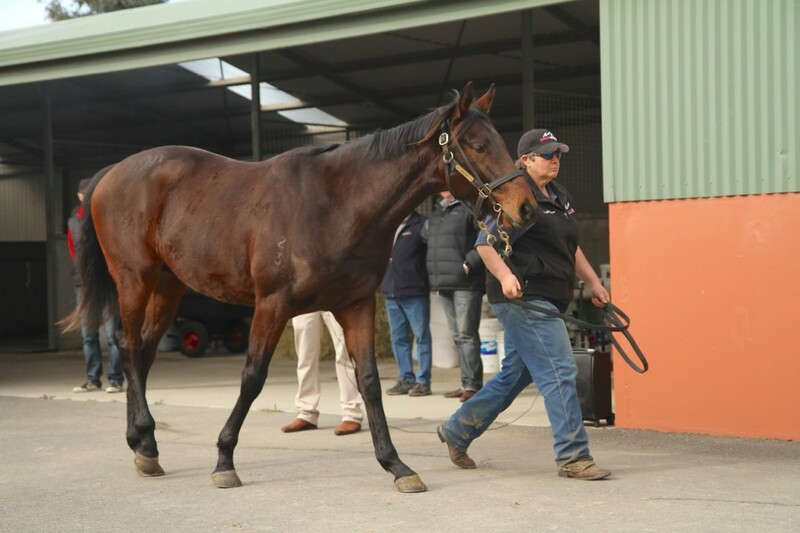 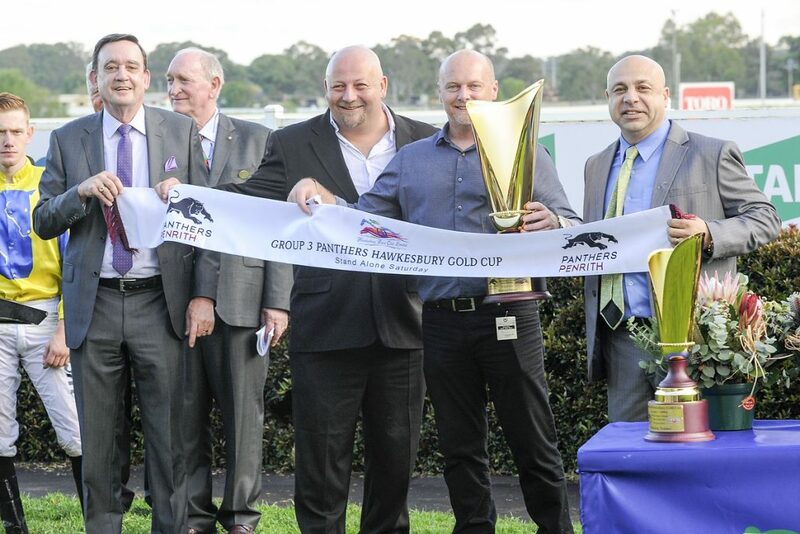 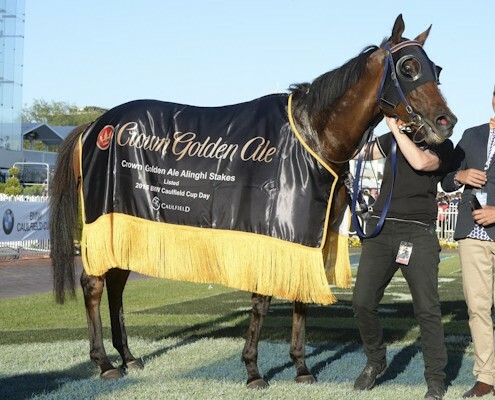 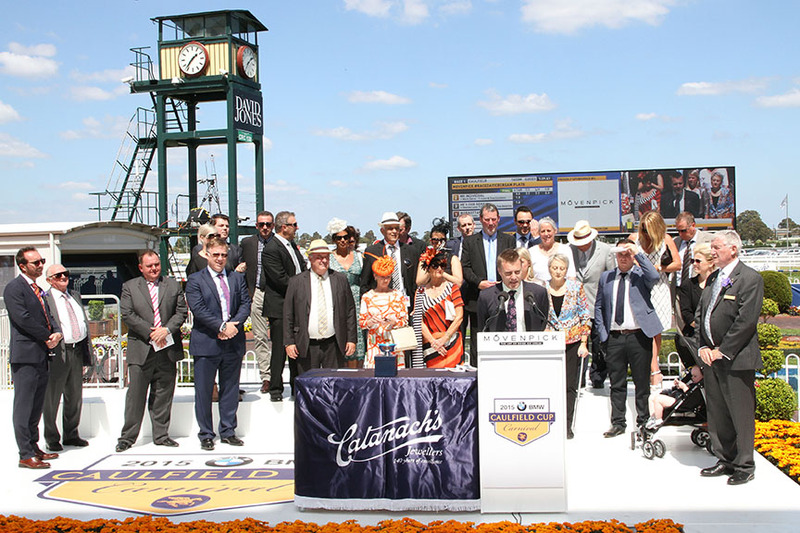 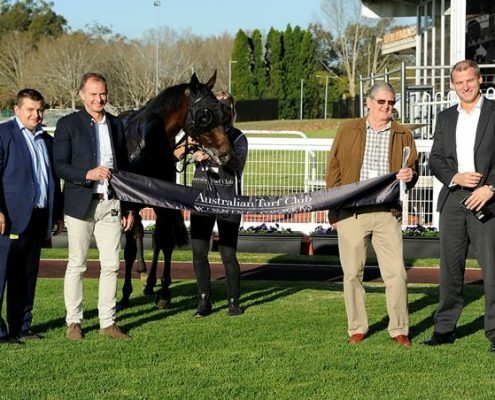 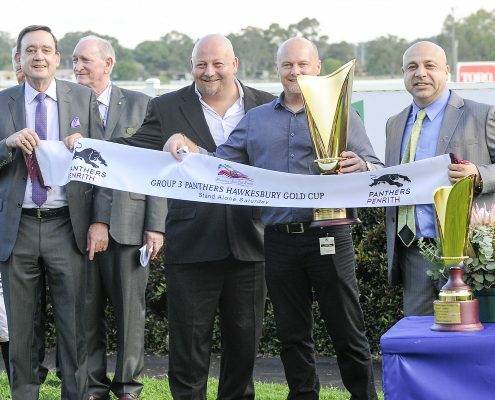 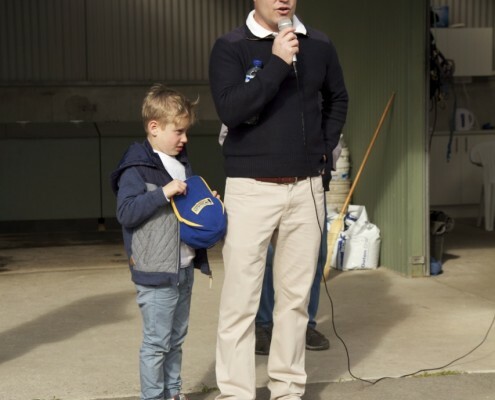 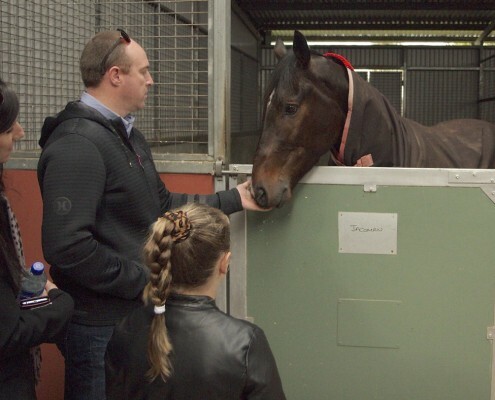 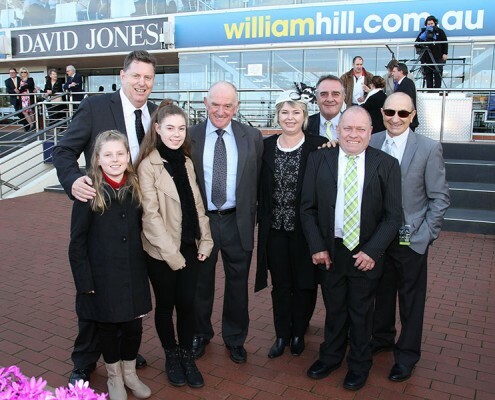 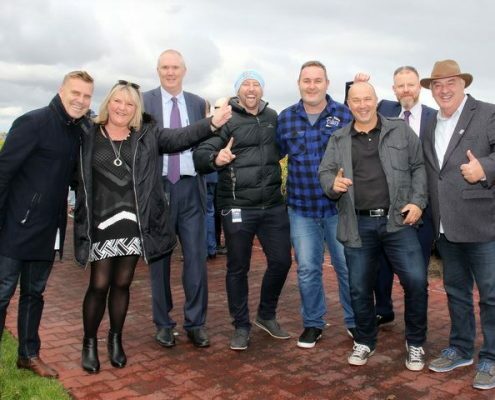 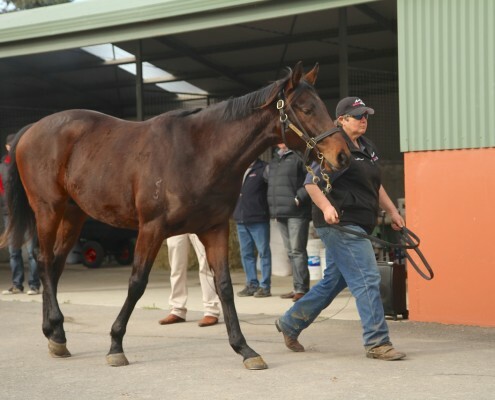 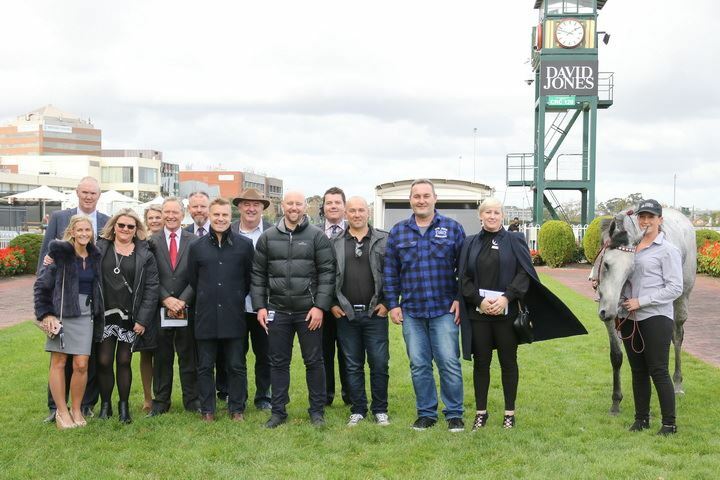 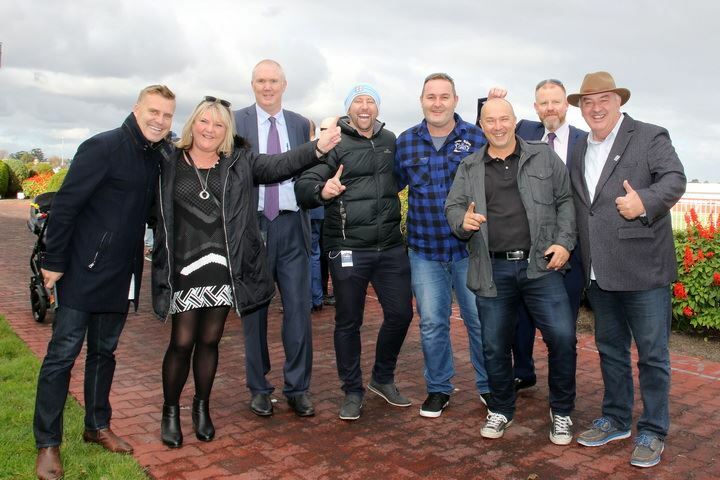 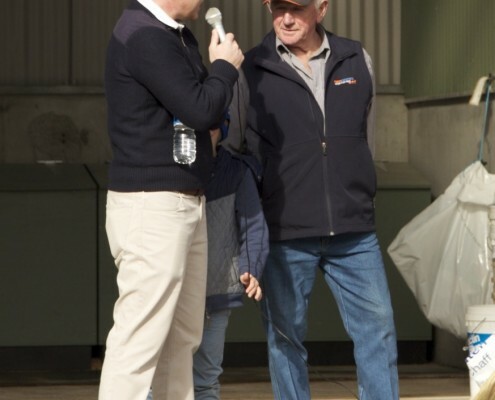 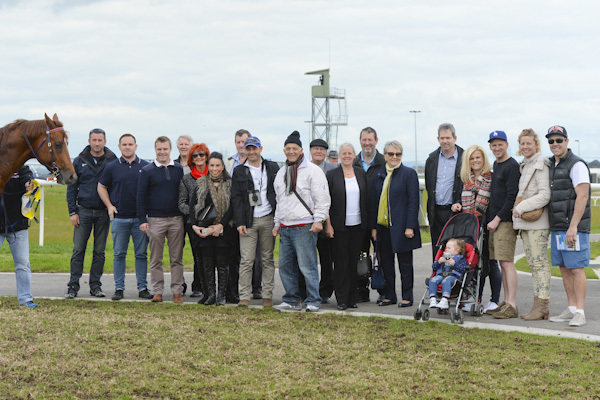 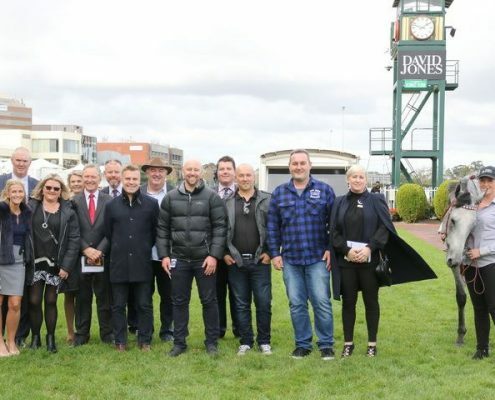 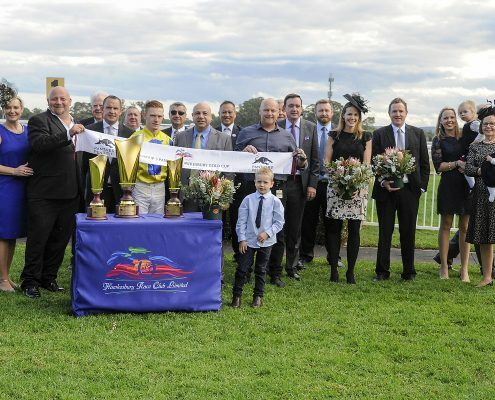 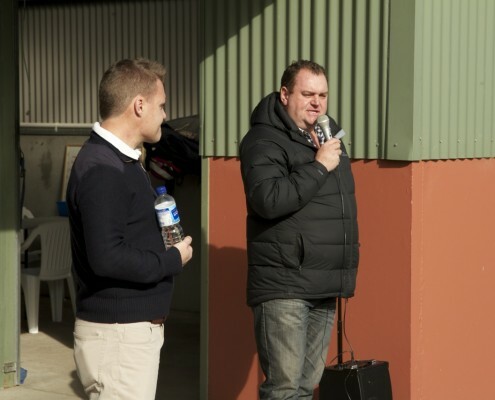 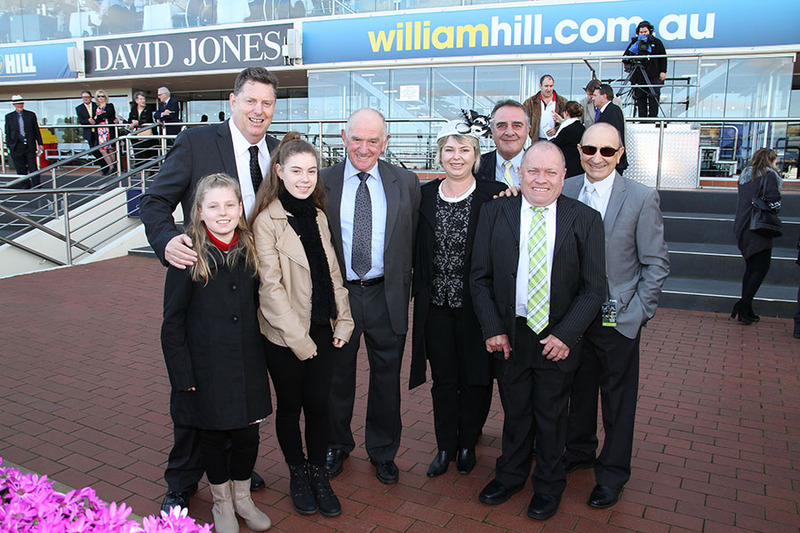 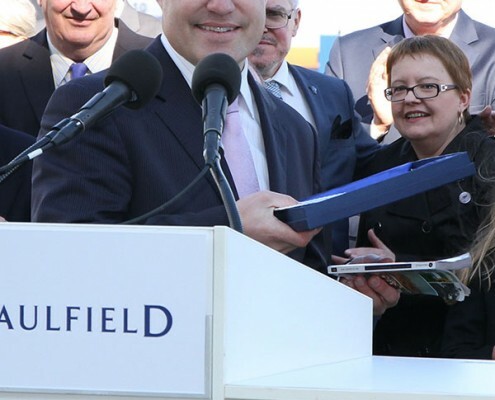 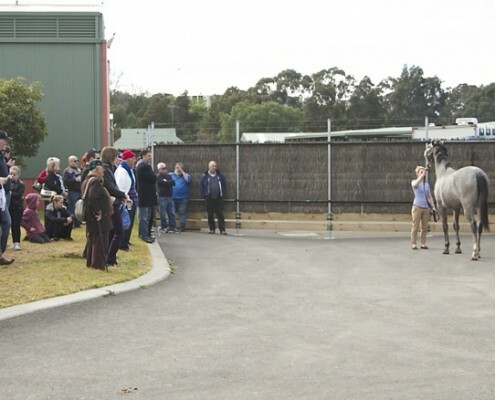 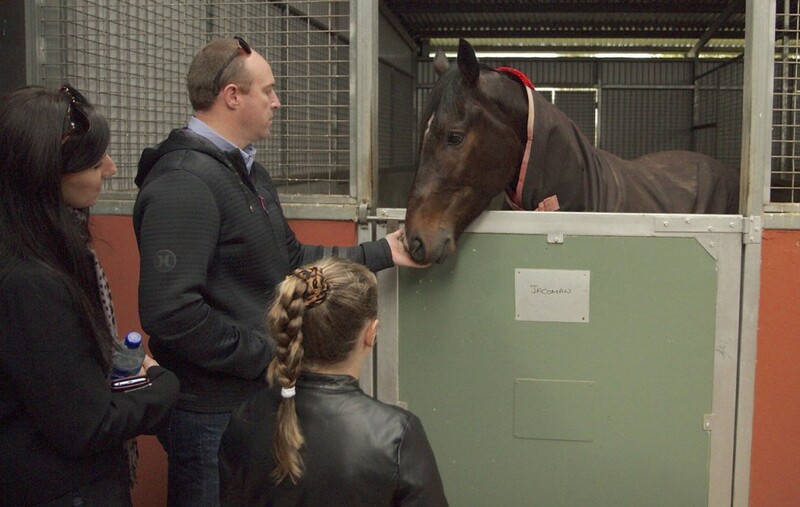 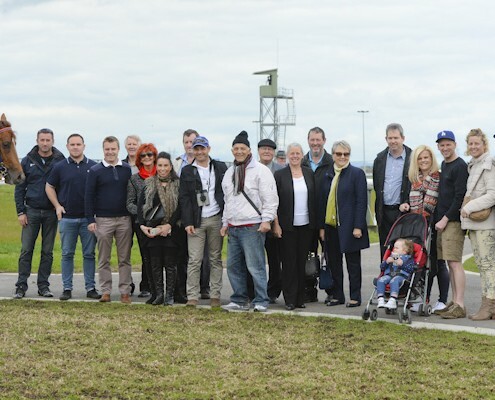 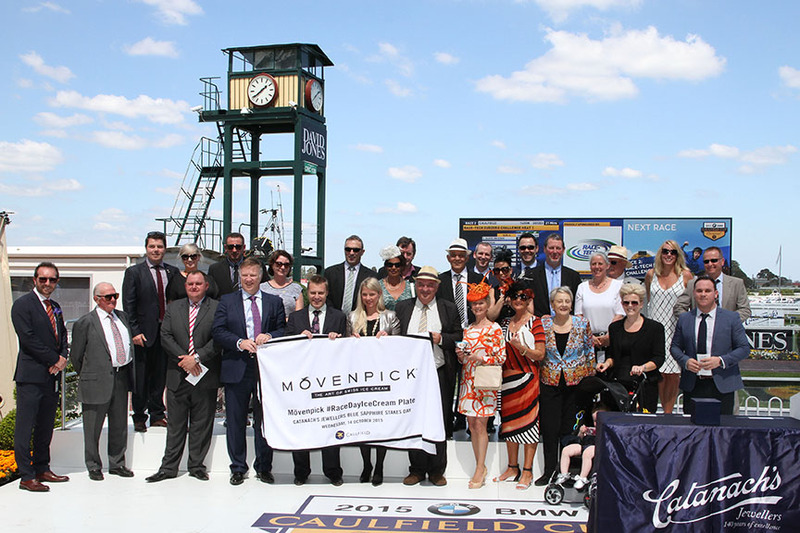 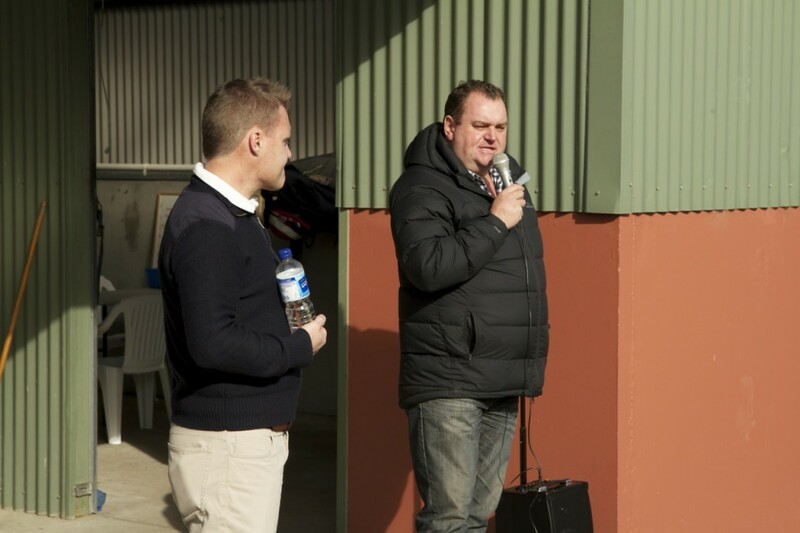 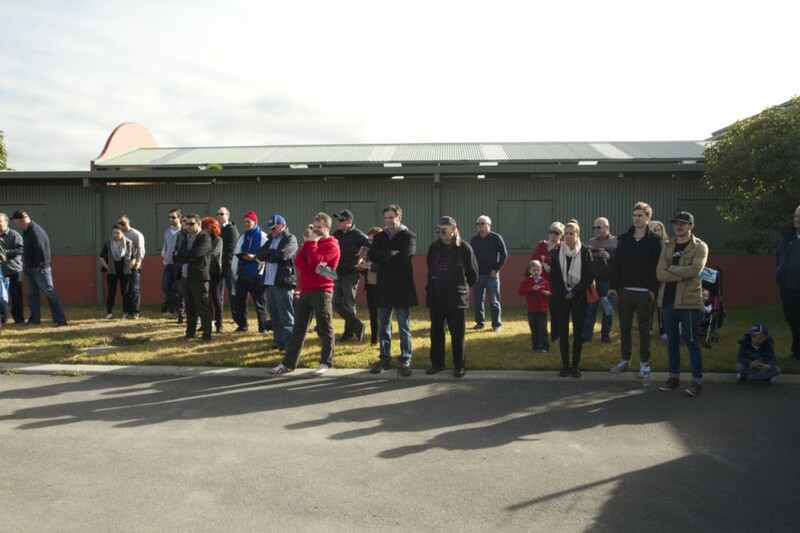 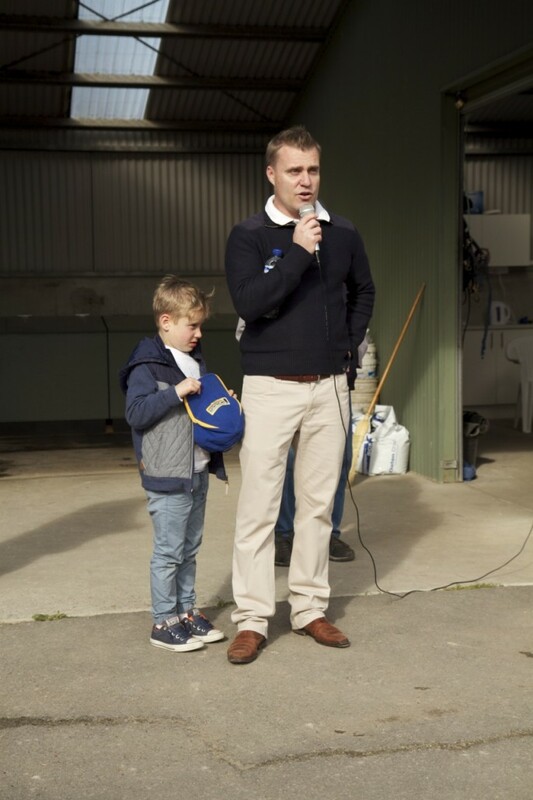 Clients, family and their friends enjoyed a bbq breakfast and drinks whilst Brad, Troy and Leon Corstens spoke about the exciting 2yo’s paraded, the colt by Domesday and filly by Master of Design. 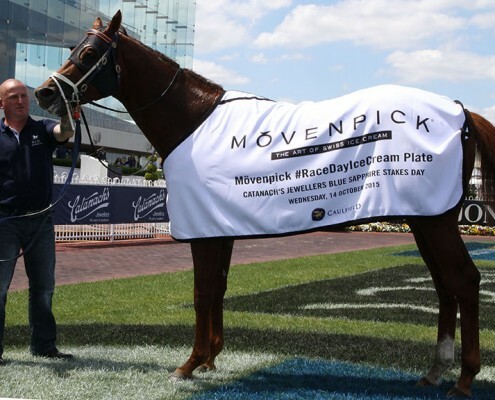 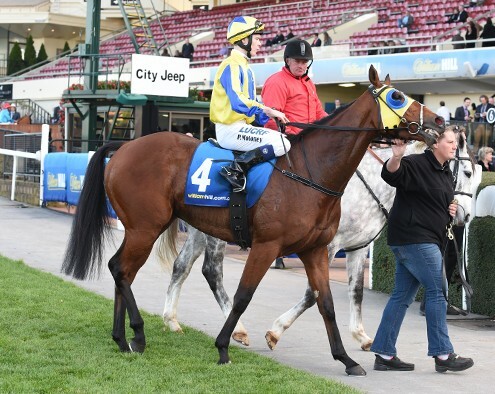 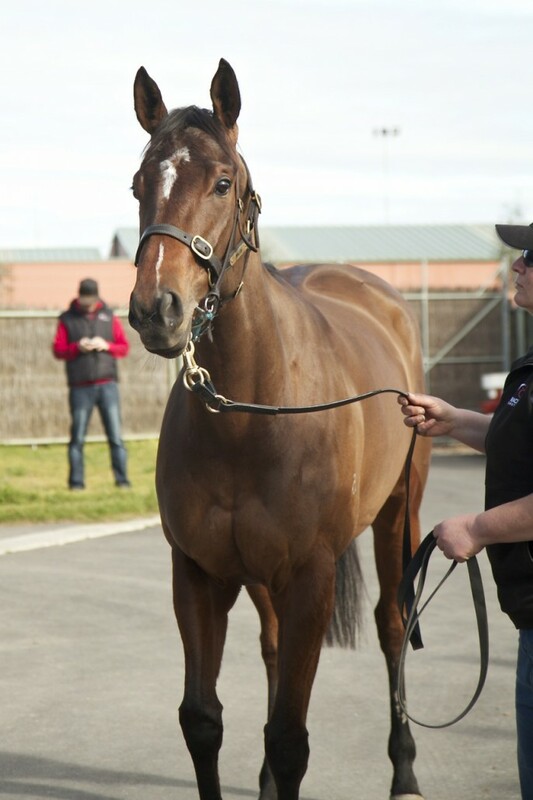 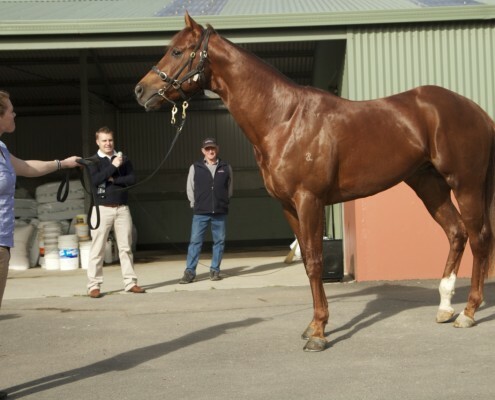 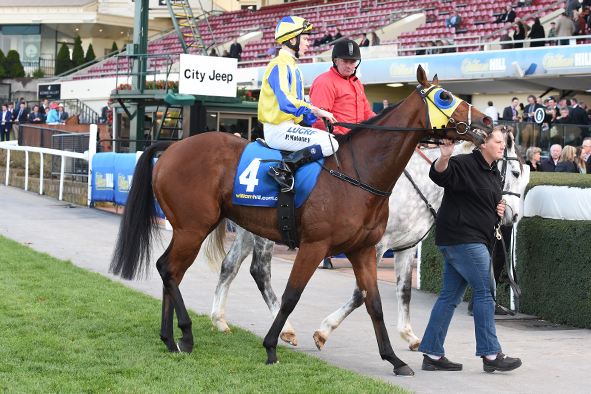 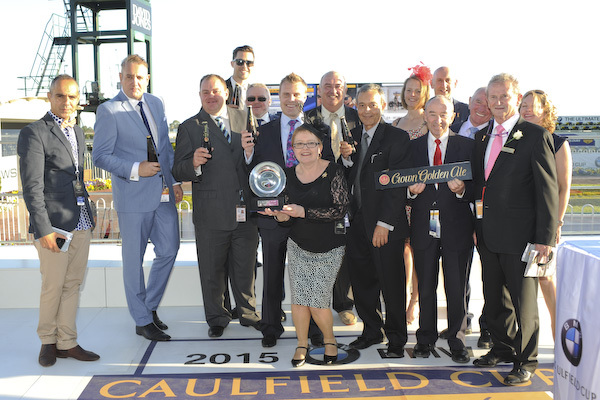 Brad also paraded Vesalay, fresh from her all the way win at Caulfield the previous day, Cox Plate bound Awesome Rock, outstanding 3yo Mr. 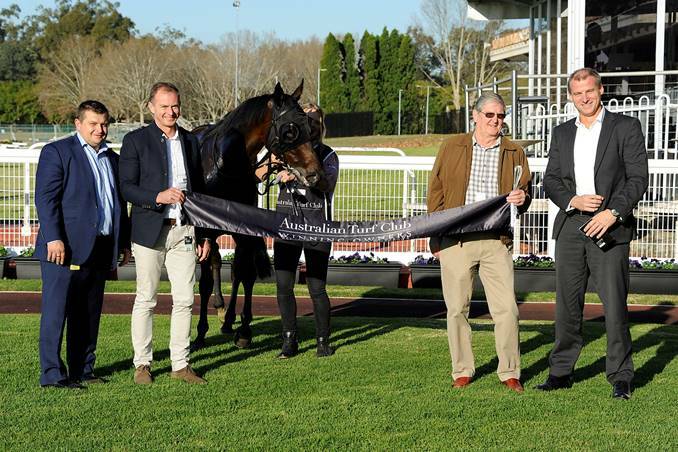 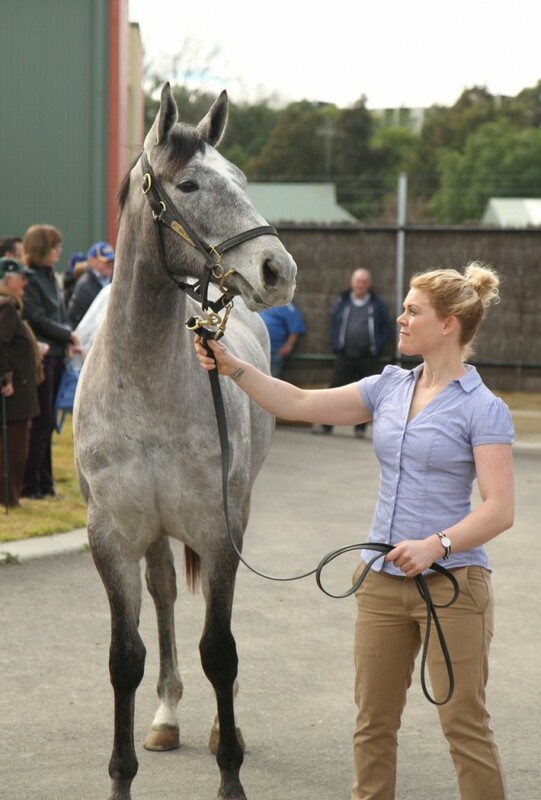 Individual and last start Winter Championship winner Amovatio for the crowd. 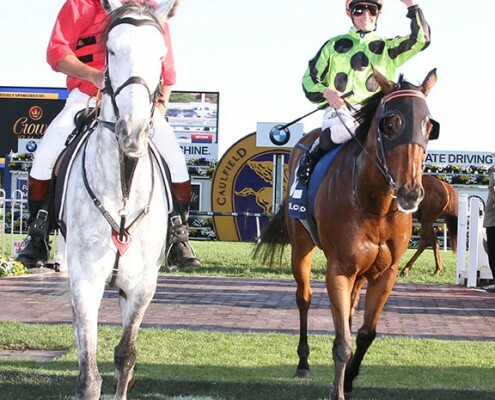 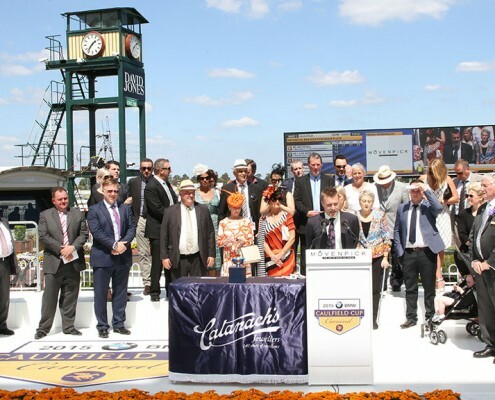 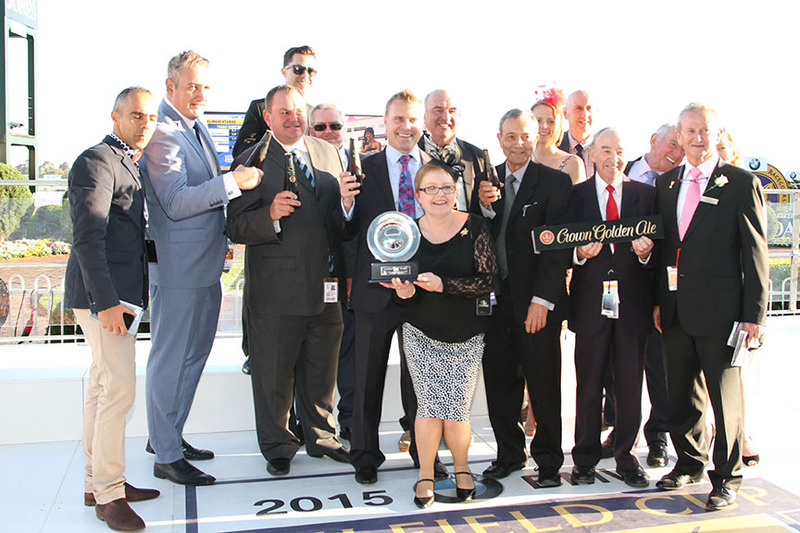 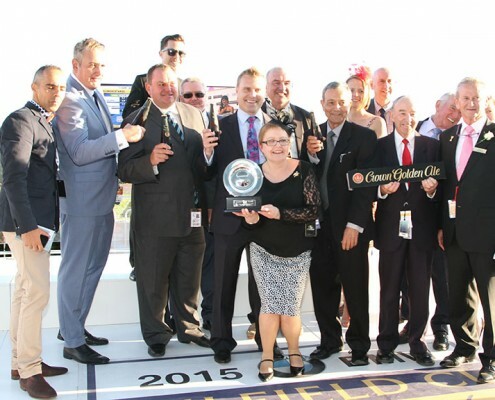 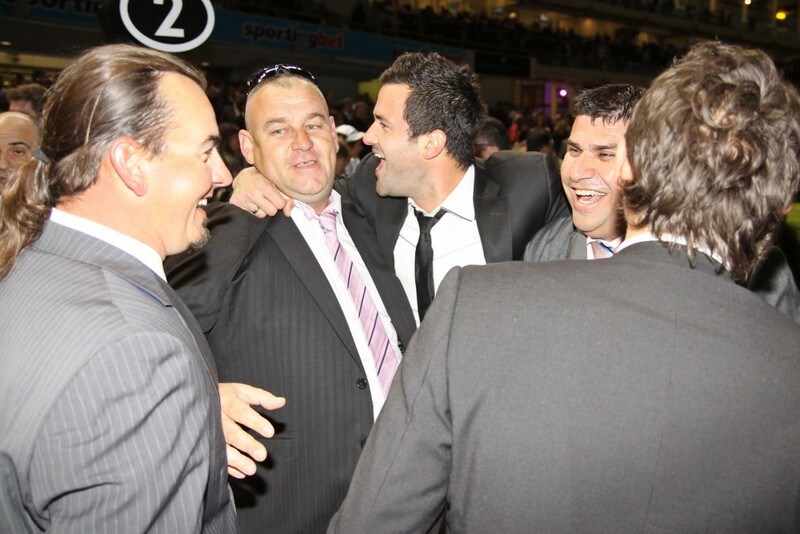 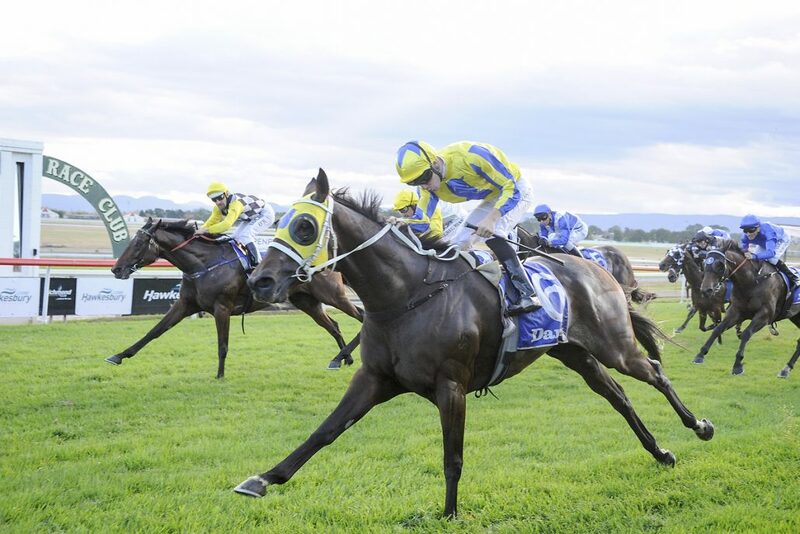 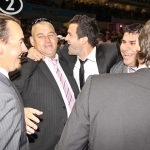 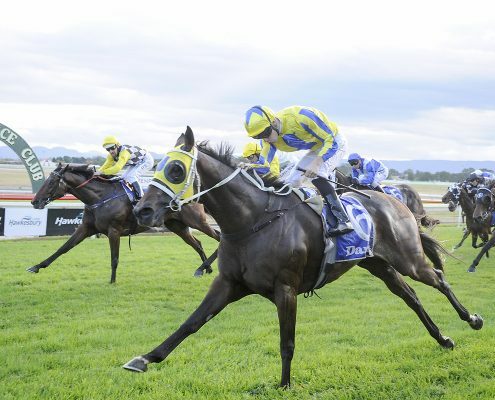 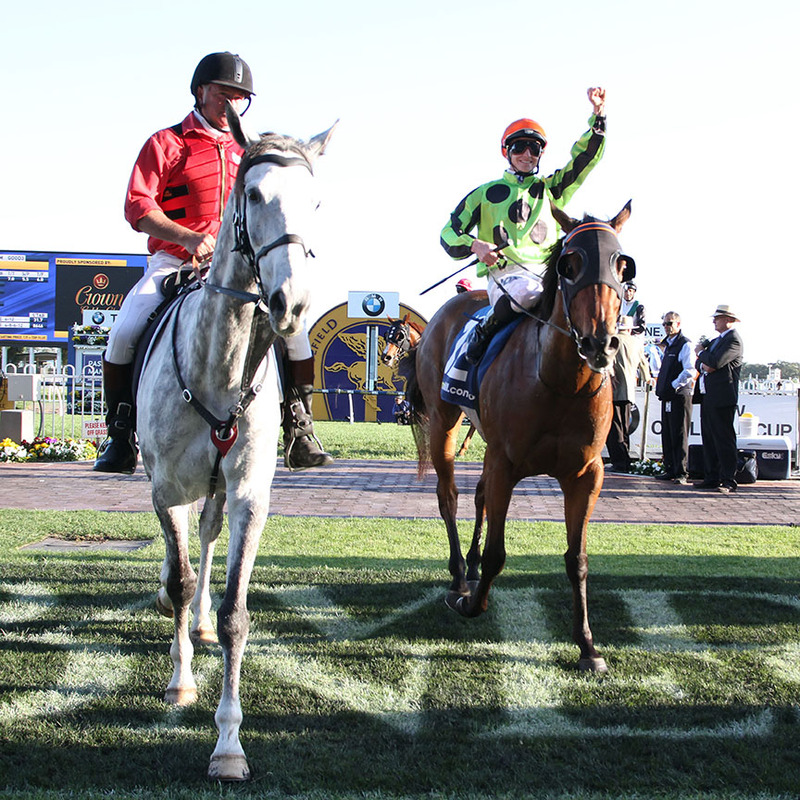 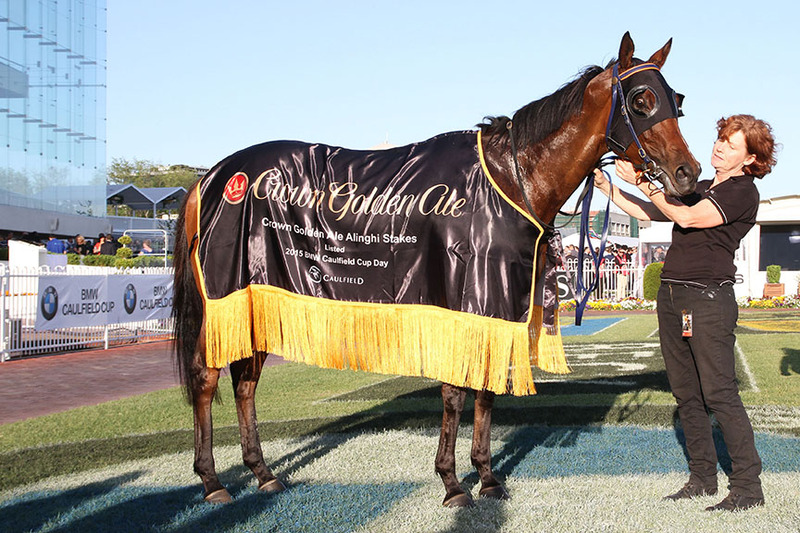 Zabeelionaire gave his owners plenty to get excited about when he took out the Gr1 SA Derby netting them over $320,000 for the win.